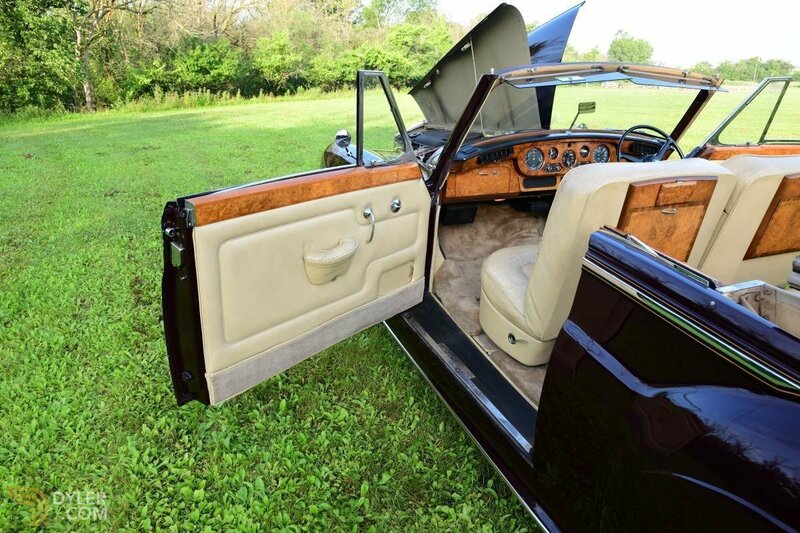 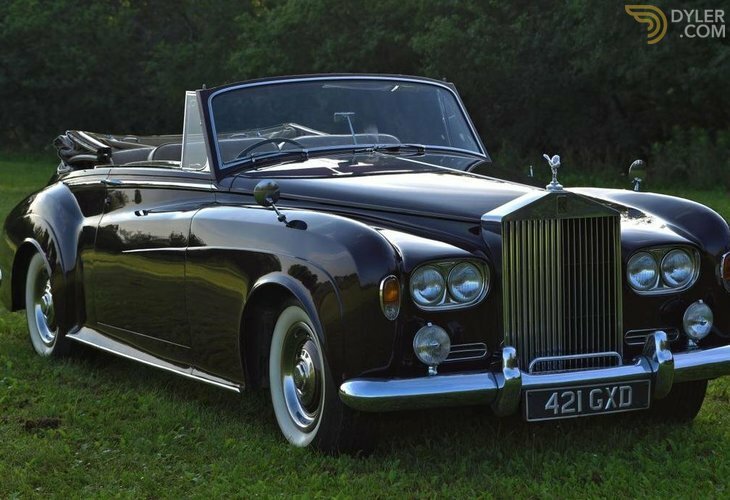 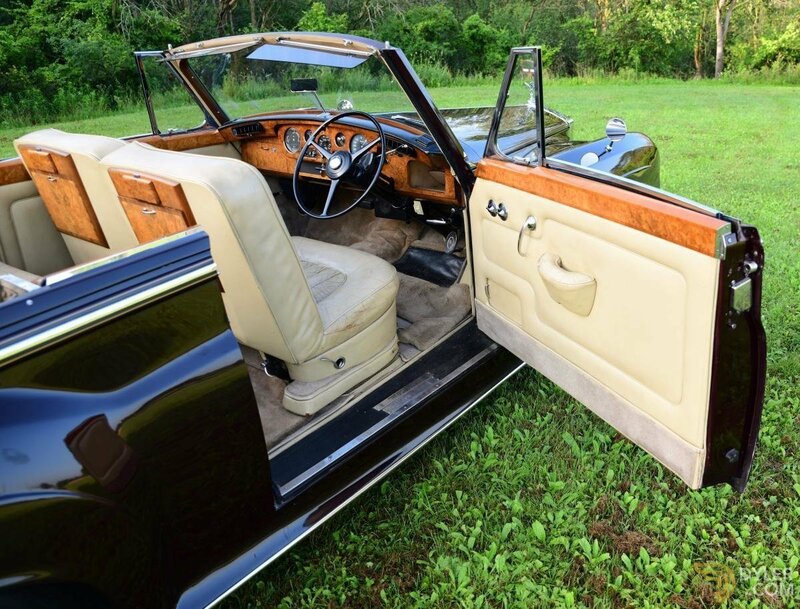 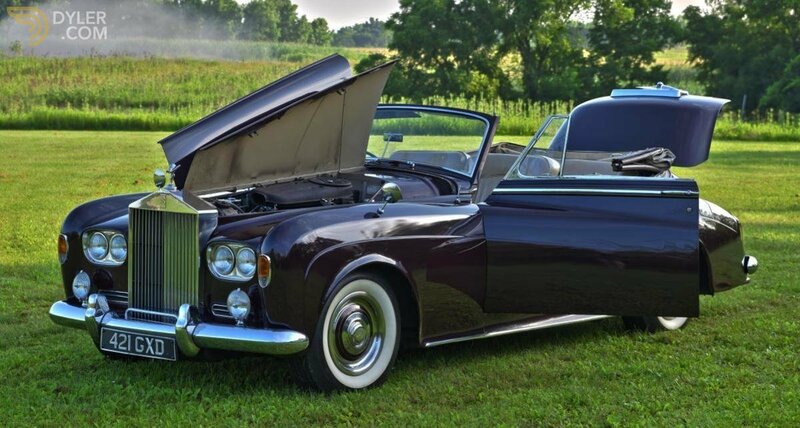 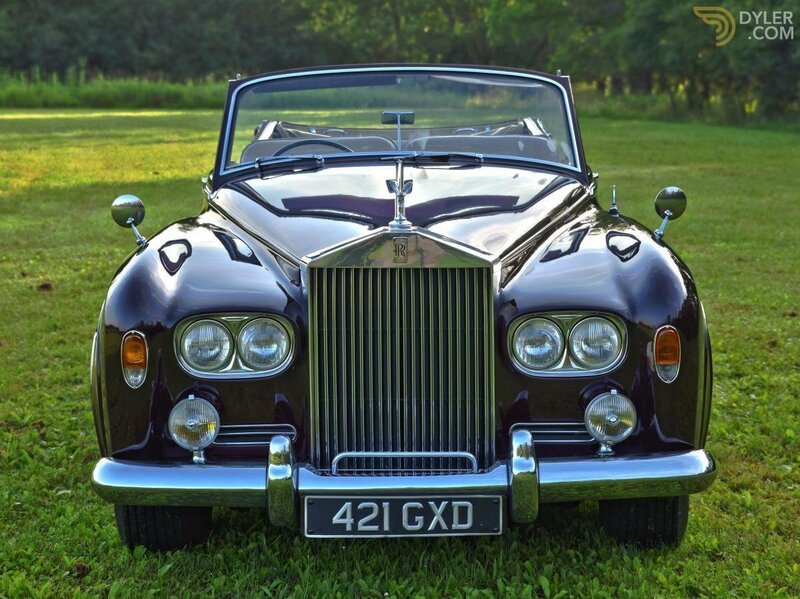 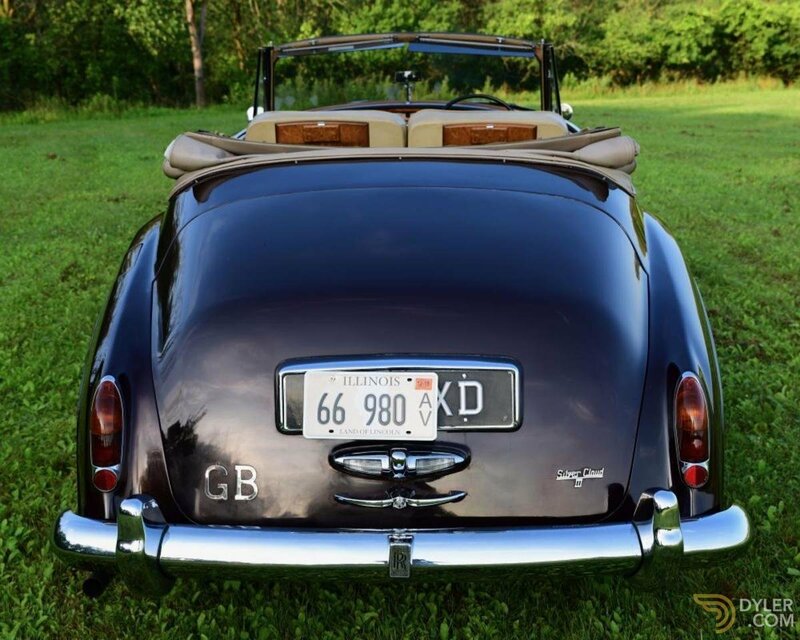 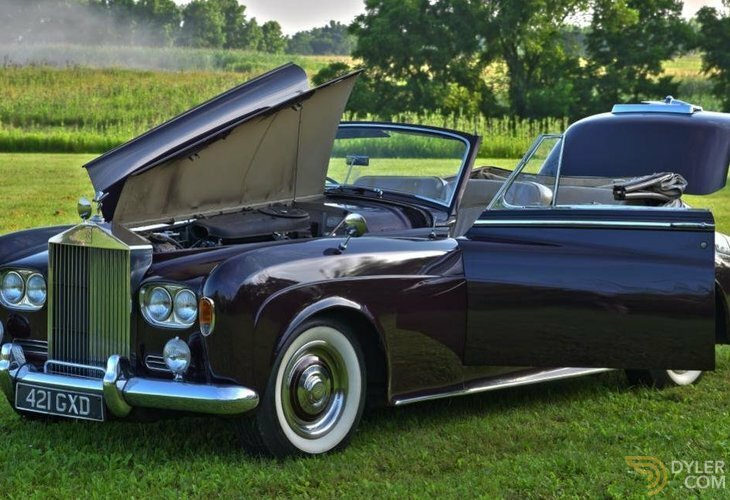 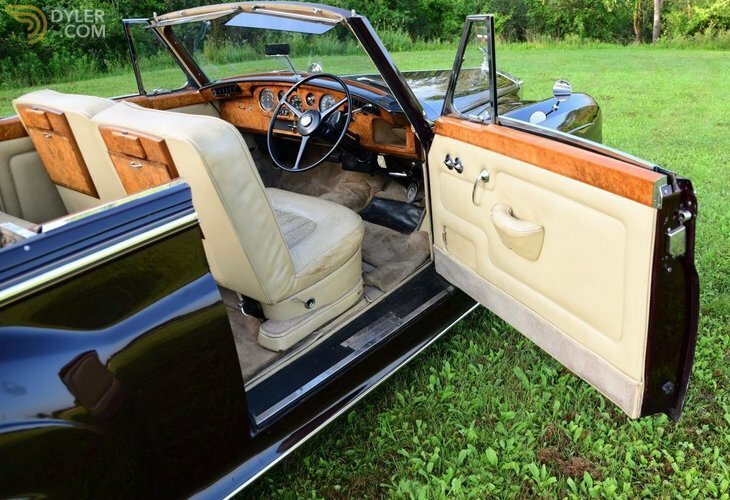 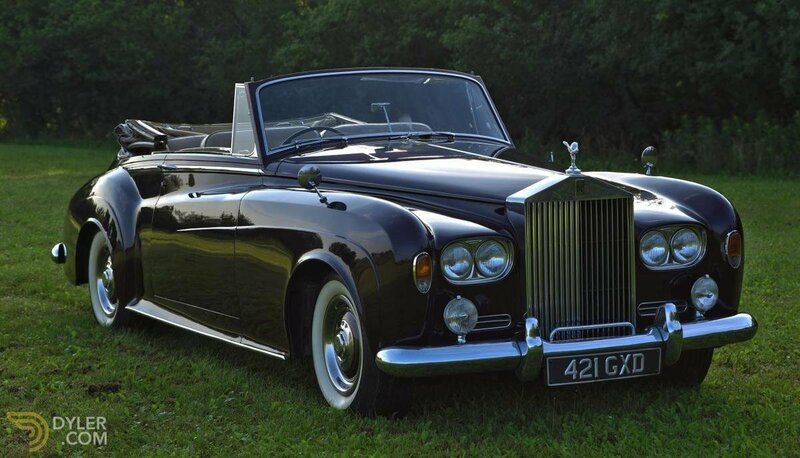 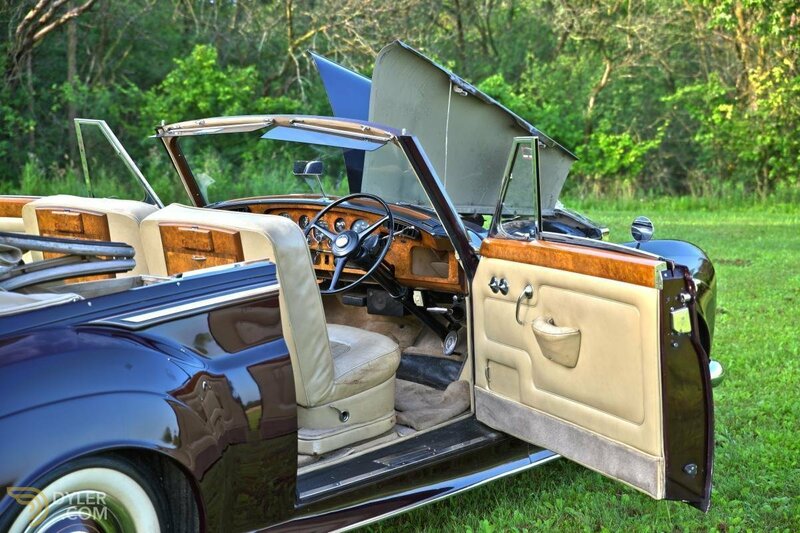 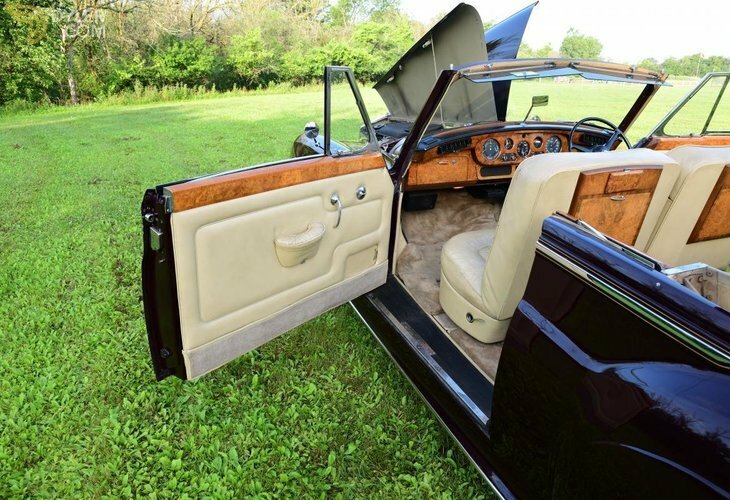 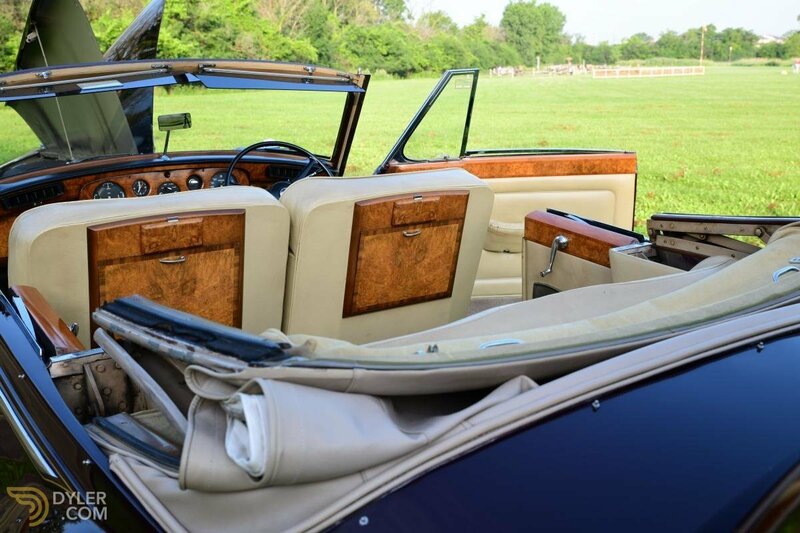 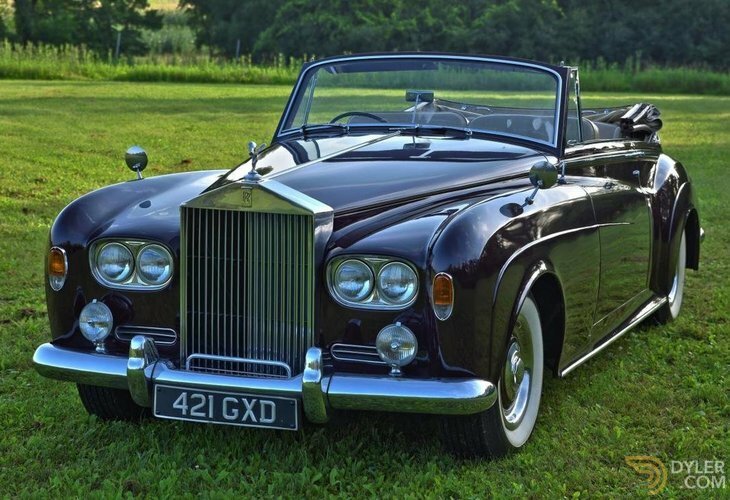 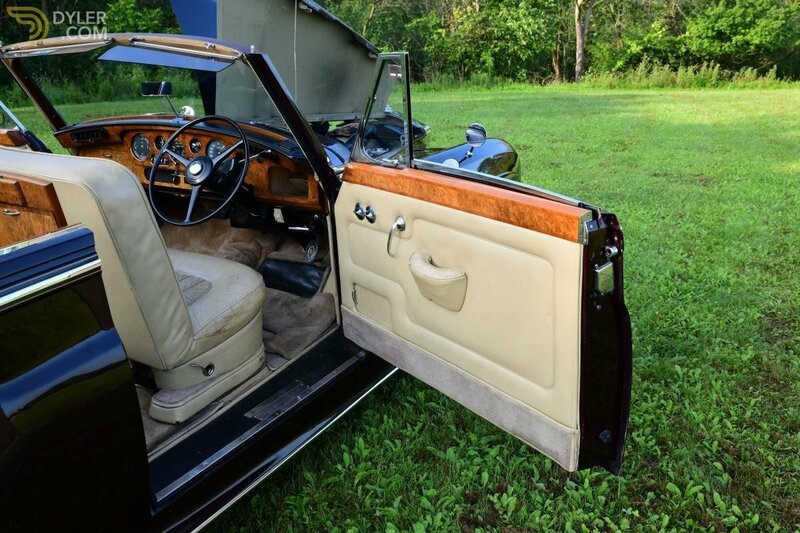 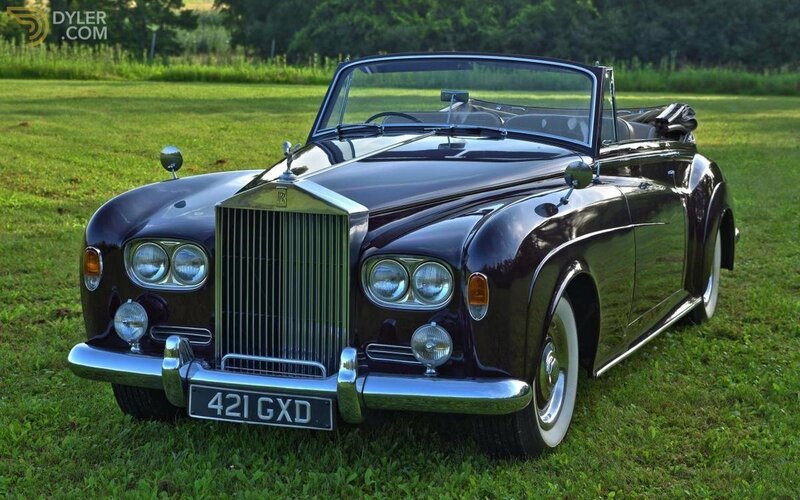 Vintage and Prestige are proud to offer this 1963 Rolls Royce Silver Cloud III Drophead Coupe by H.J. 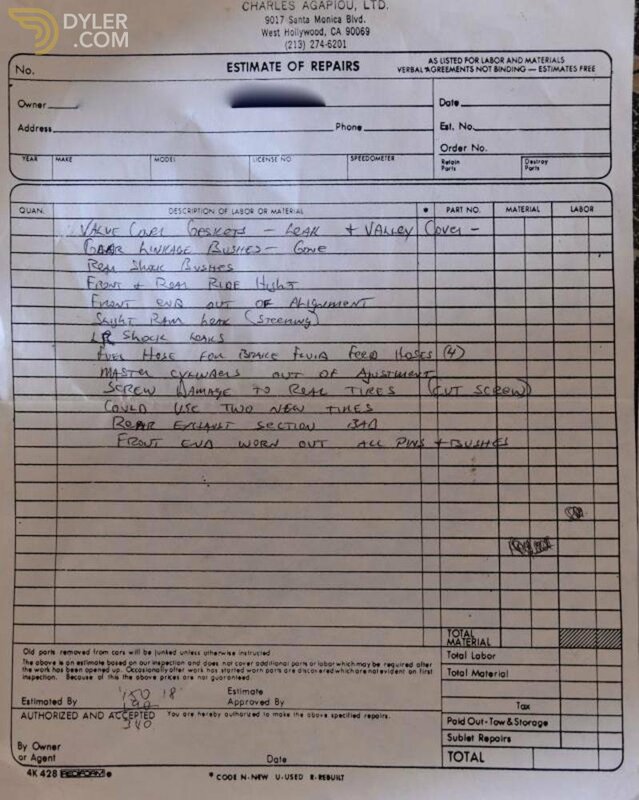 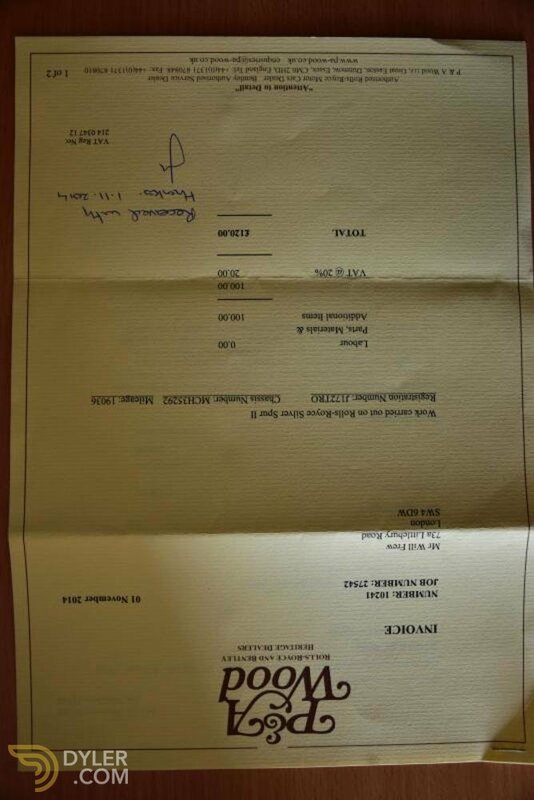 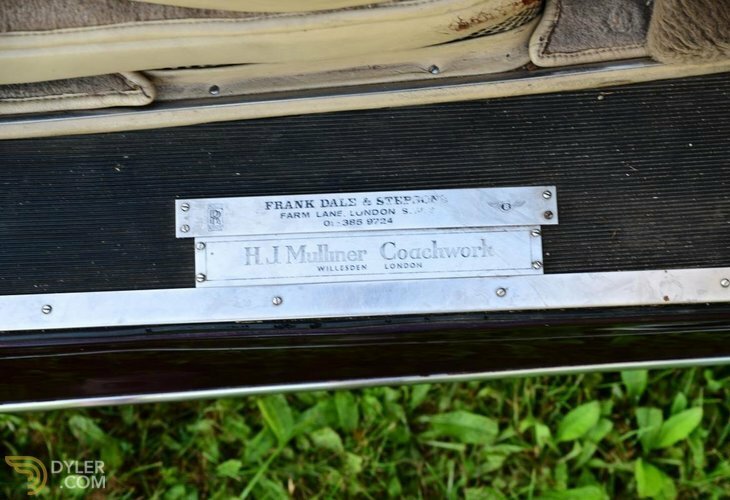 Mulliner For Sale. 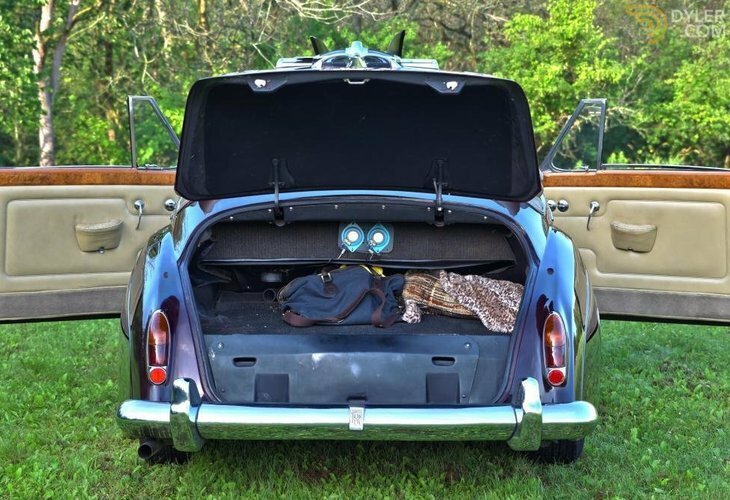 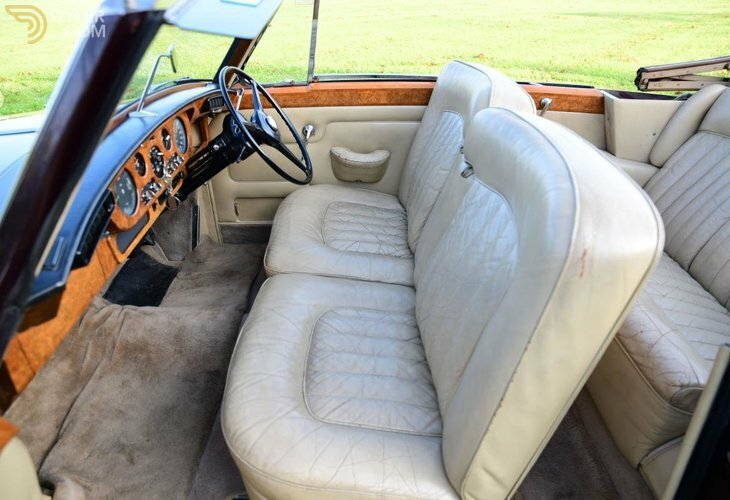 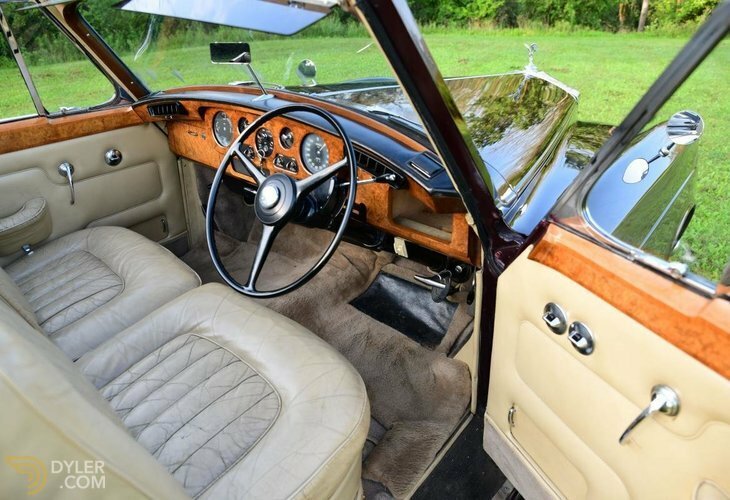 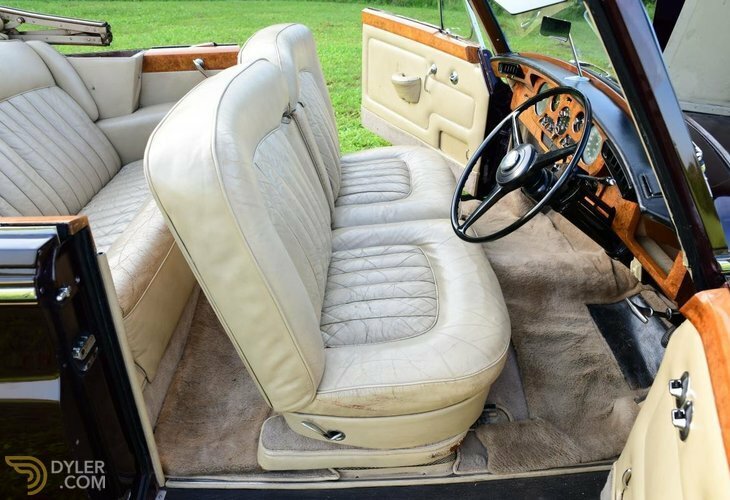 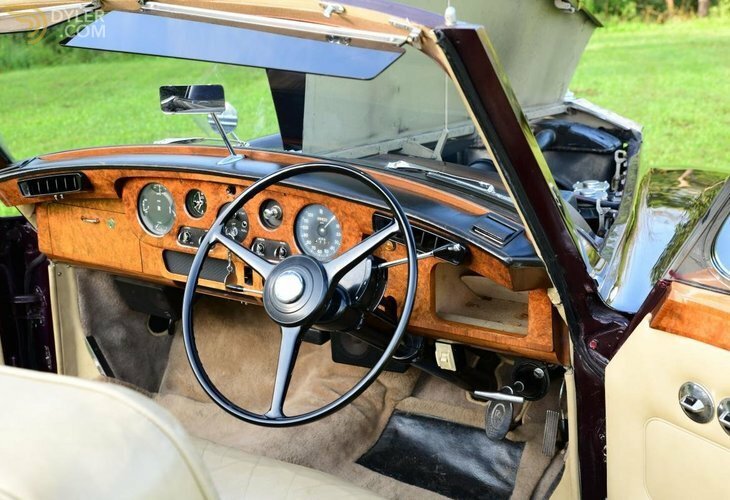 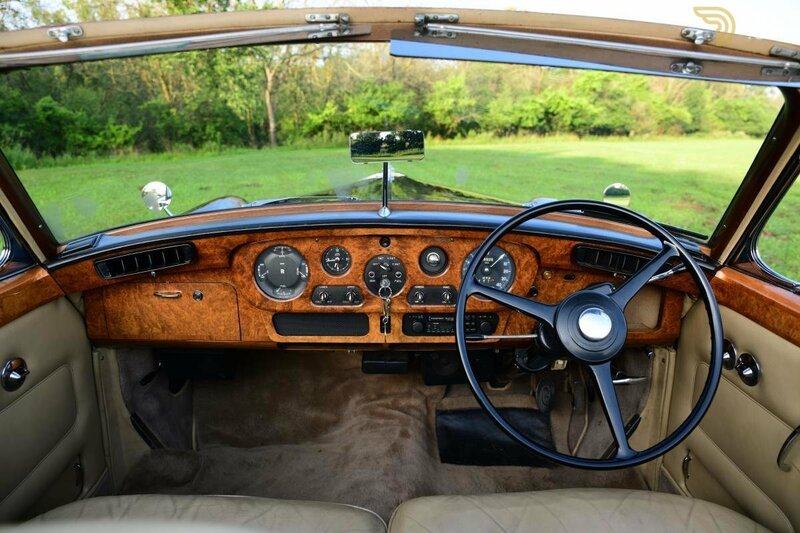 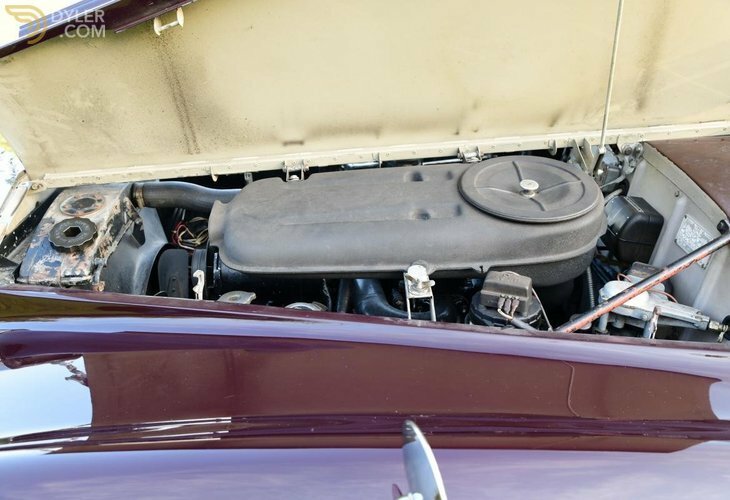 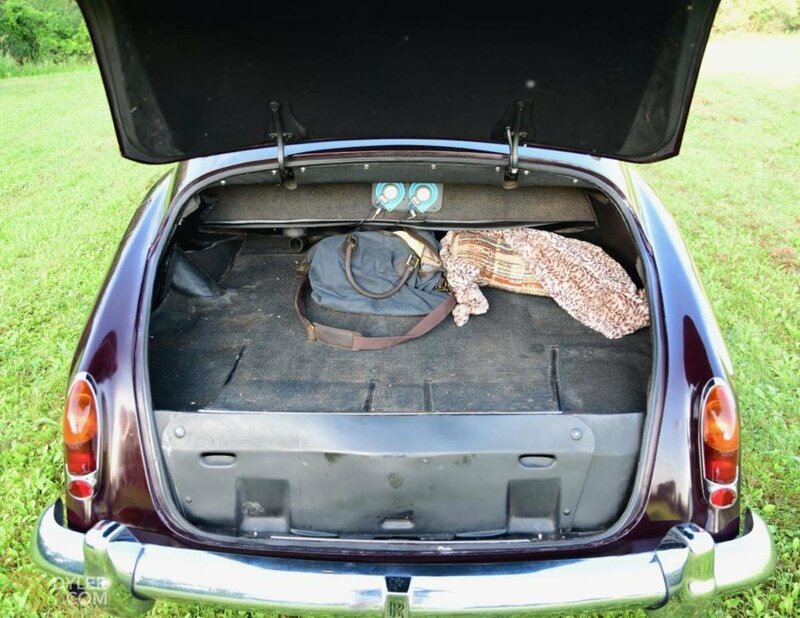 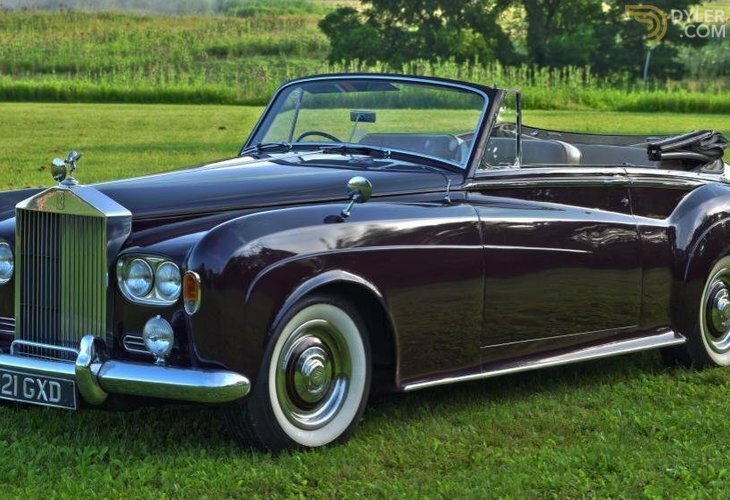 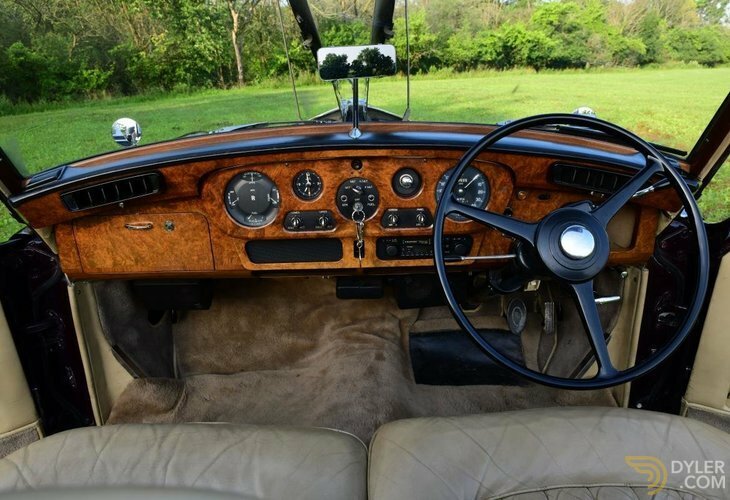 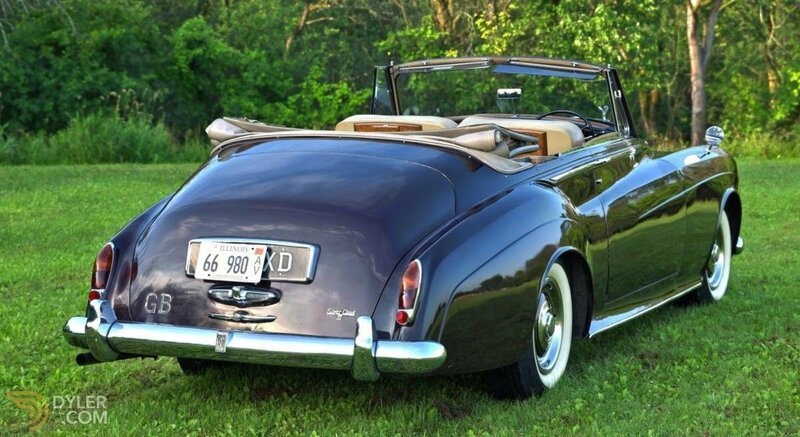 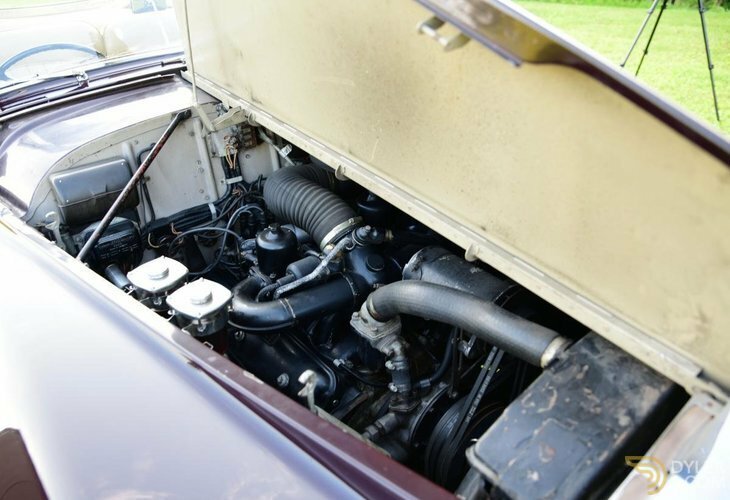 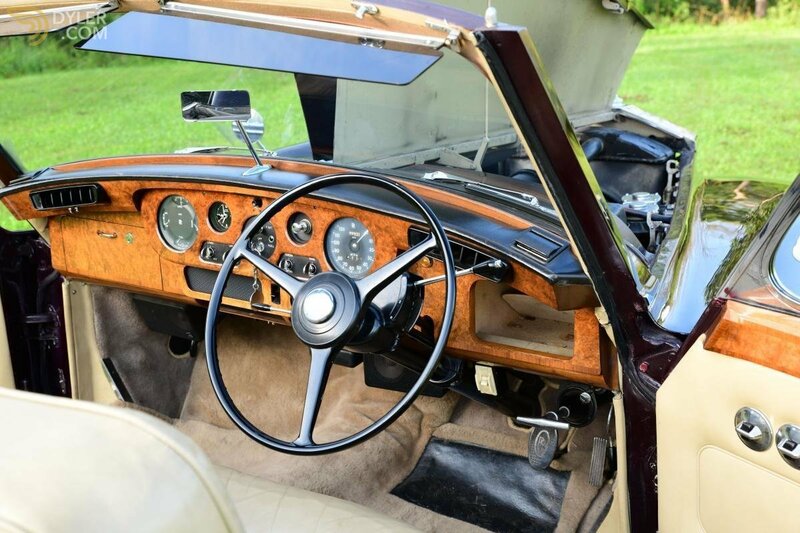 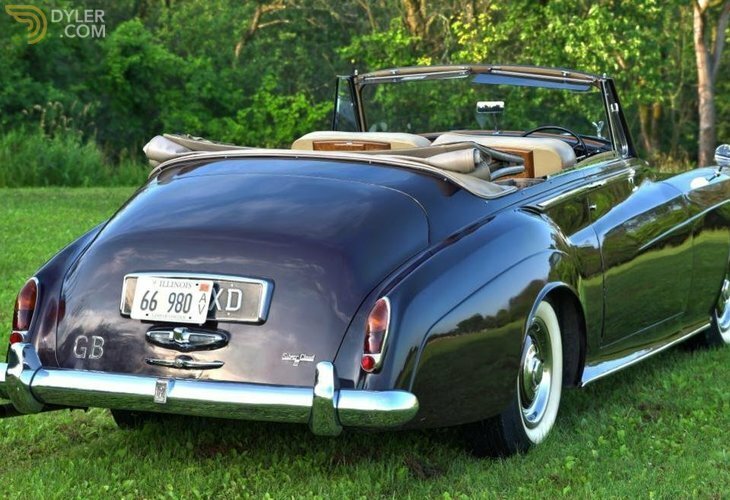 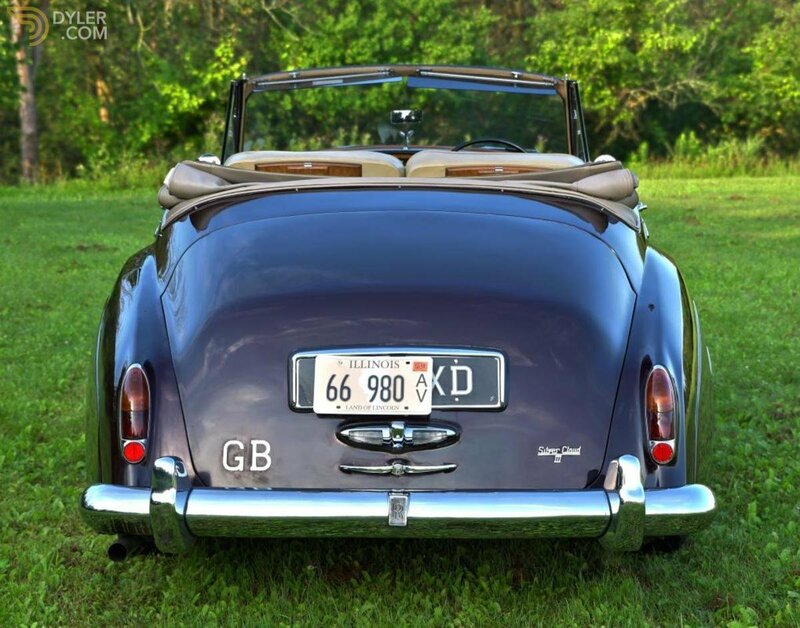 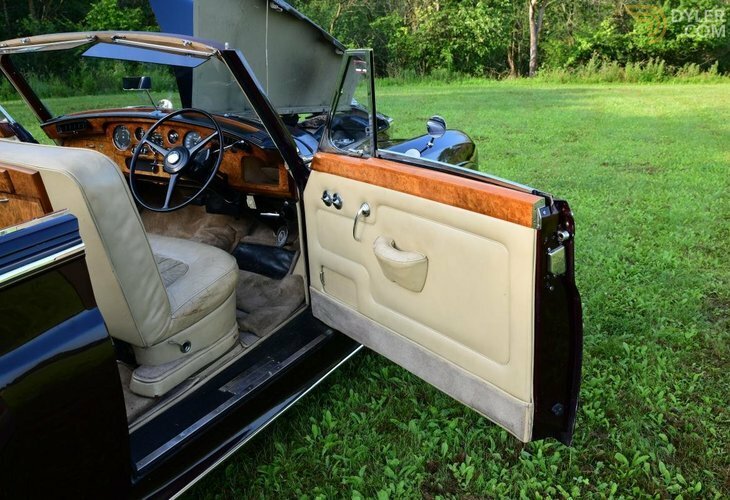 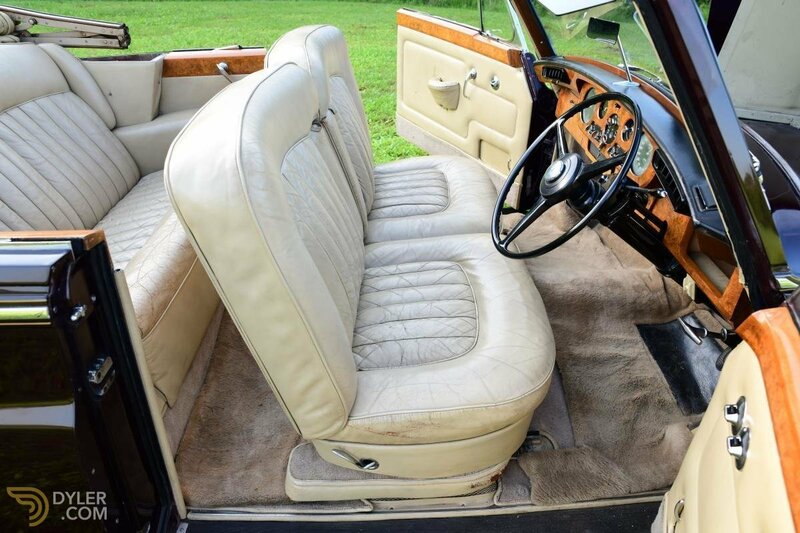 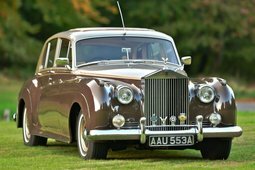 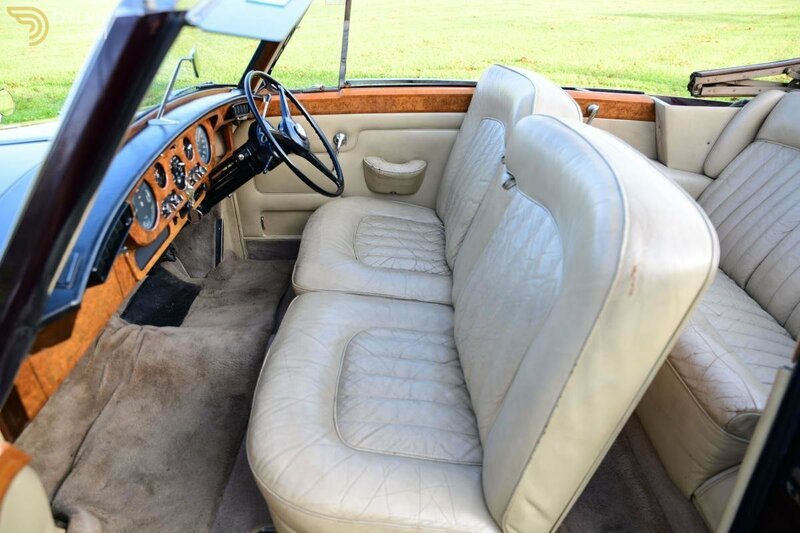 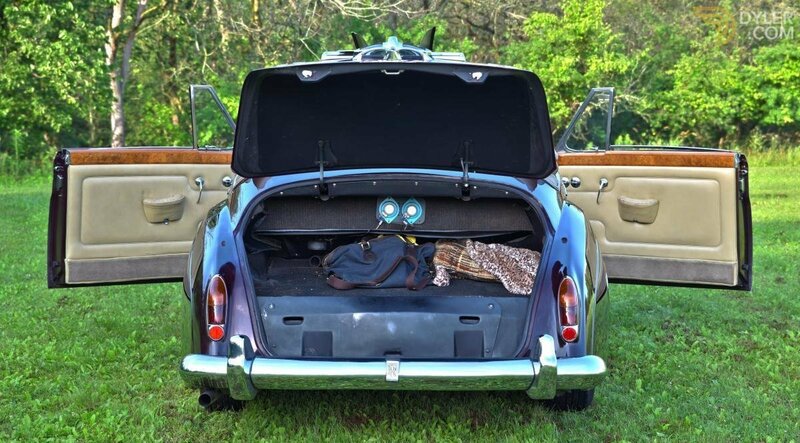 Introduced in the autumn of 1959, the Rolls-Royce Silver Cloud II and Bentley S2 appeared externally unchanged from their 'Cloud and S-Type predecessors, though the duo's performance was considerably enhanced by the new 6,230cc aluminum-alloy V8 engine. 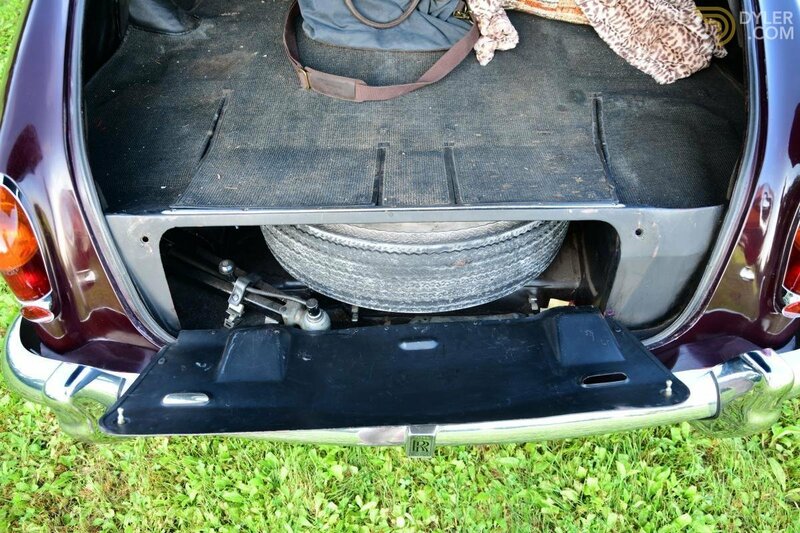 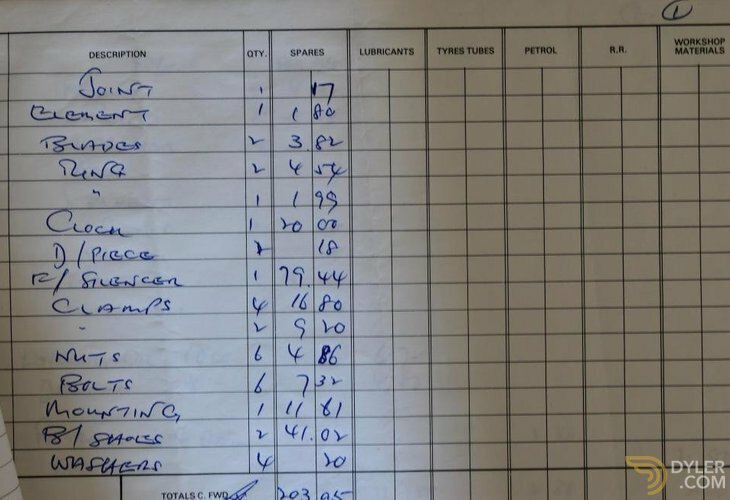 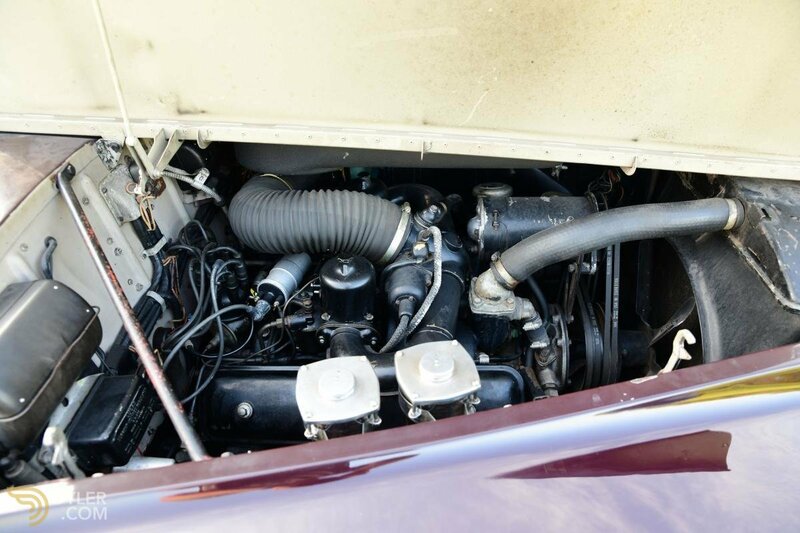 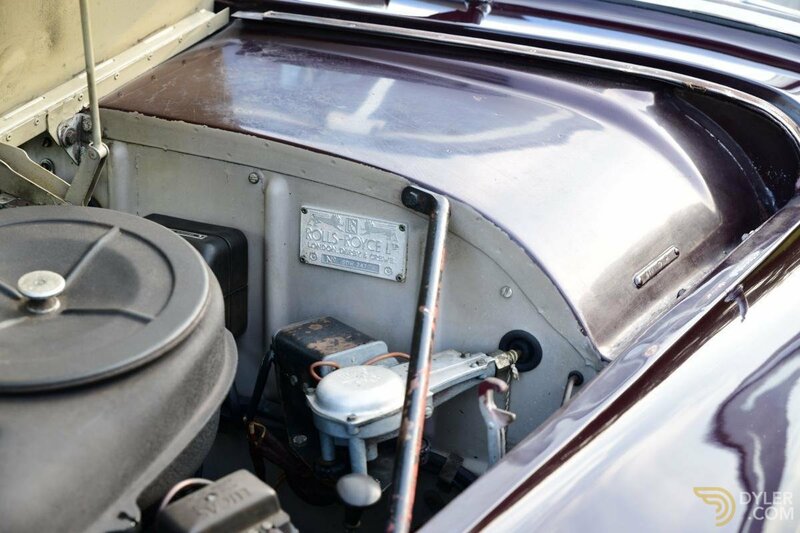 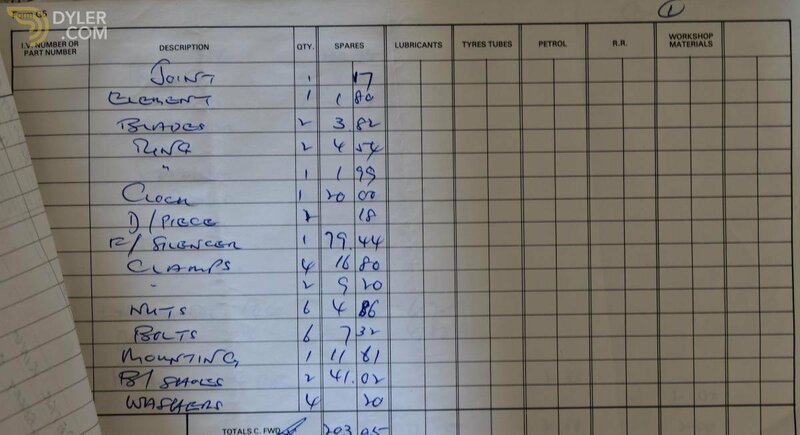 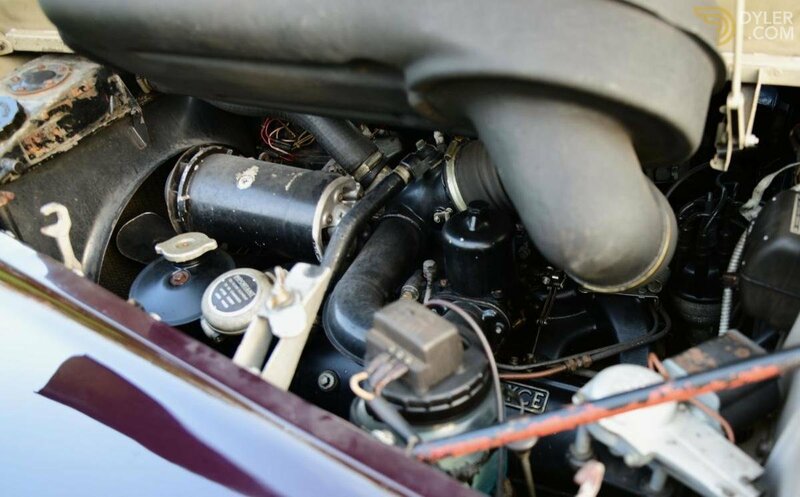 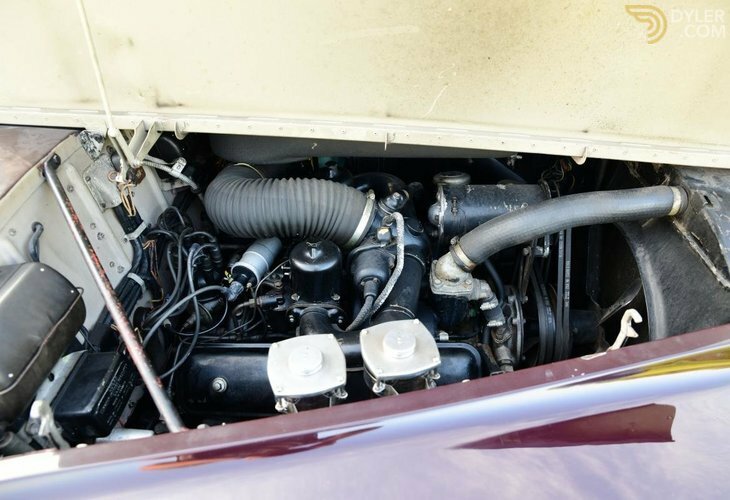 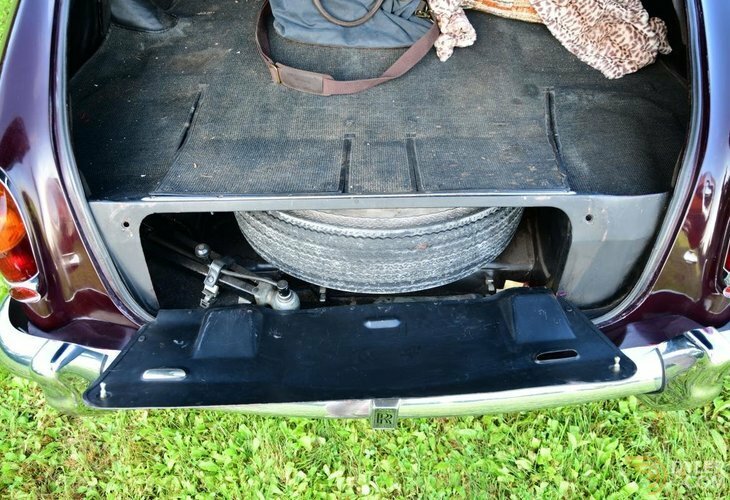 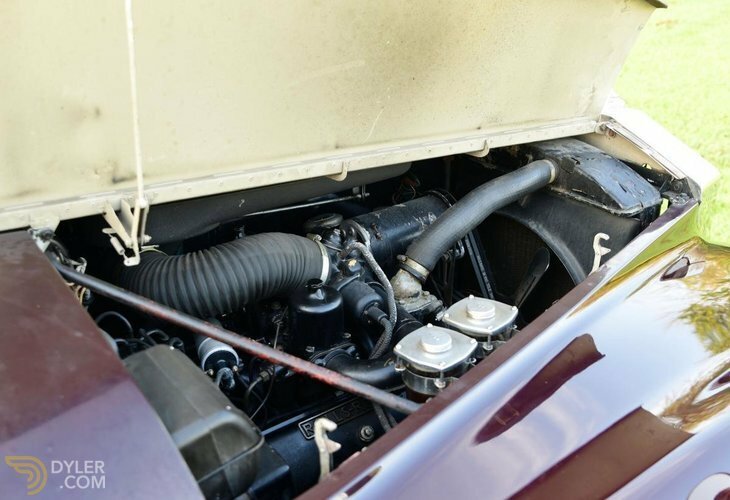 Although wider and shorter than the 'six' it replaced, the new power unit fitted relatively easily within the engine bay, relocation of the steering box from inside to outside of the chassis frame being the most obvious alteration to the previous arrangements. 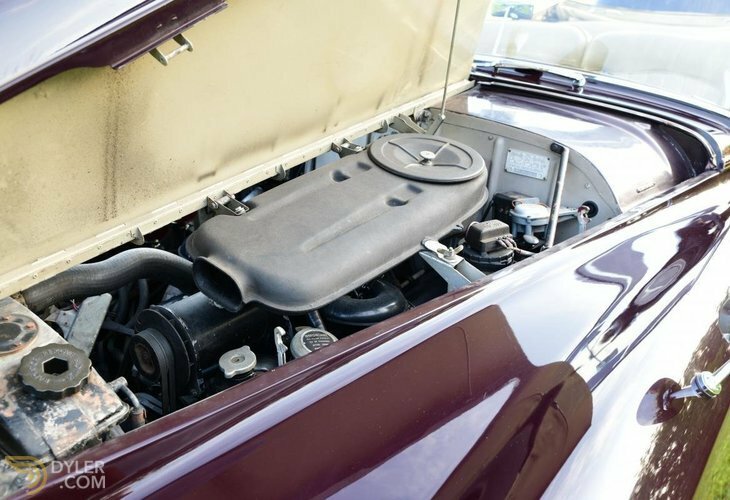 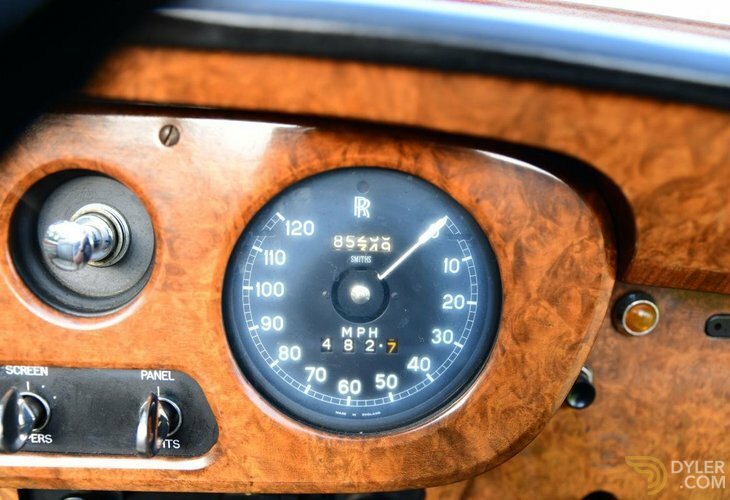 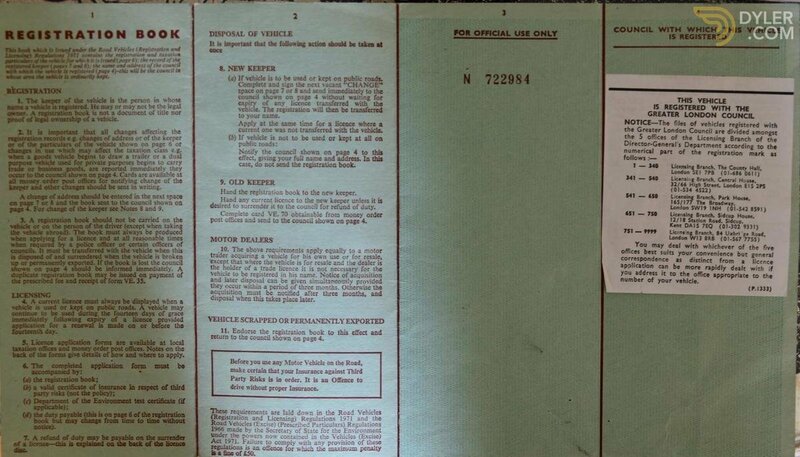 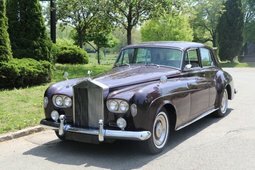 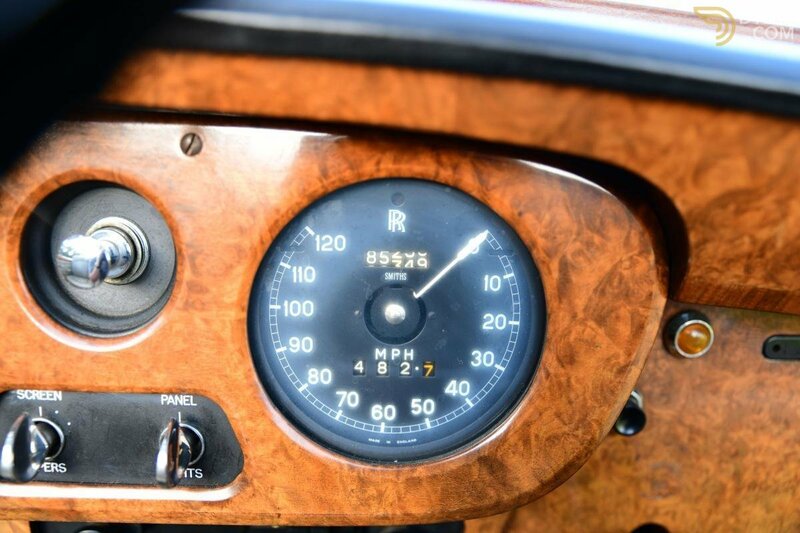 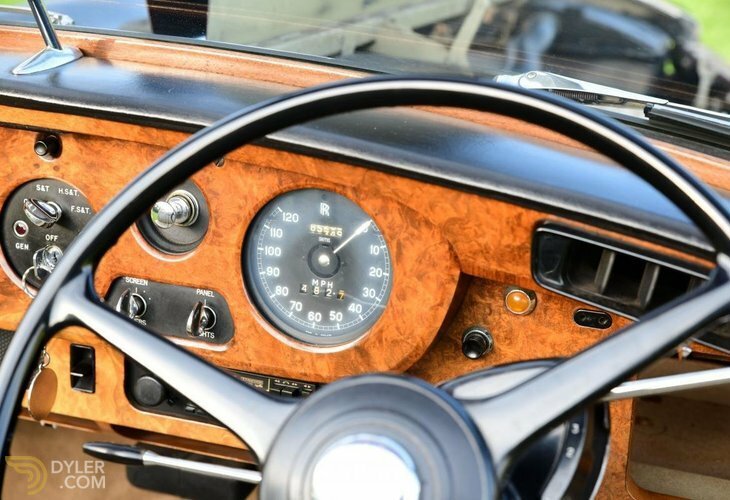 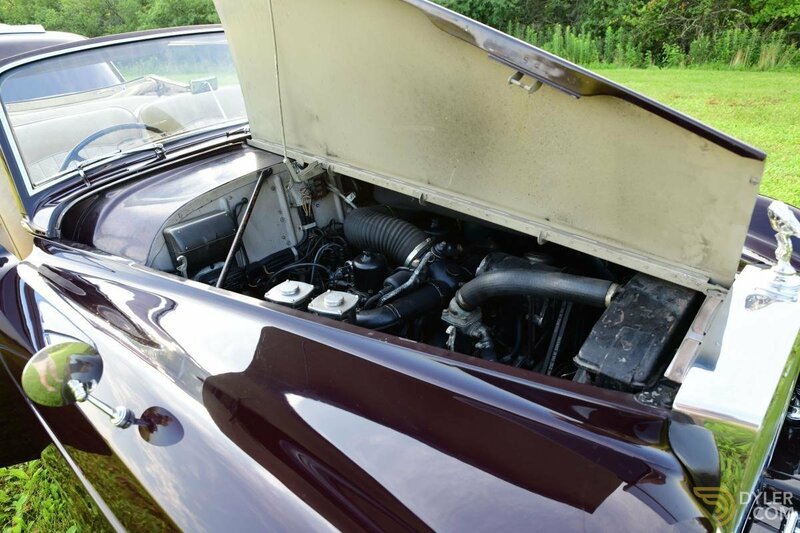 Launched in 1962, the Rolls-Royce Silver Cloud III and its Bentley S3 equivalent employed the 6.2-liter V8 engine introduced on the 'Cloud II/S2 - though with larger carburetors, new distributor and raised compression ratio - and came with a four-speed GM-derived automatic transmission as standard equipment. 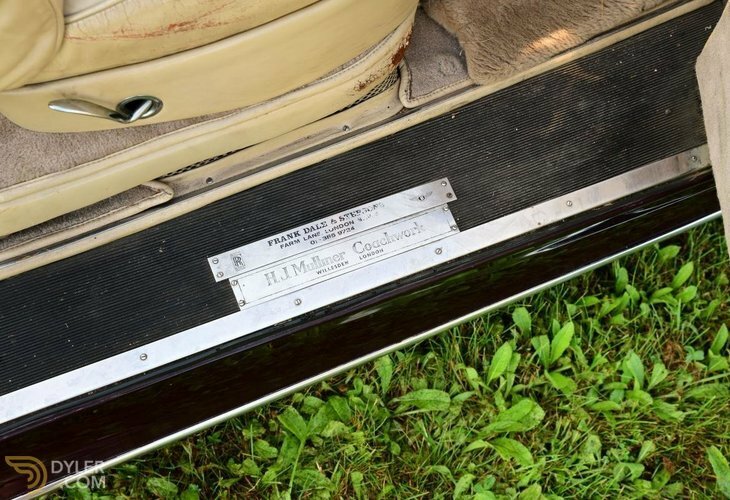 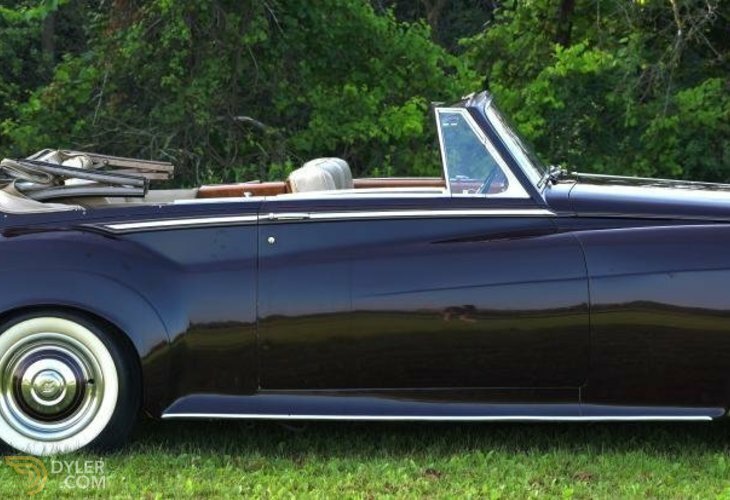 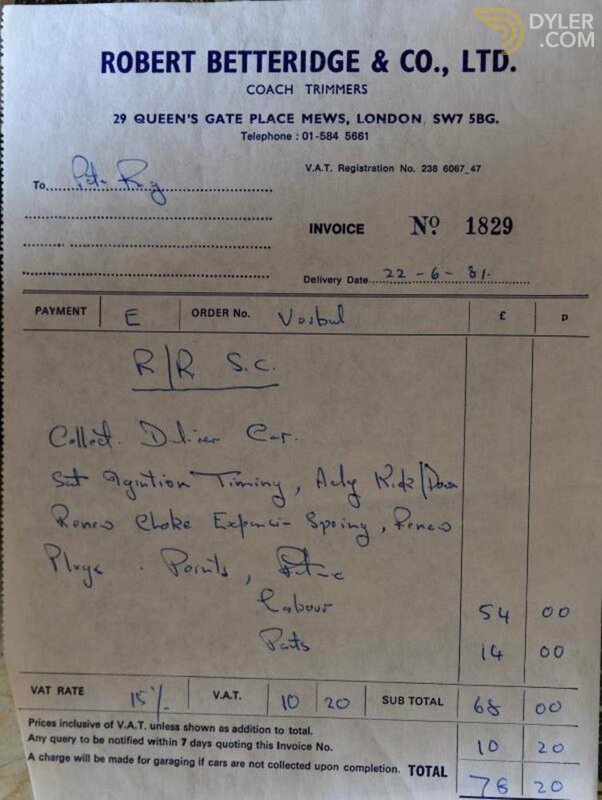 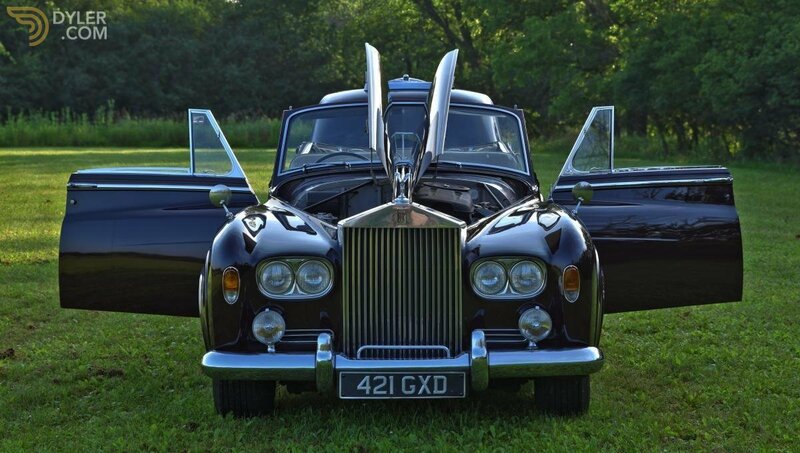 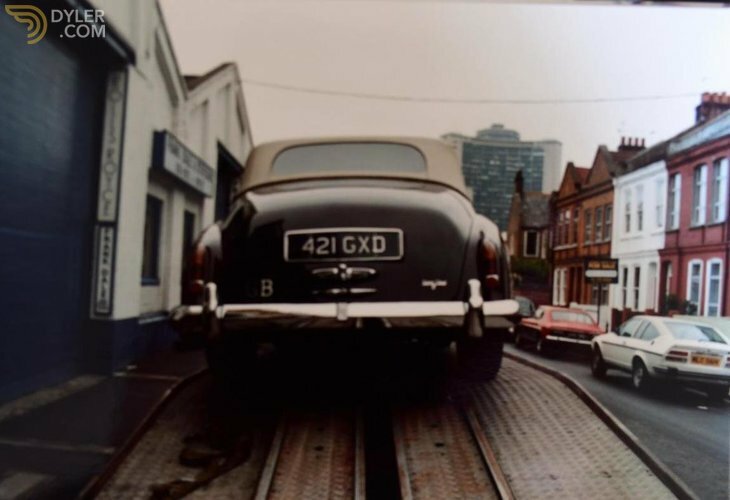 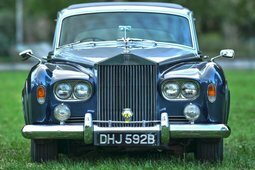 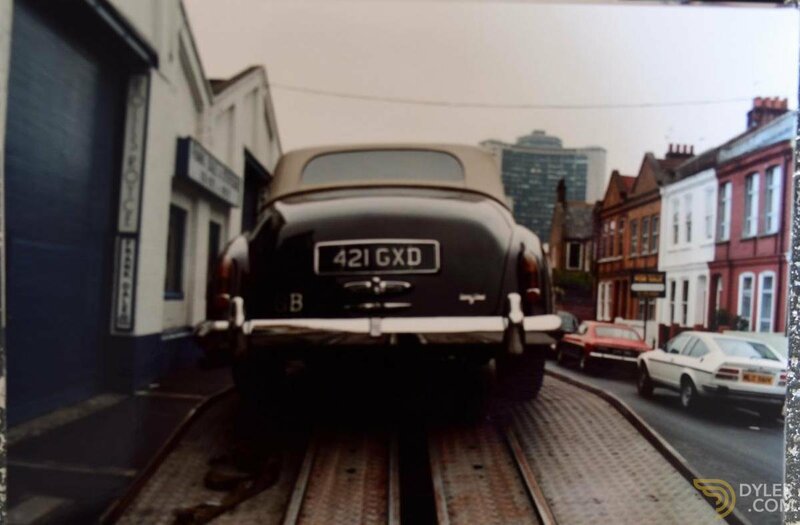 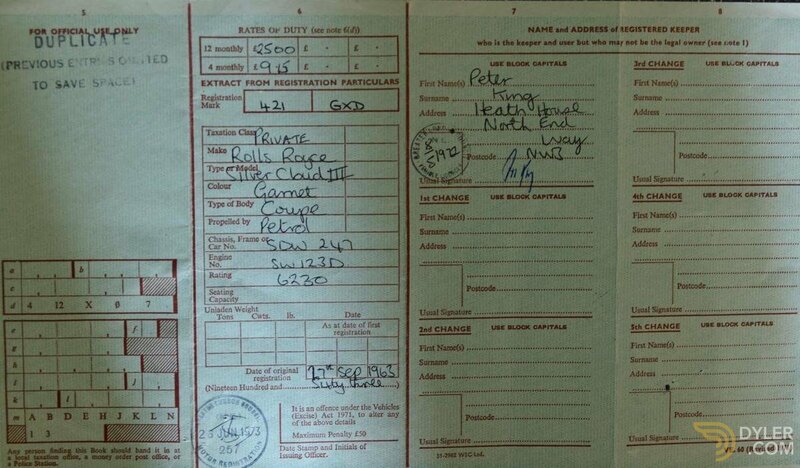 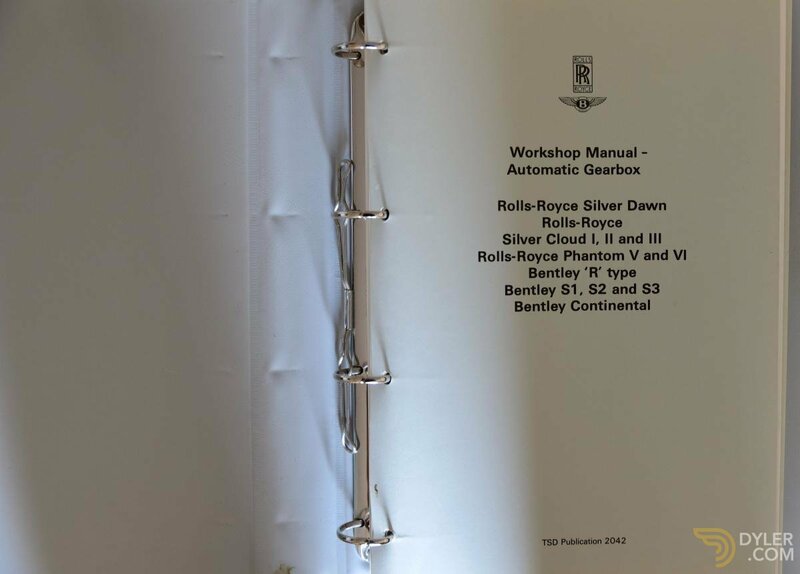 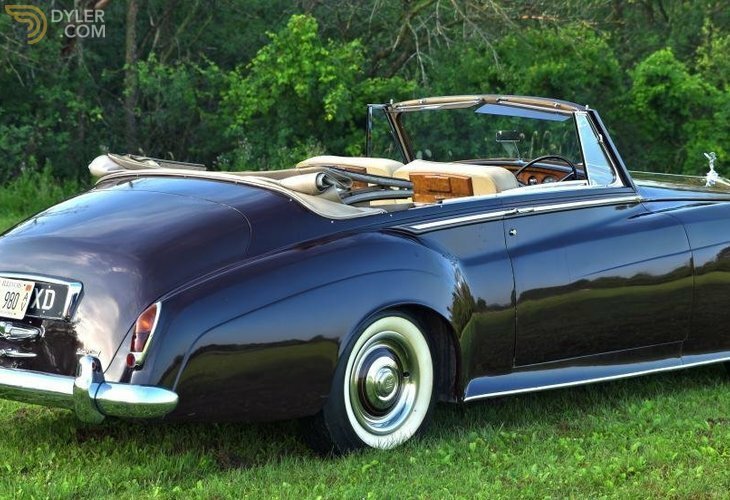 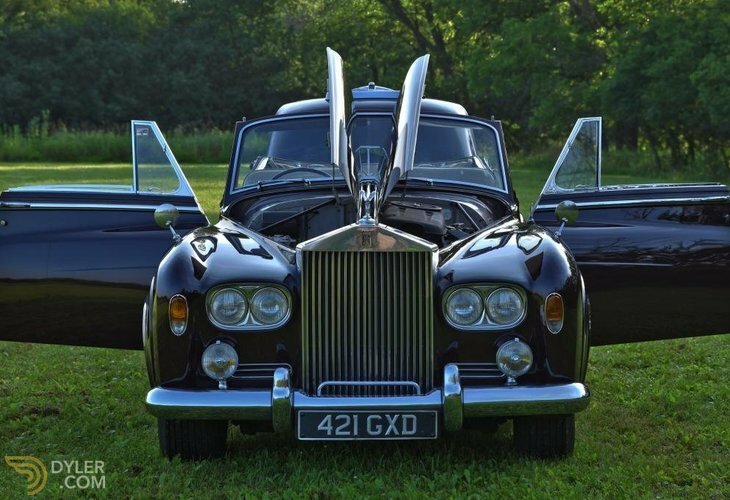 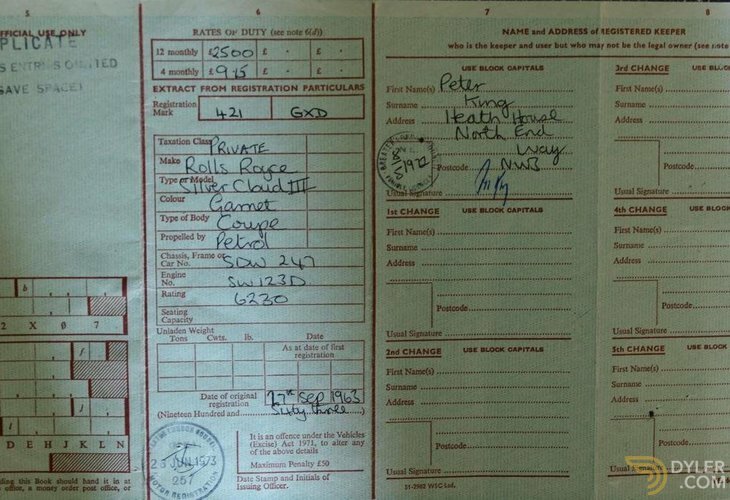 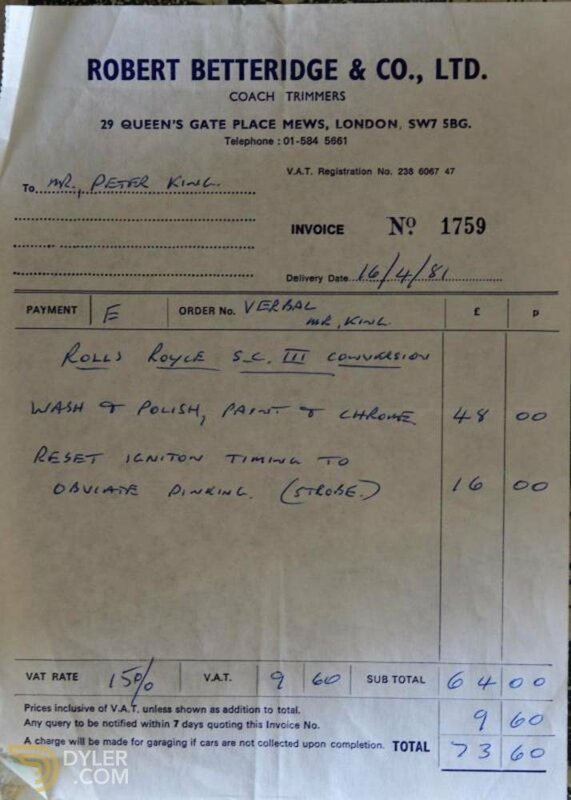 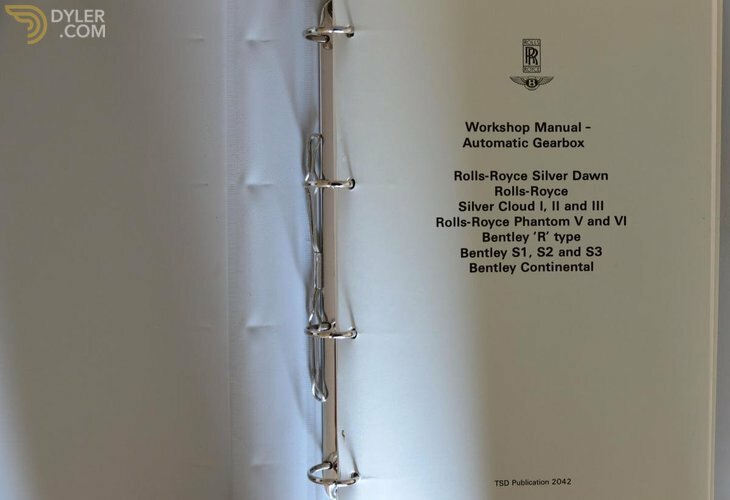 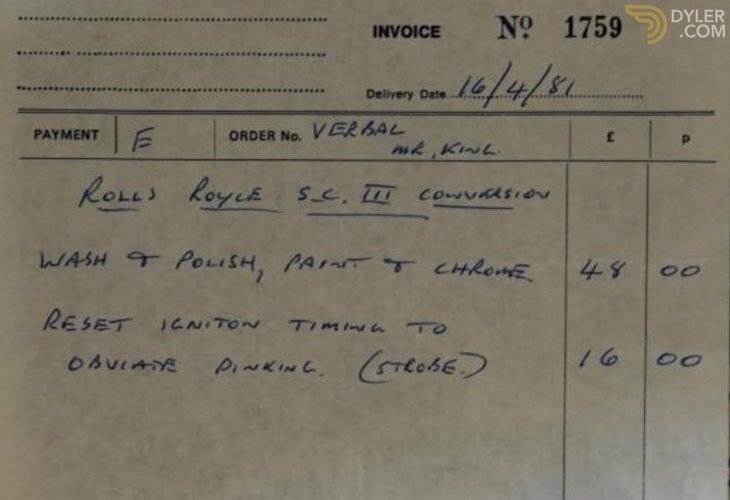 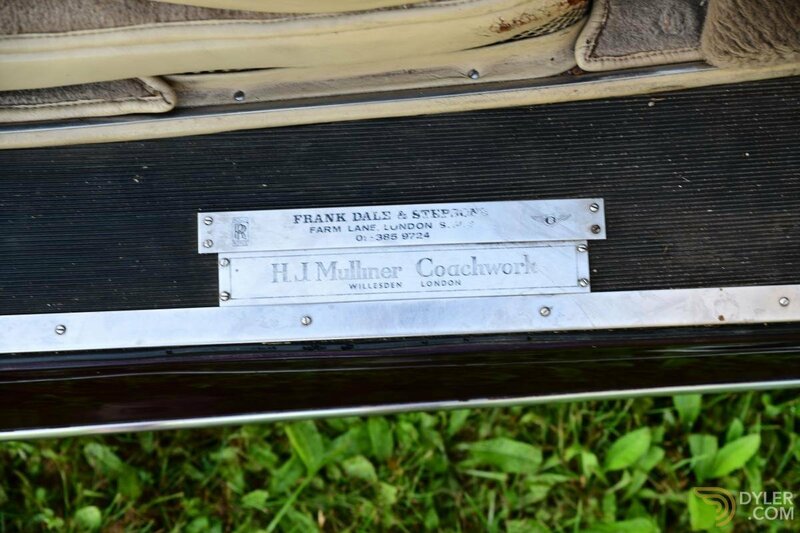 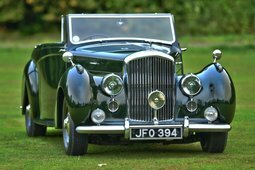 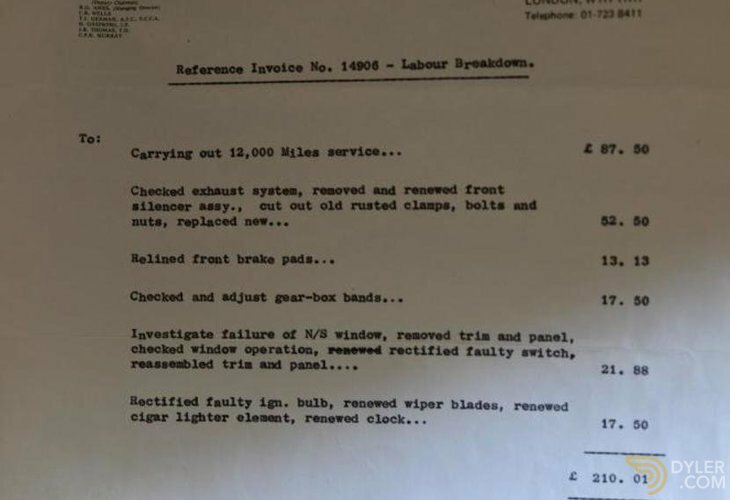 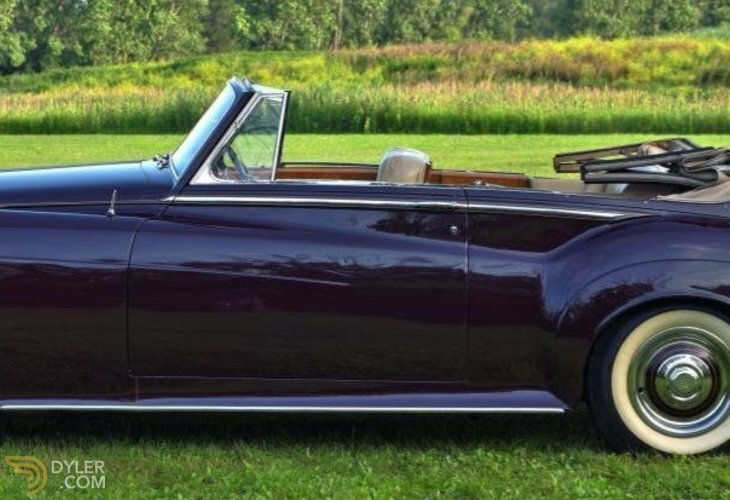 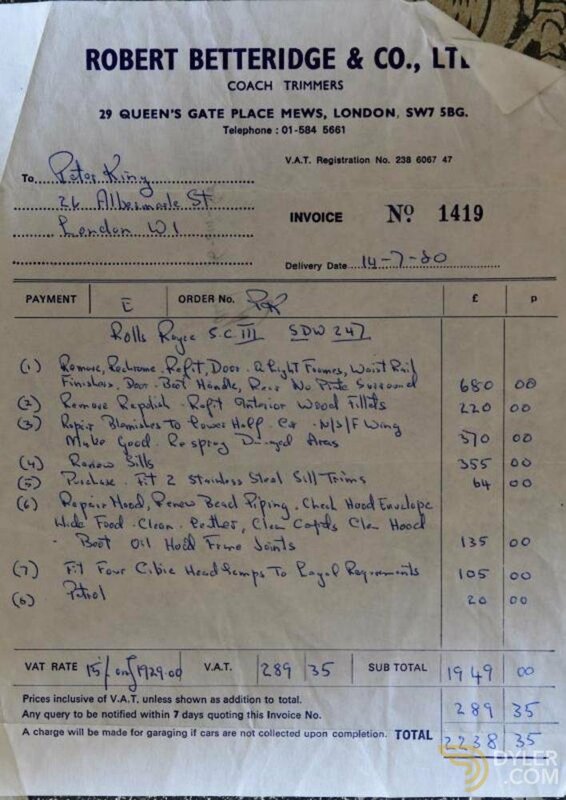 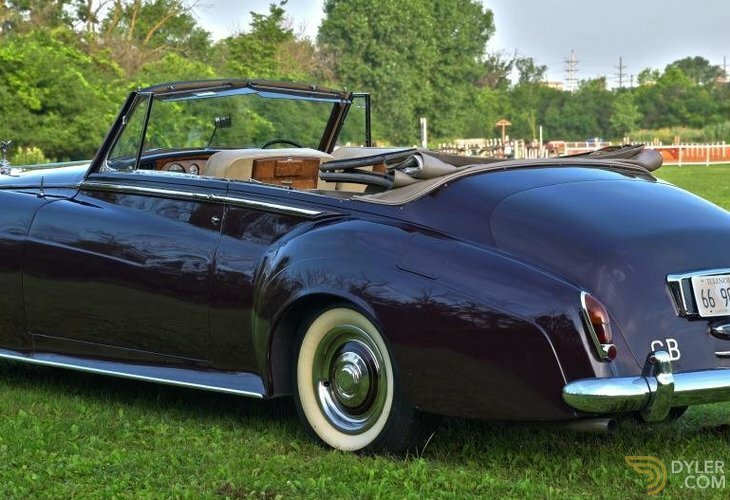 As well as the factory-bodied 'standard steel' cars, bespoke creations from James Young and the merged firm of H J Mulliner, Park Ward Ltd (now Rolls-Royce-owned) continued to be available on the 'Cloud III chassis for those discerning enthusiasts wealthy enough to afford them. 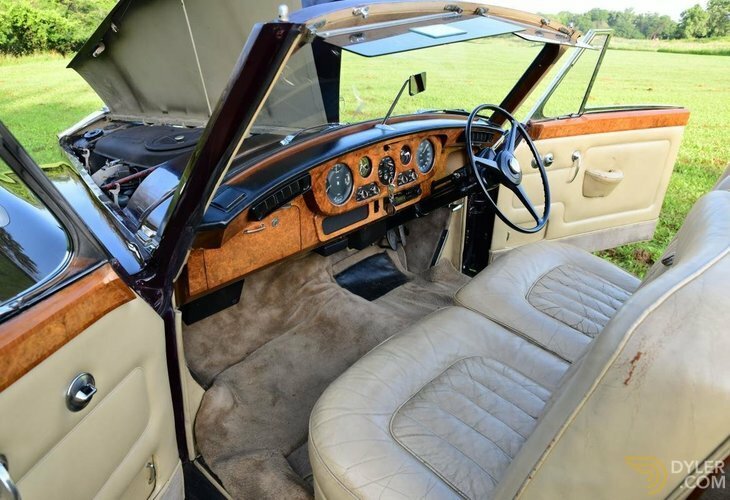 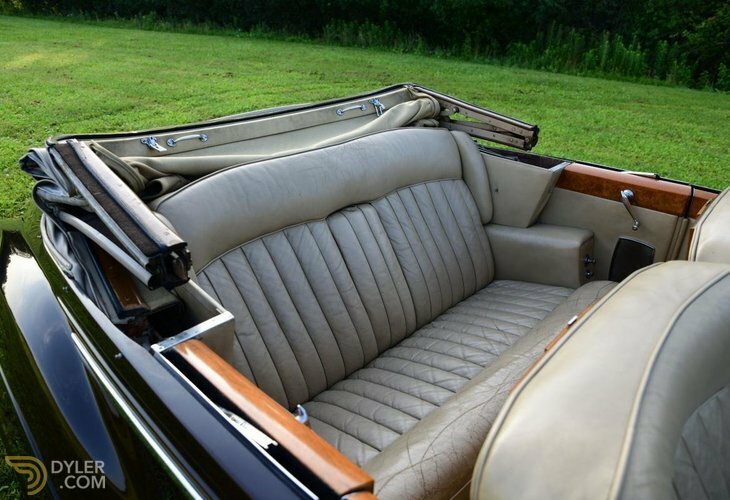 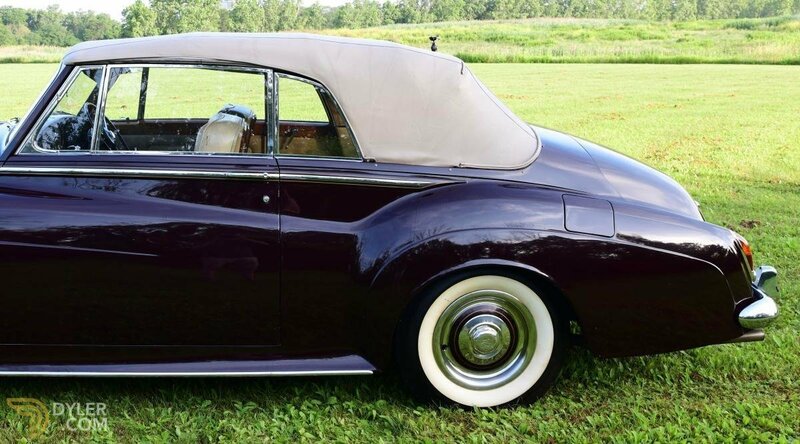 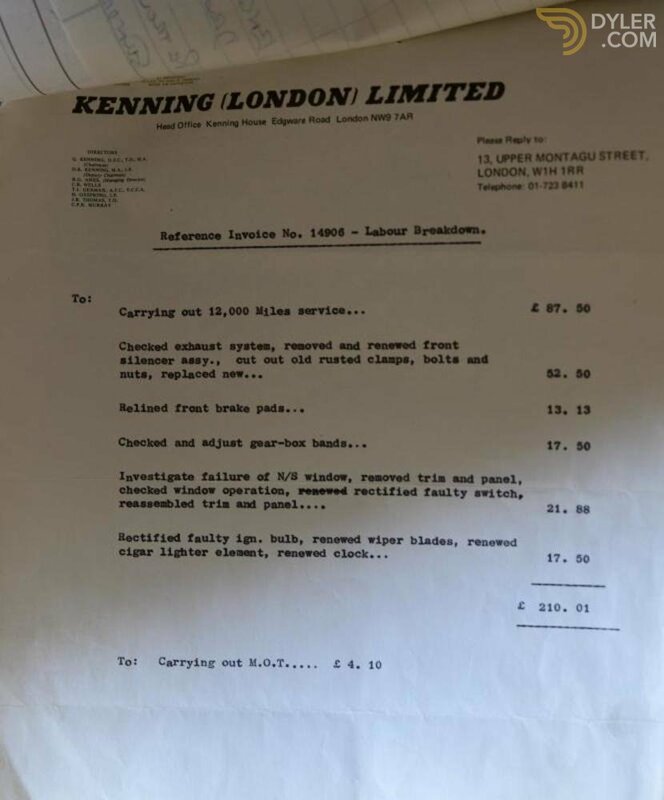 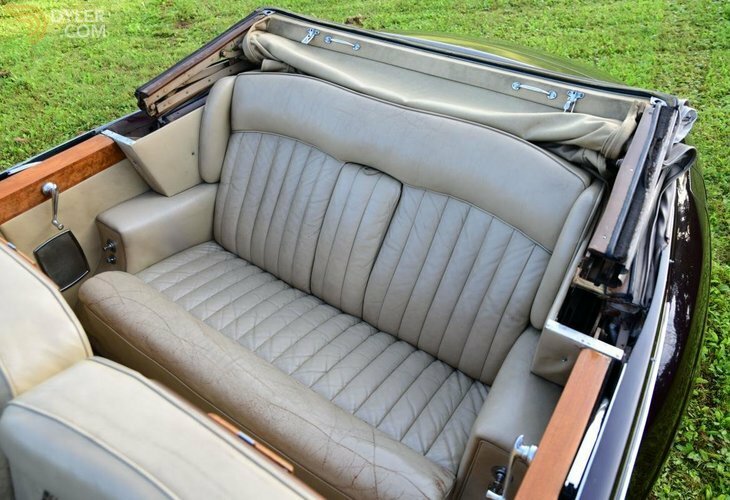 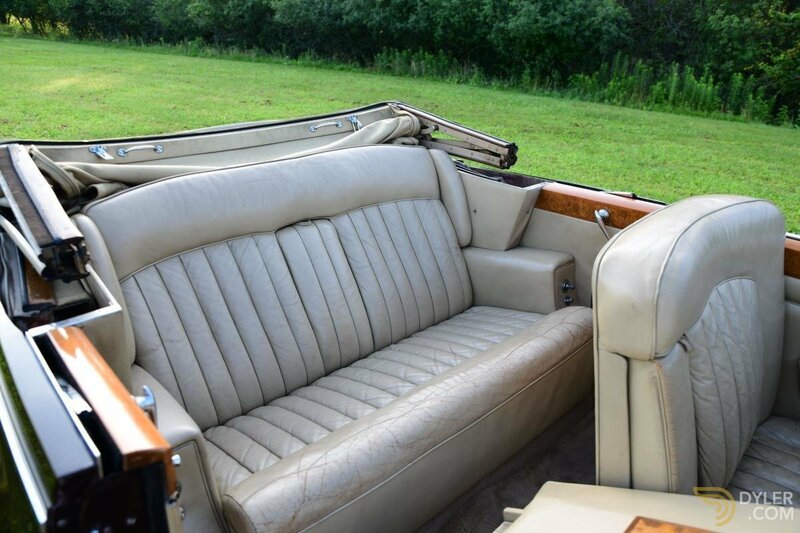 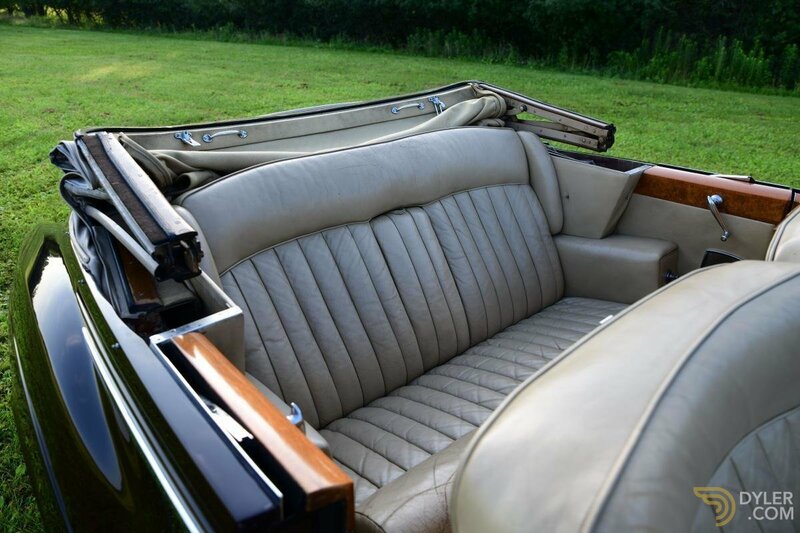 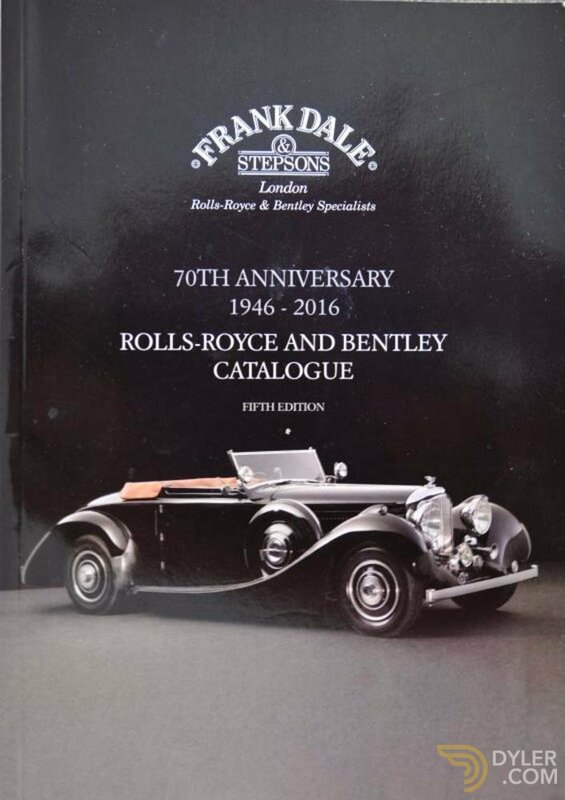 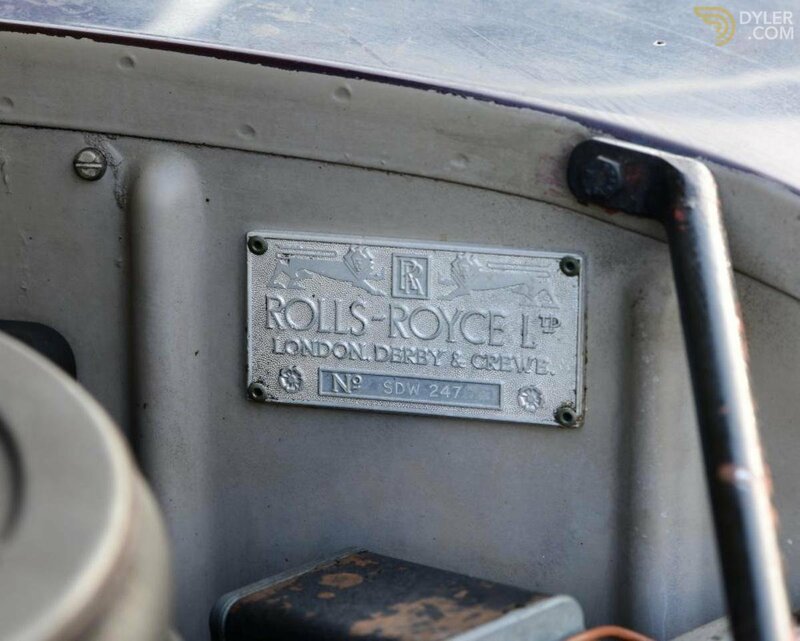 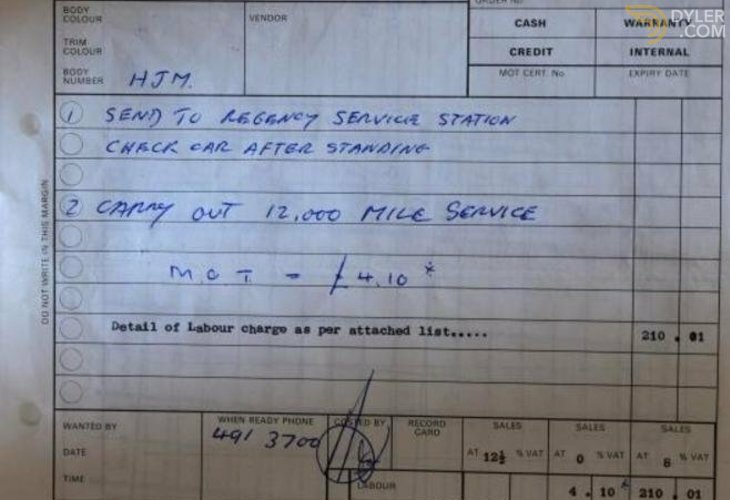 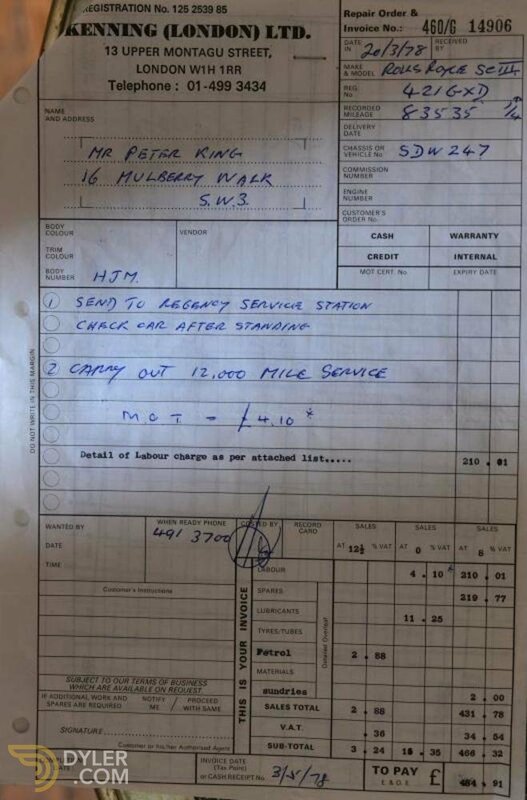 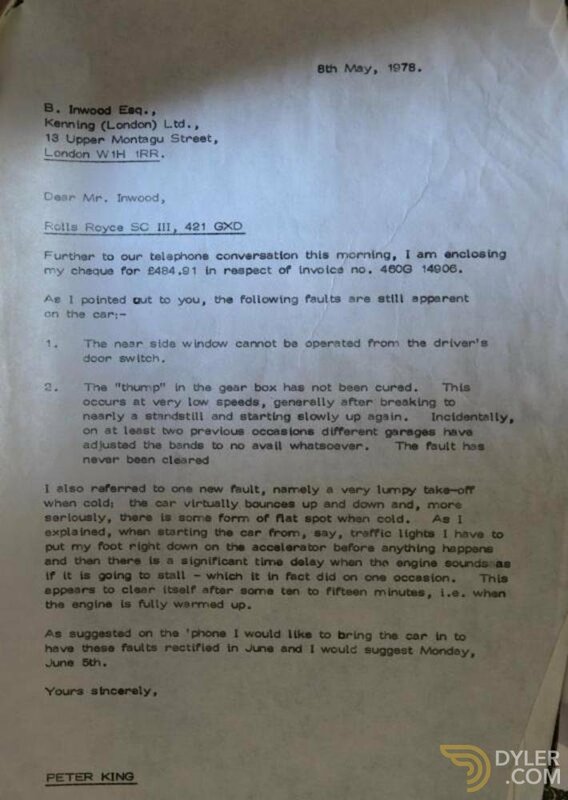 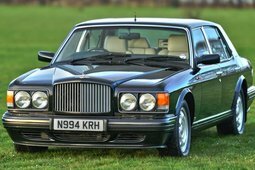 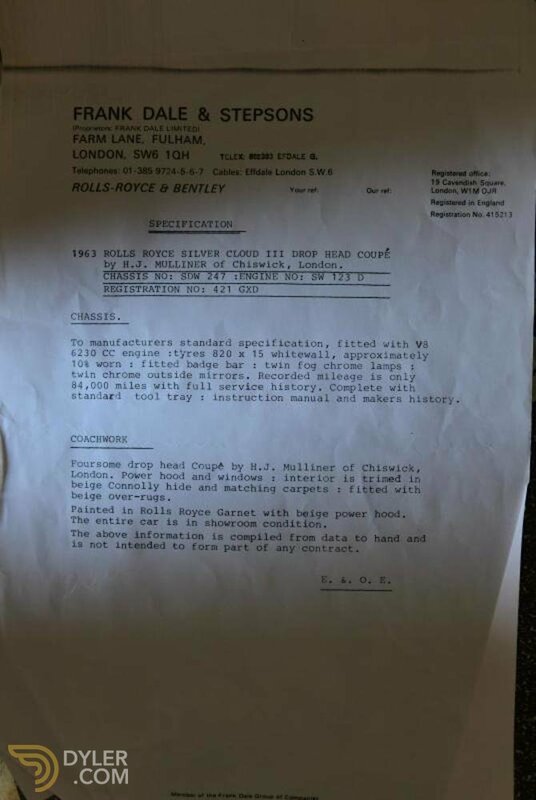 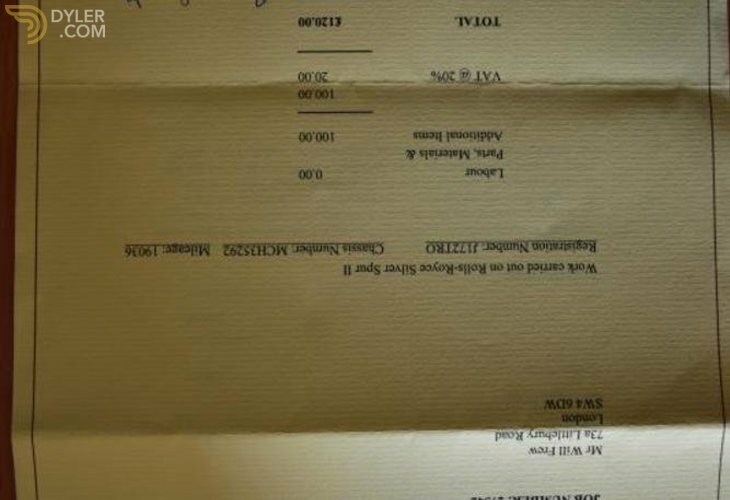 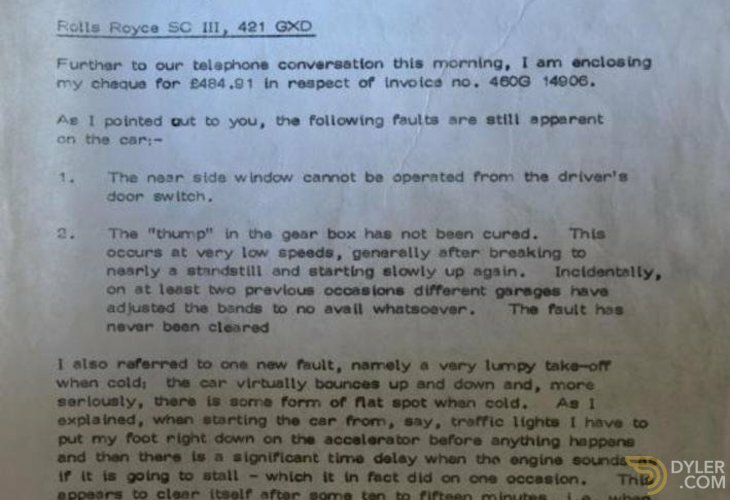 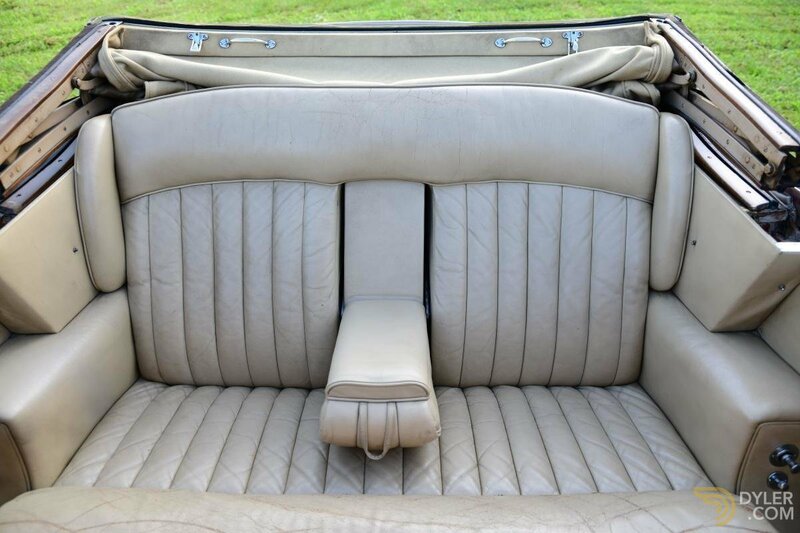 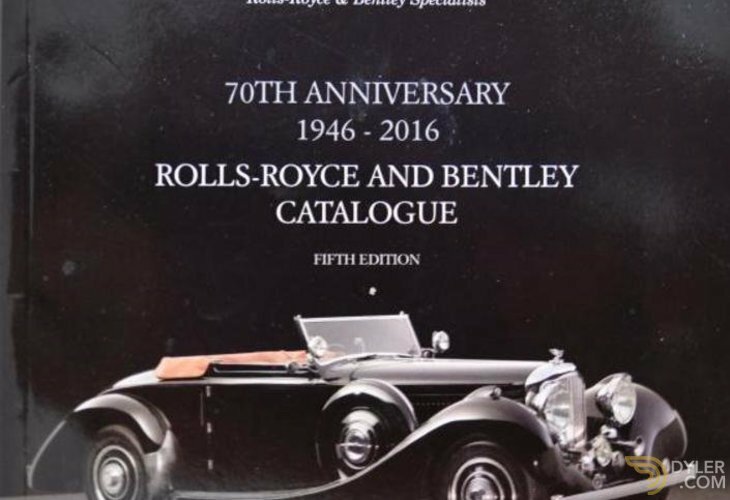 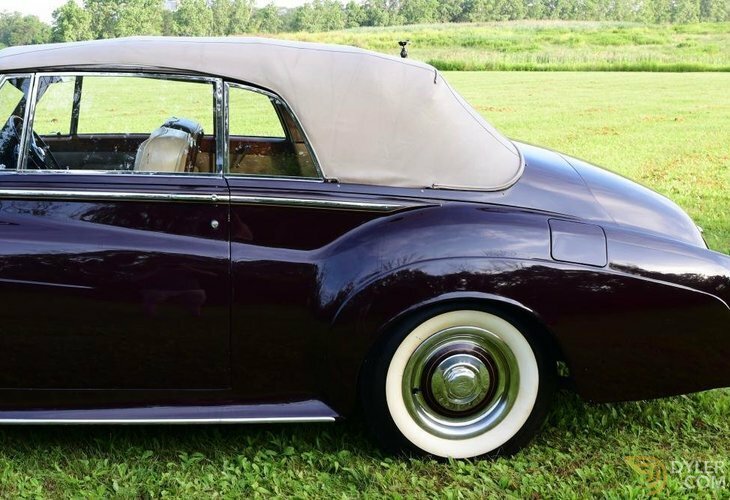 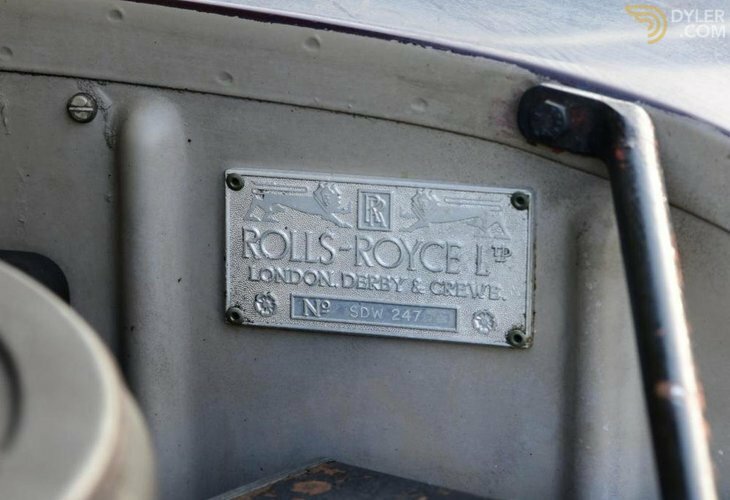 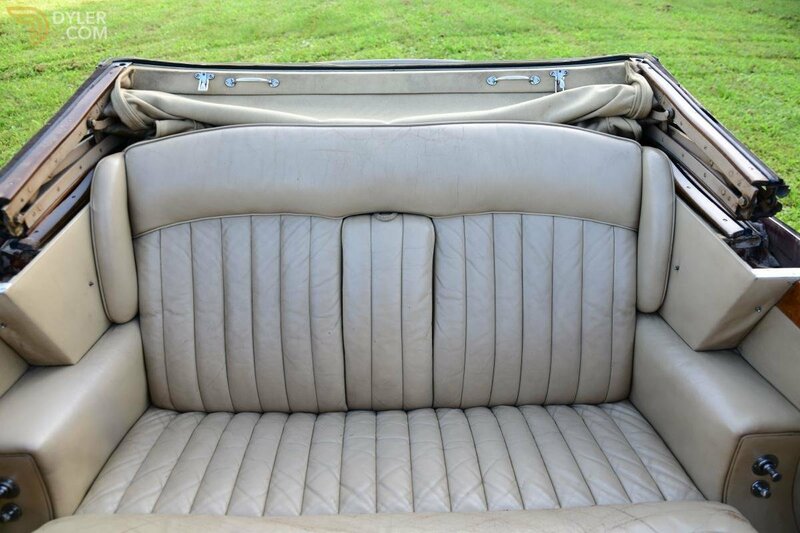 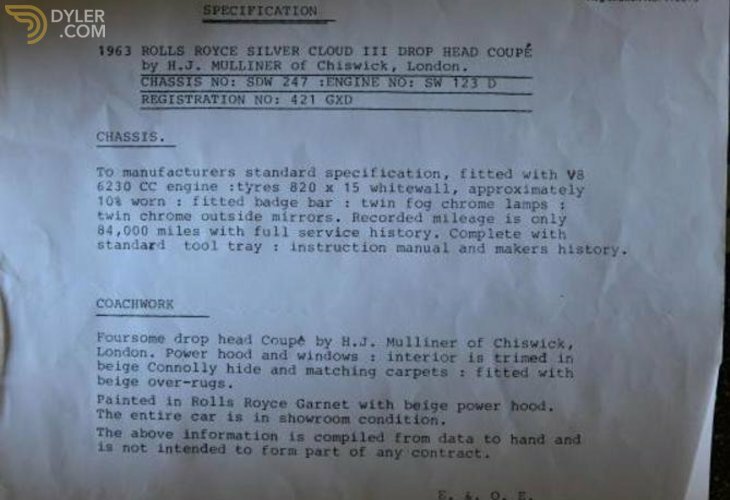 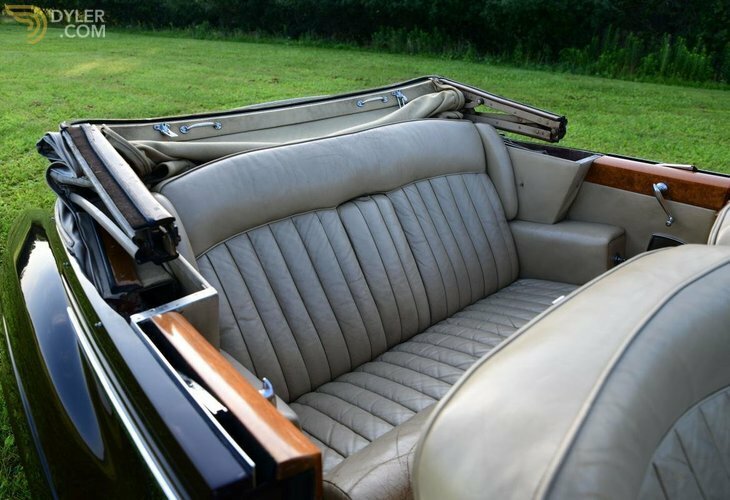 Indeed, as the factory did not offer a convertible or drophead coupé, a coachbuilt car was the only option if one's preference was Rolls-Royce-style fresh-air motoring. 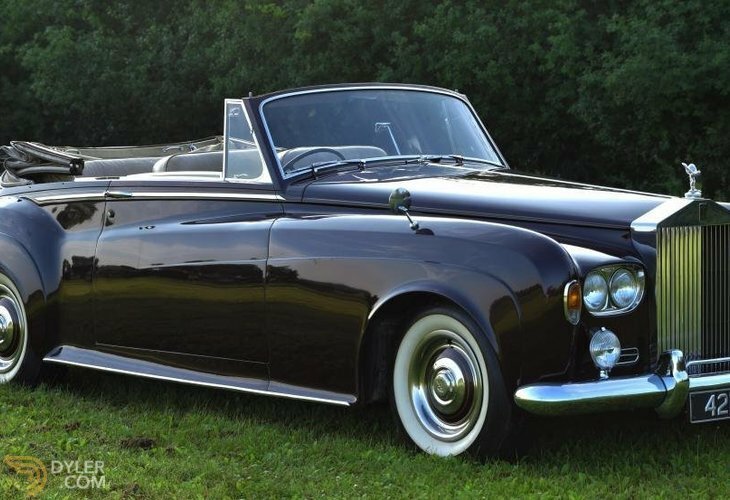 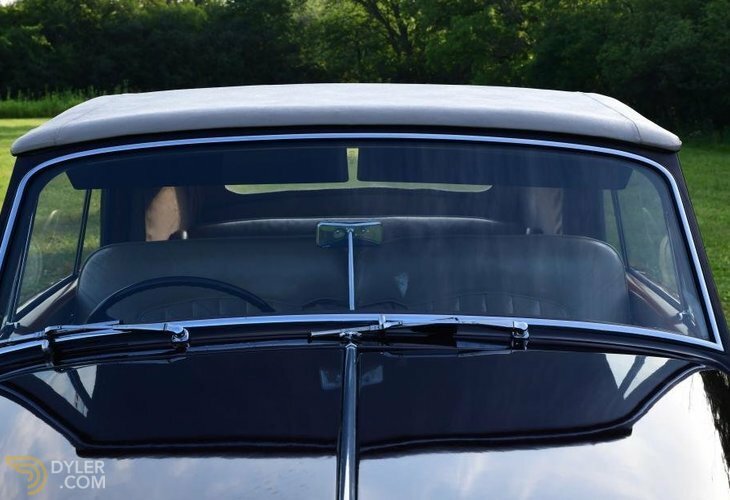 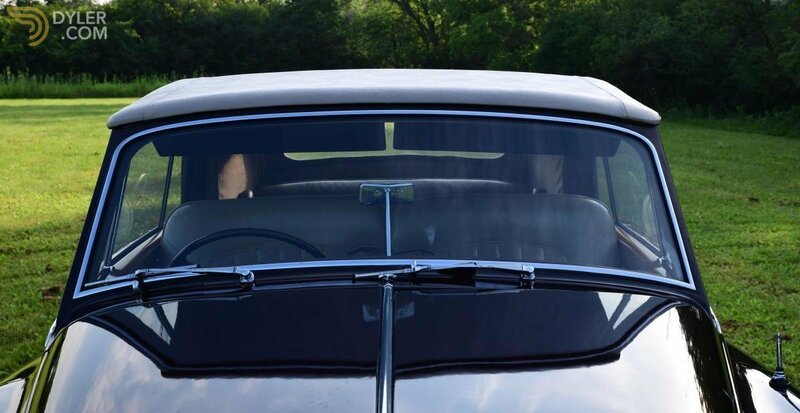 First introduced in 1958, H J Mulliner's was the most successful of its type, lasting into 1963; more modern 'straight-through wing' designs became the preferred style thereafter. 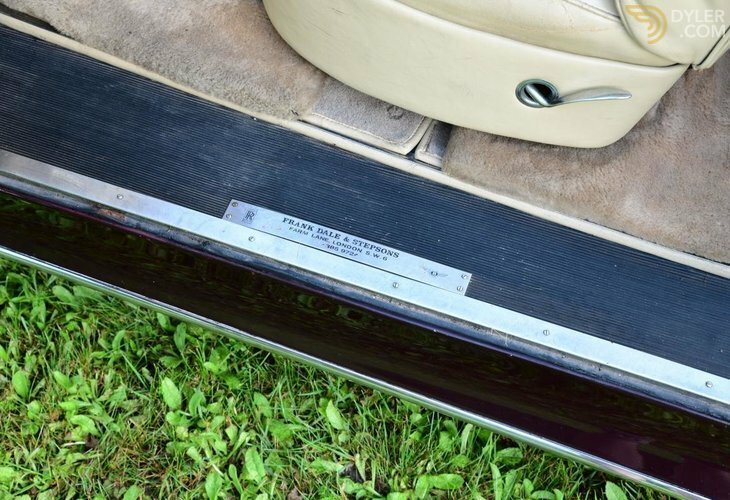 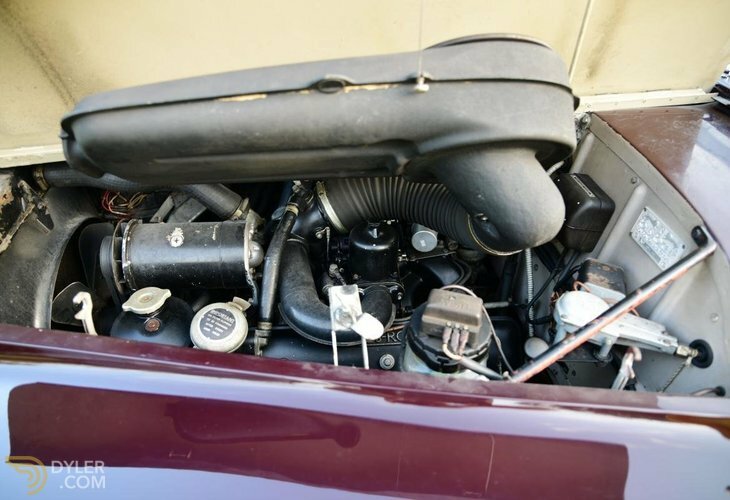 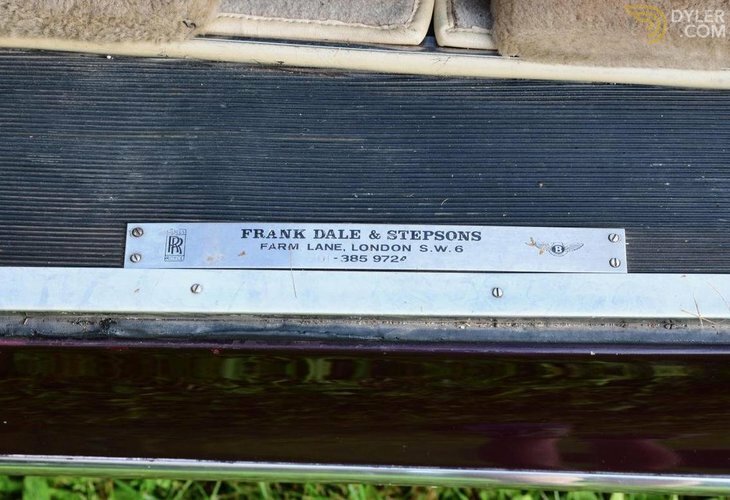 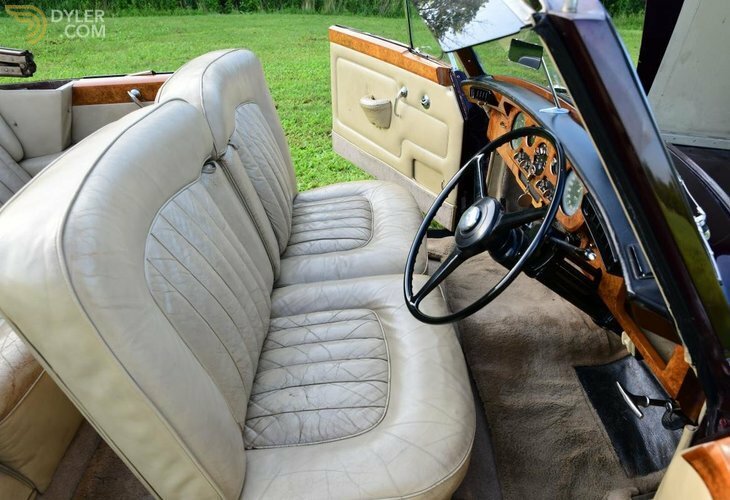 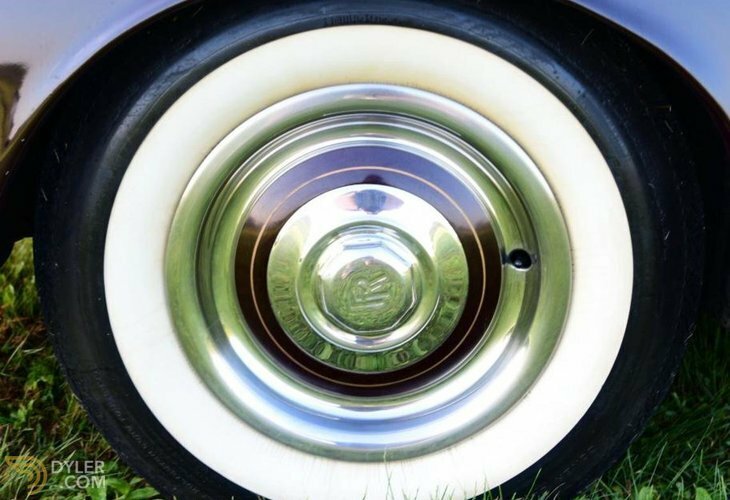 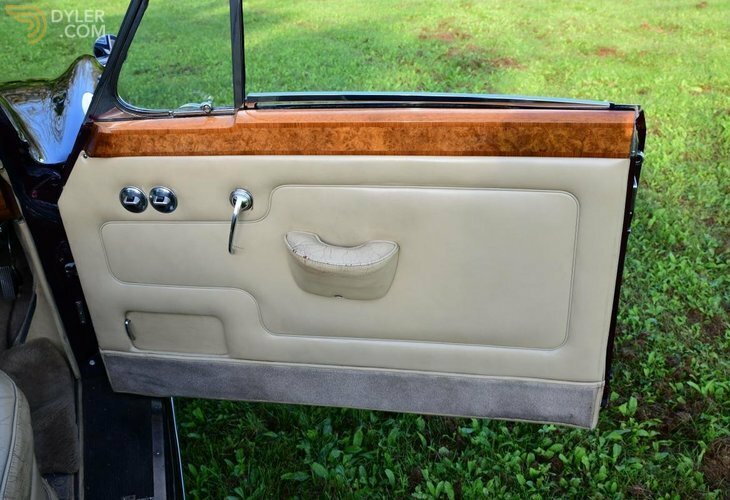 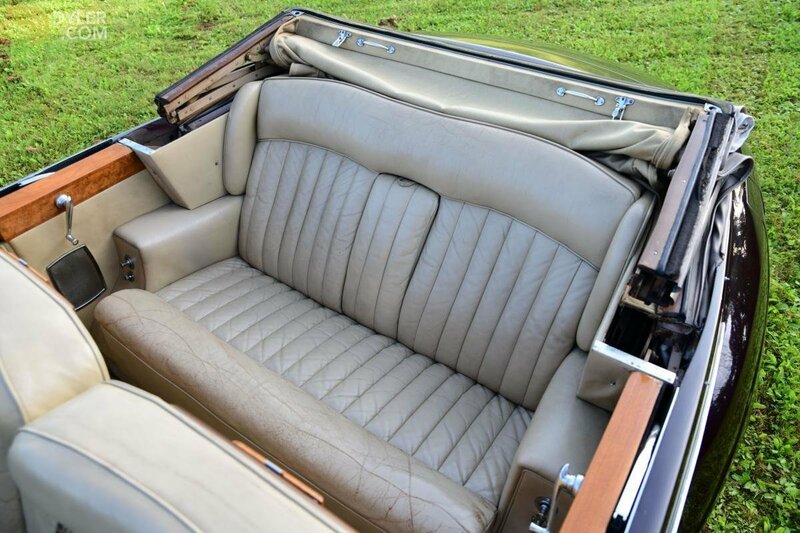 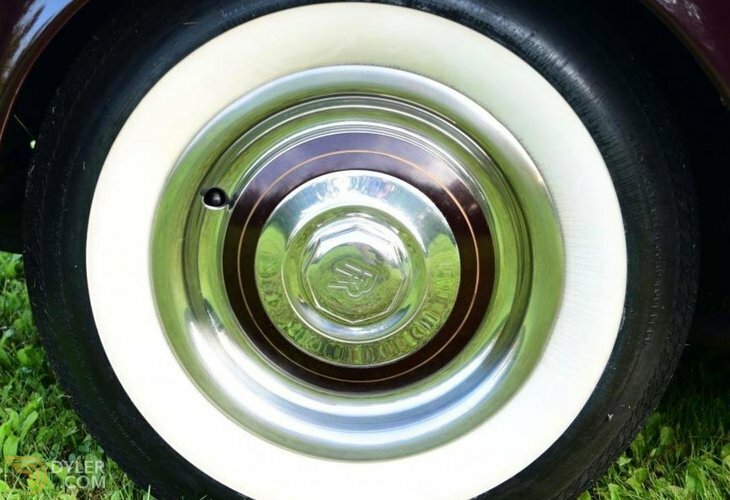 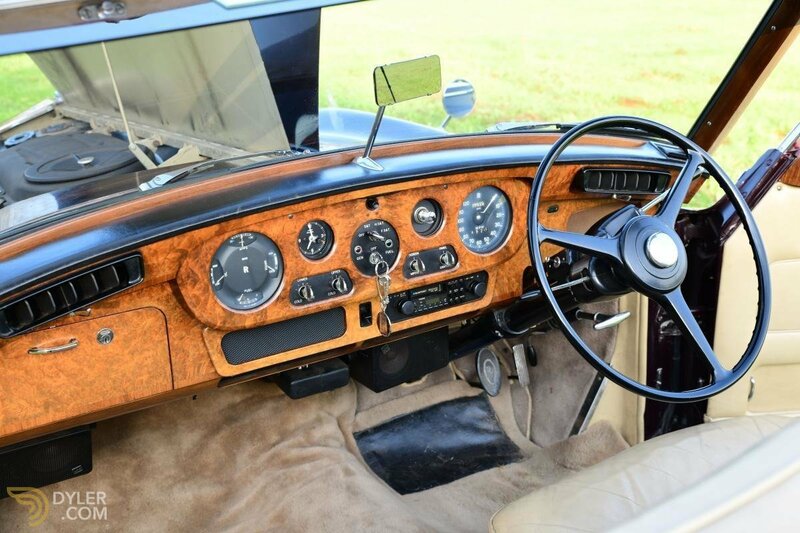 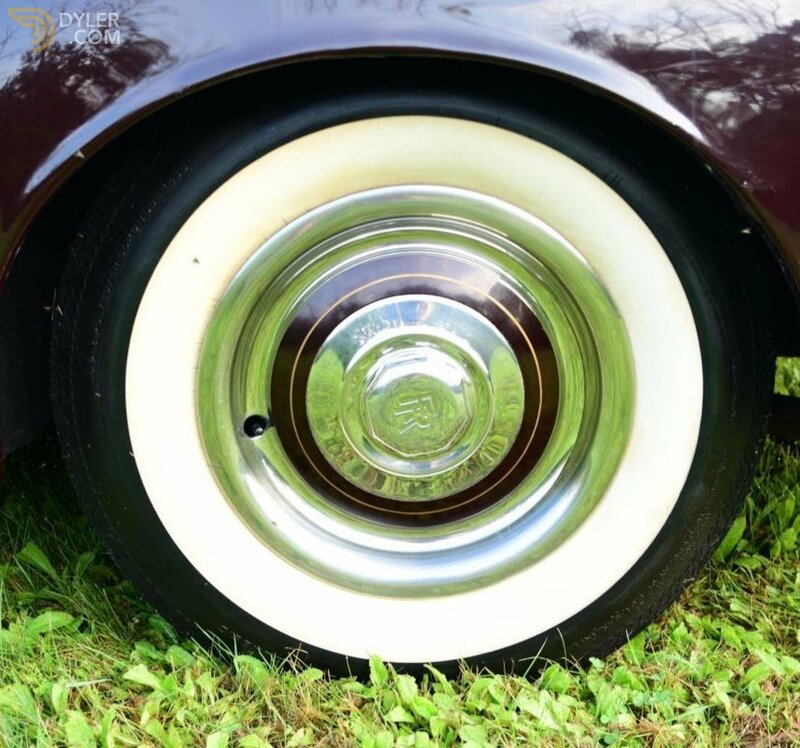 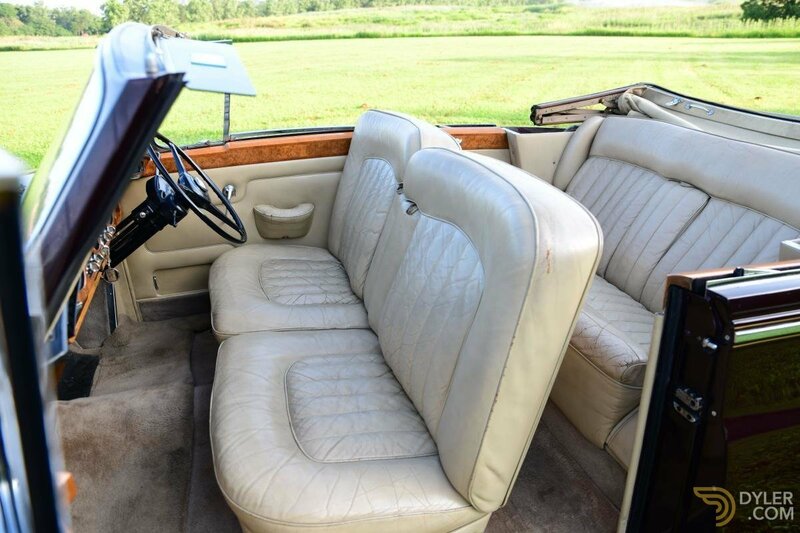 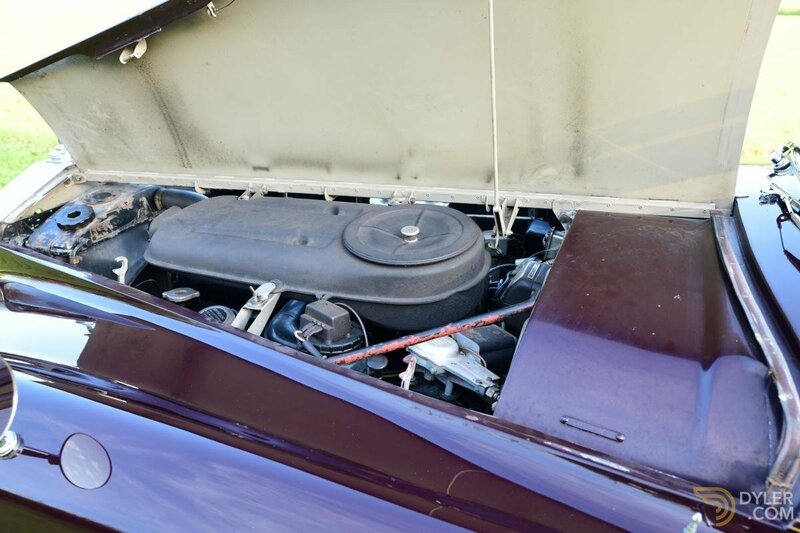 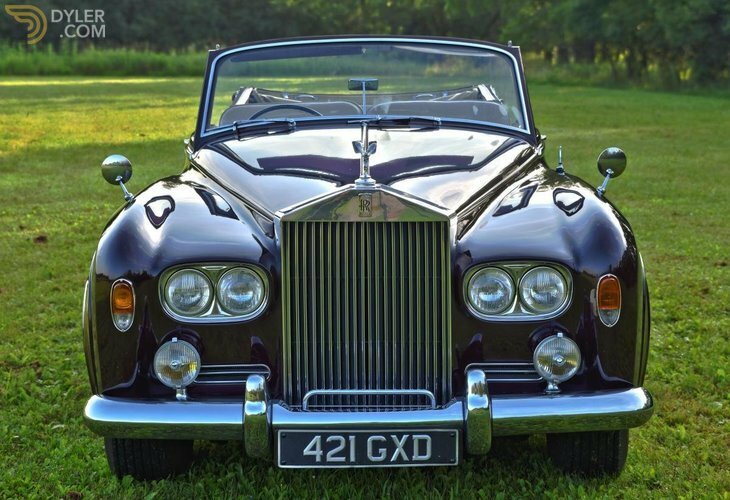 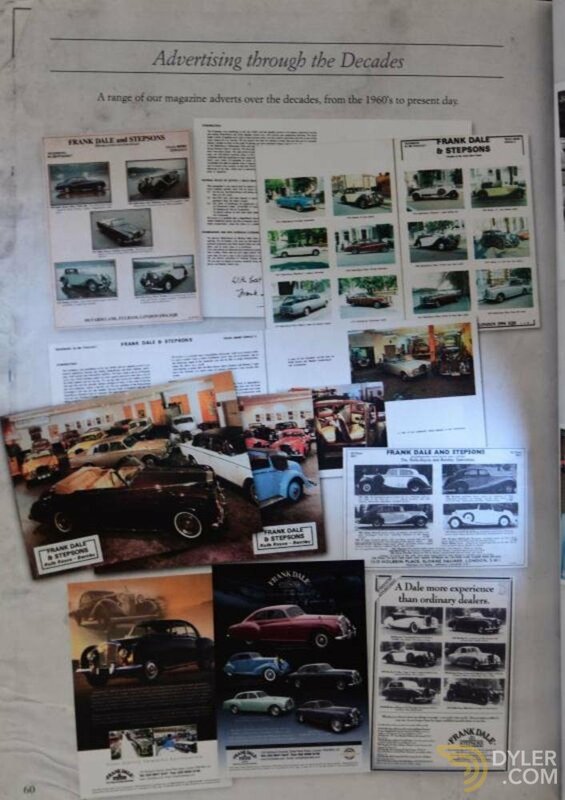 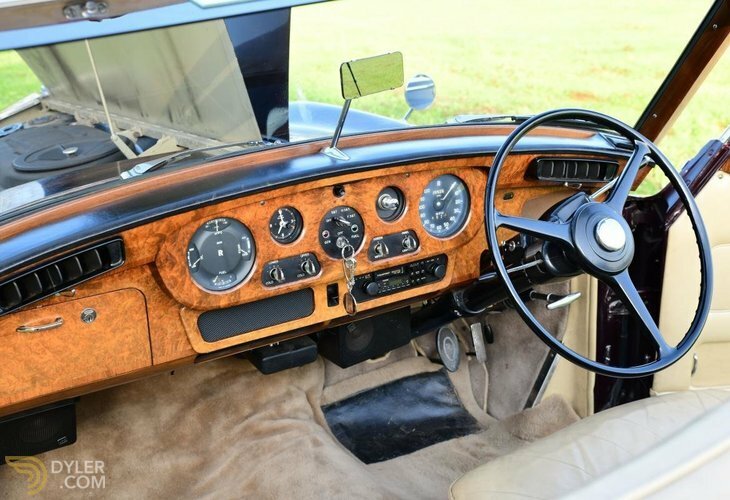 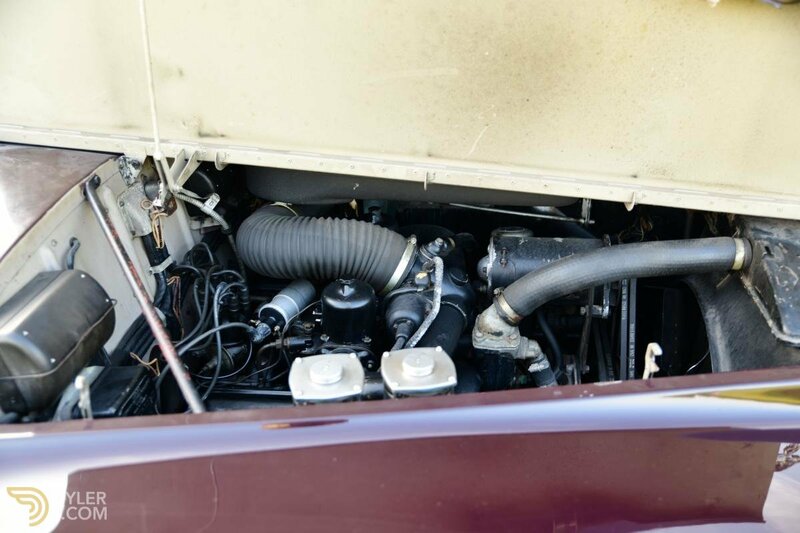 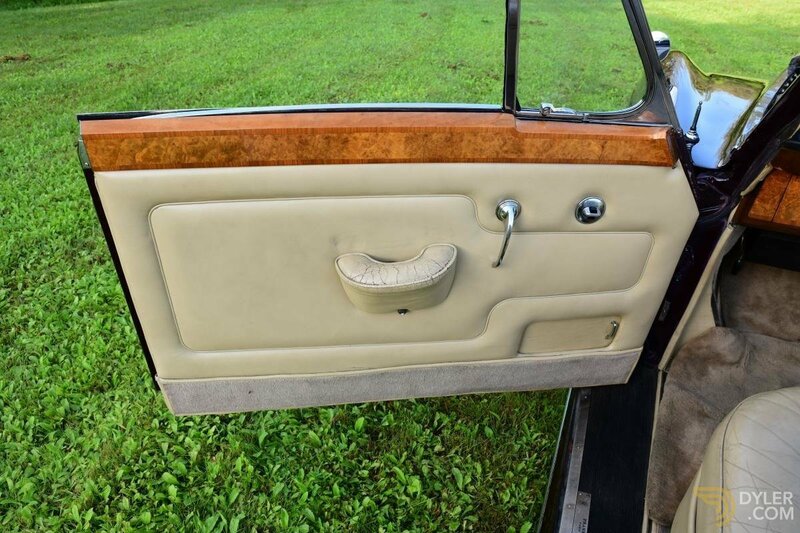 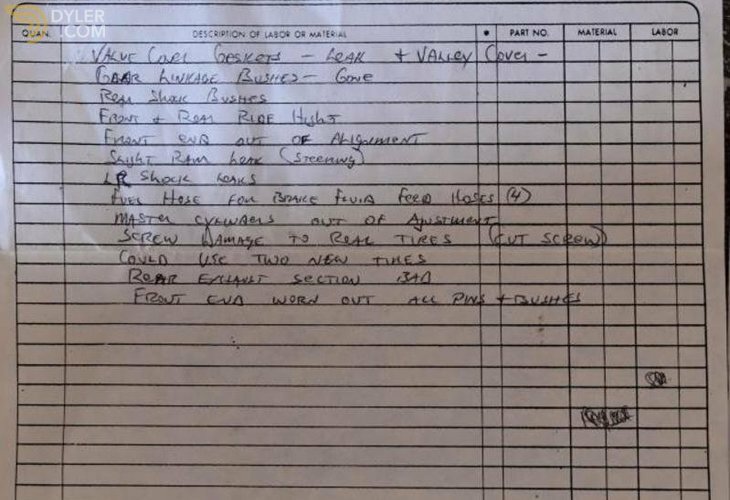 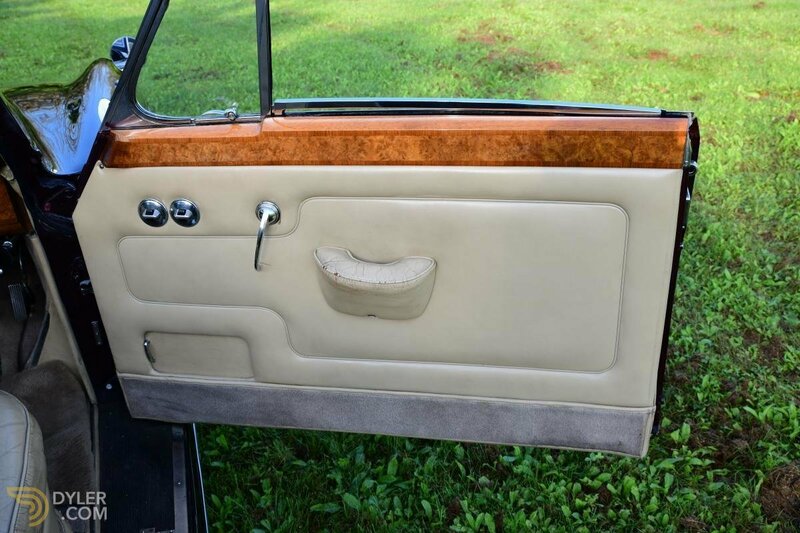 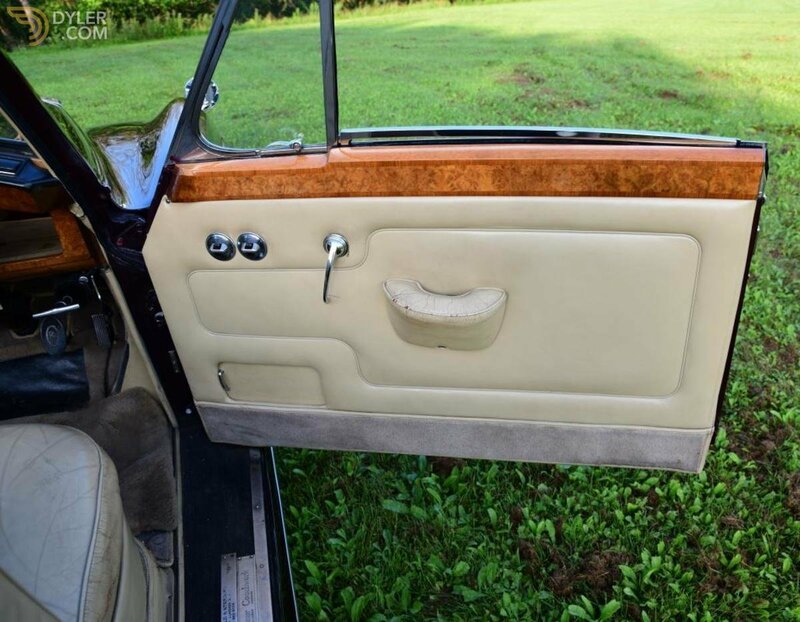 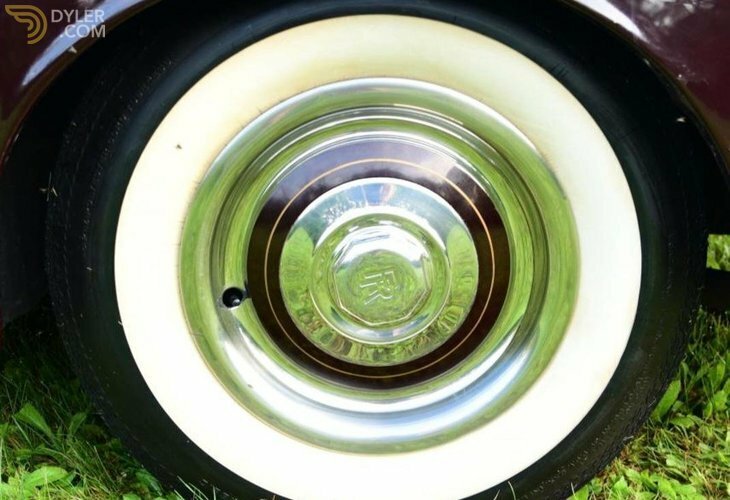 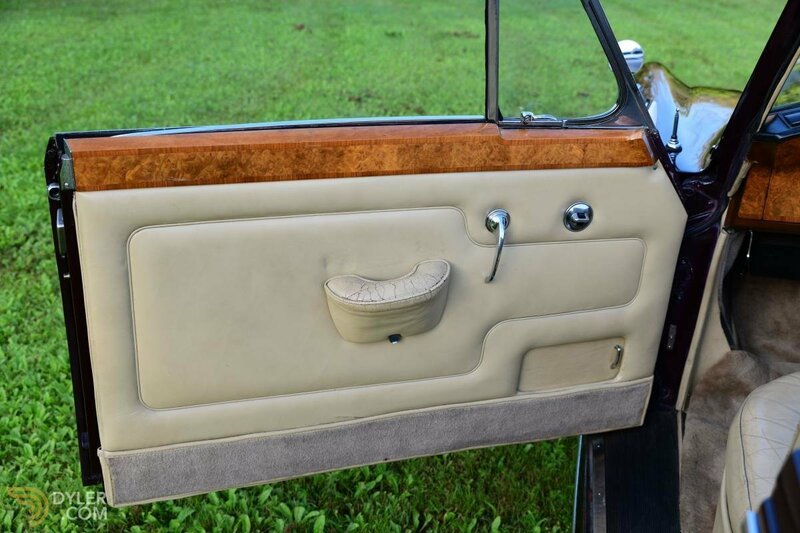 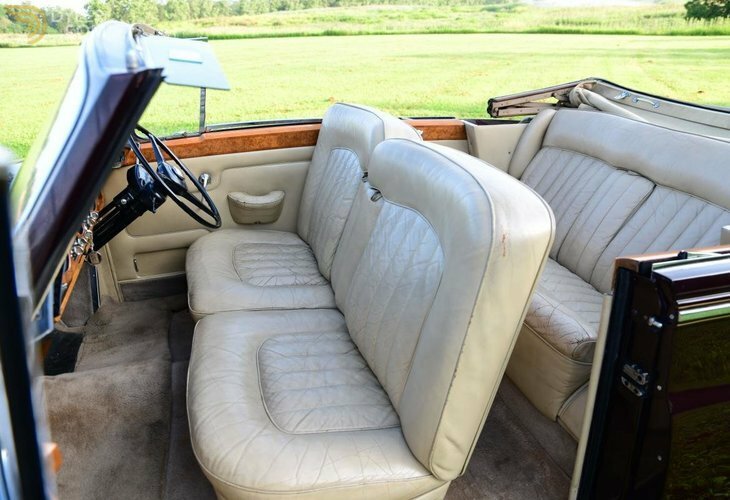 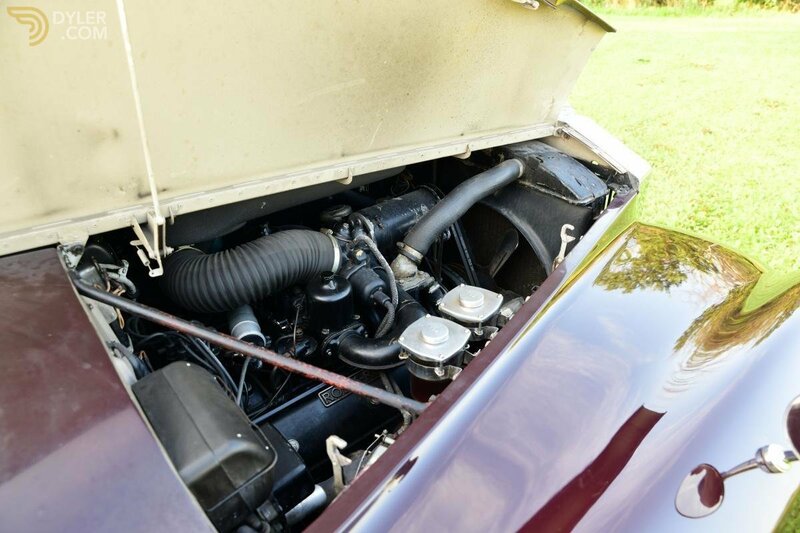 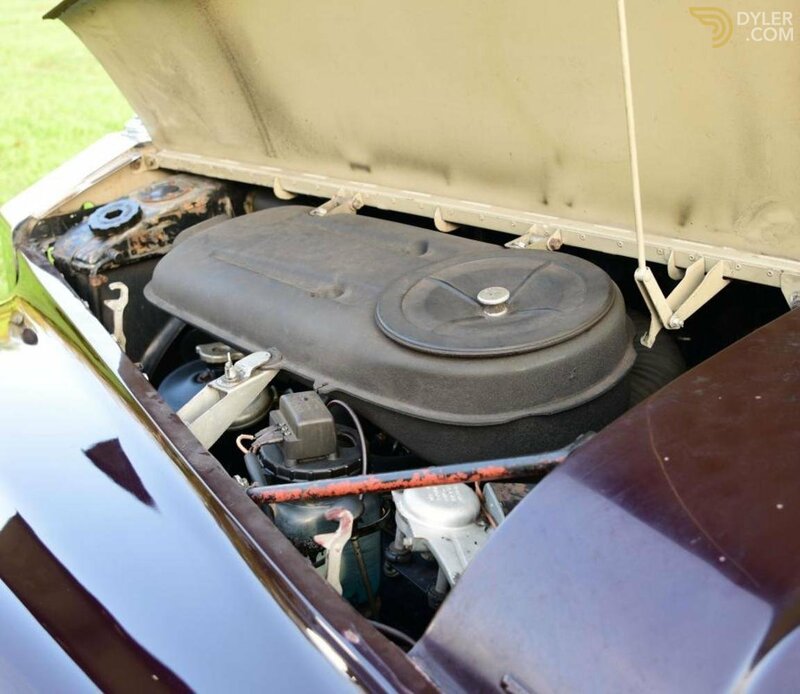 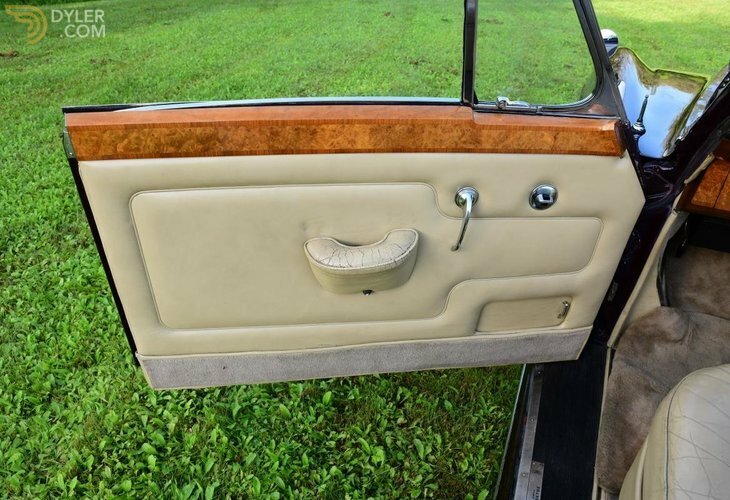 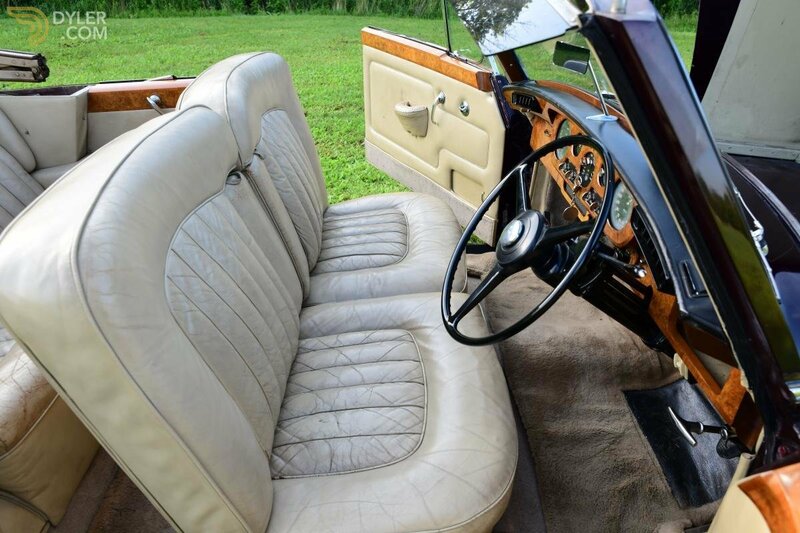 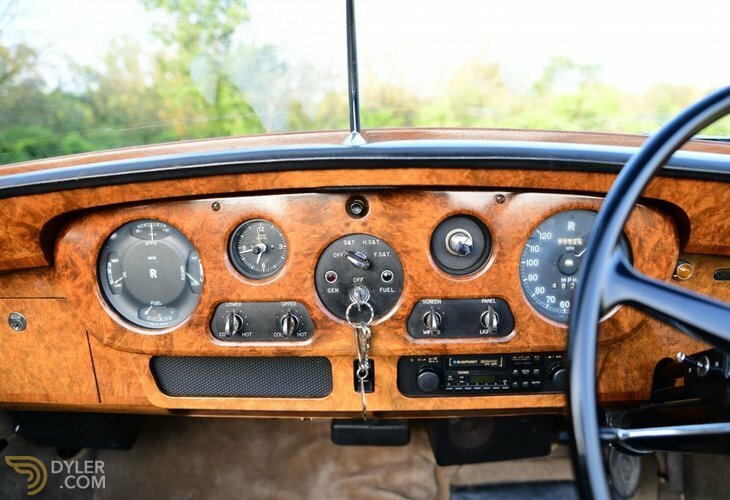 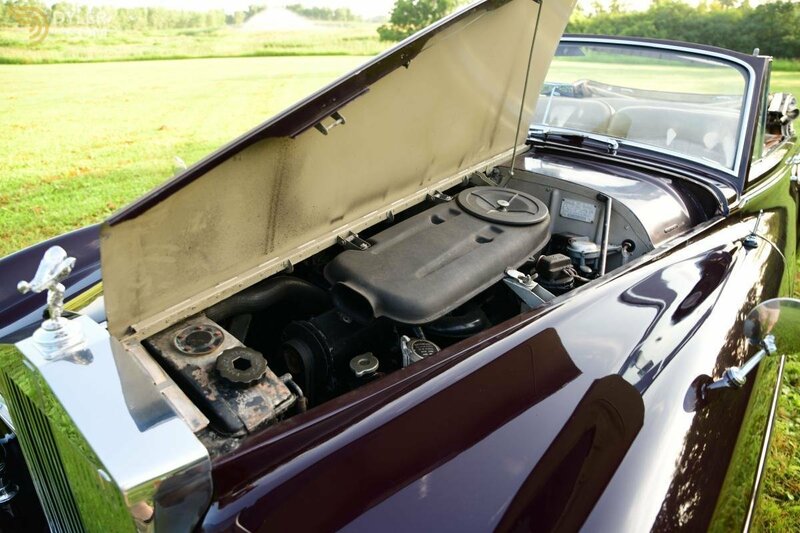 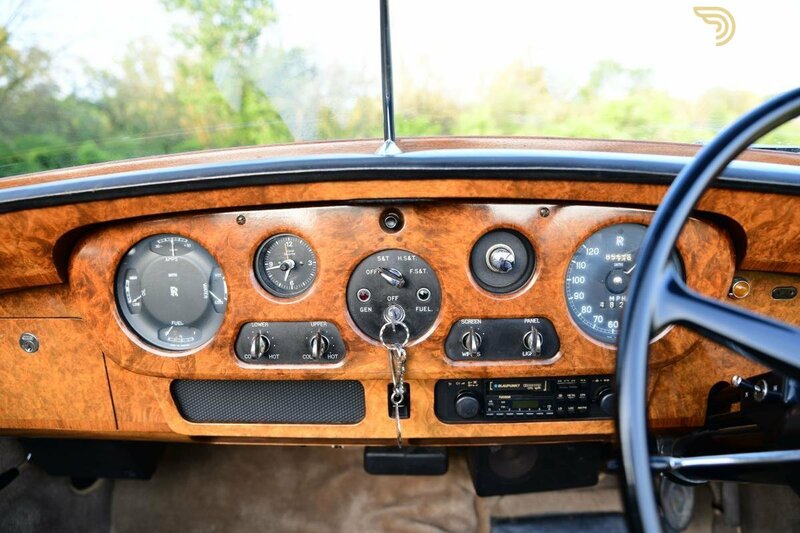 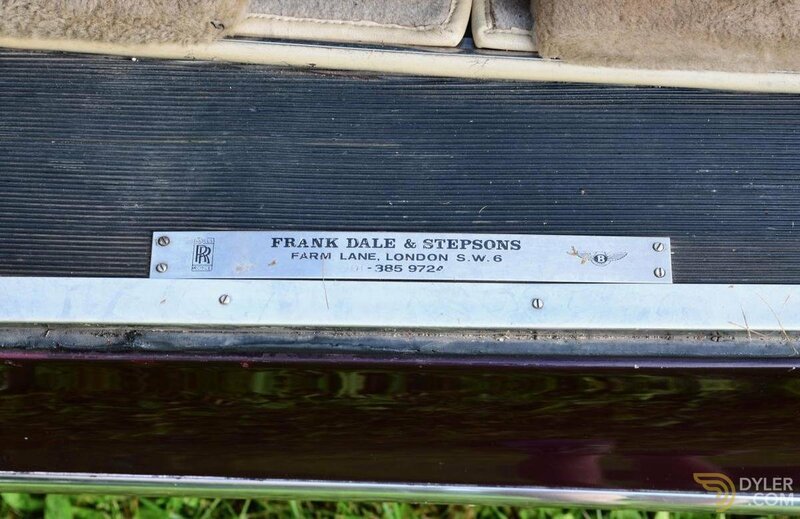 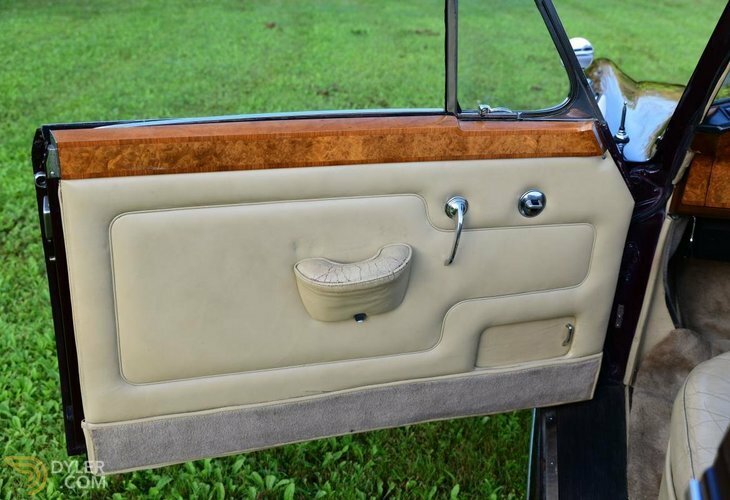 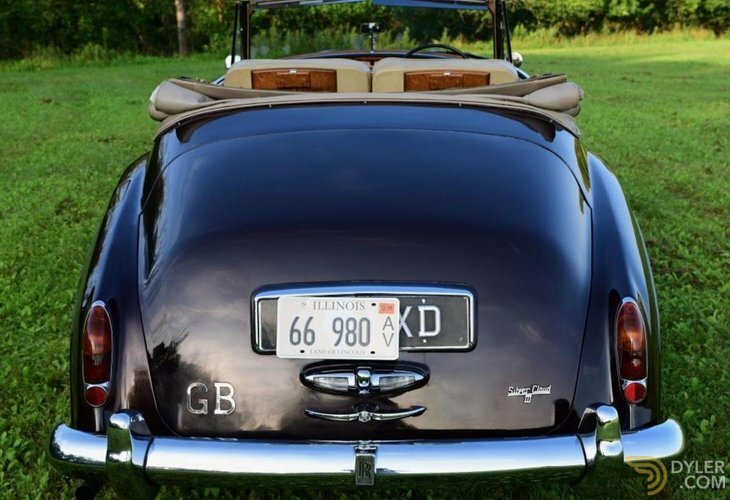 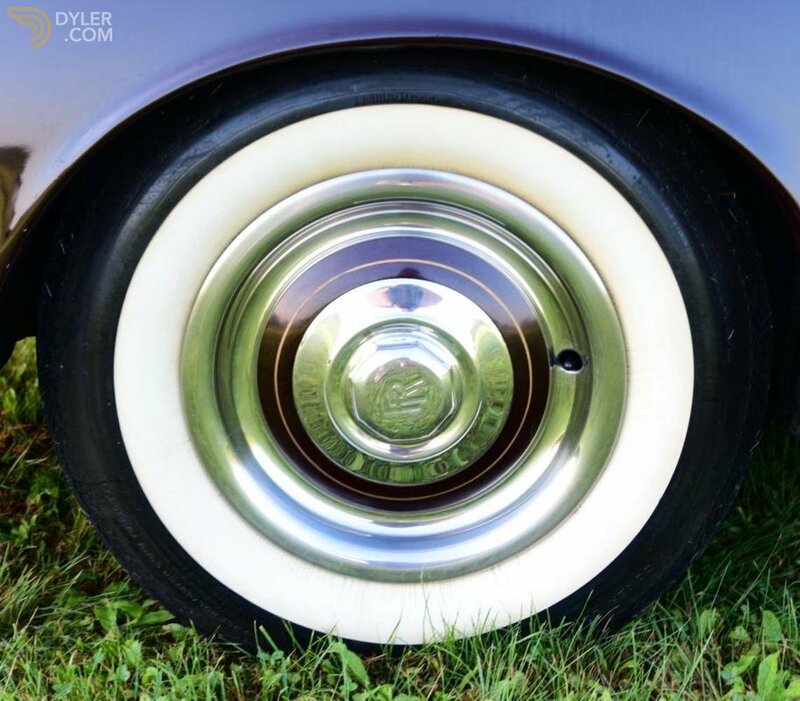 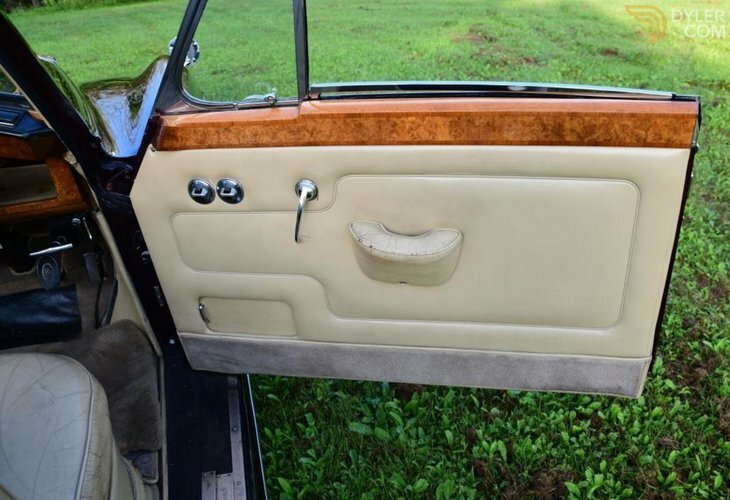 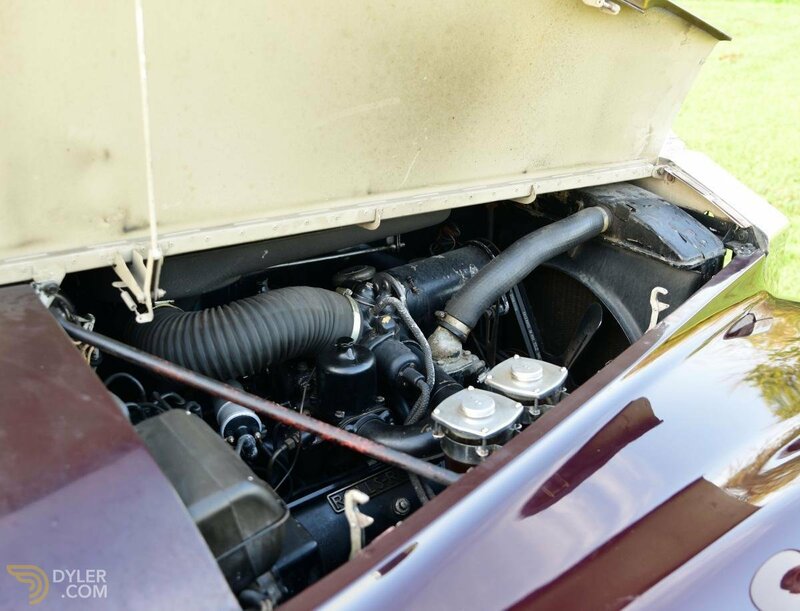 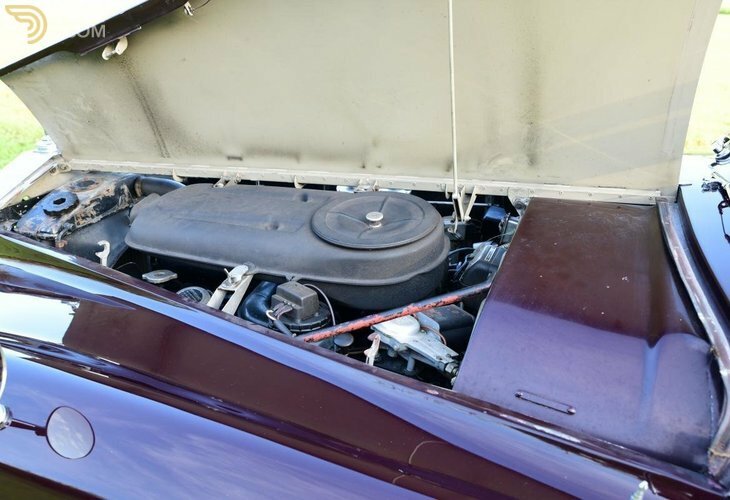 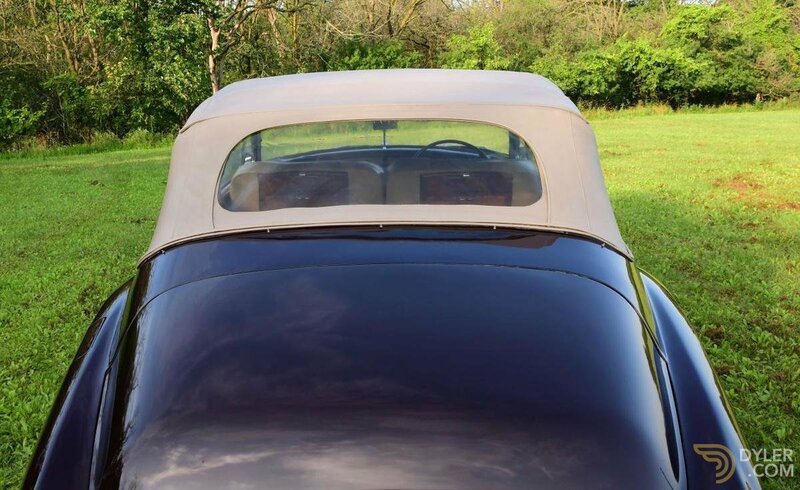 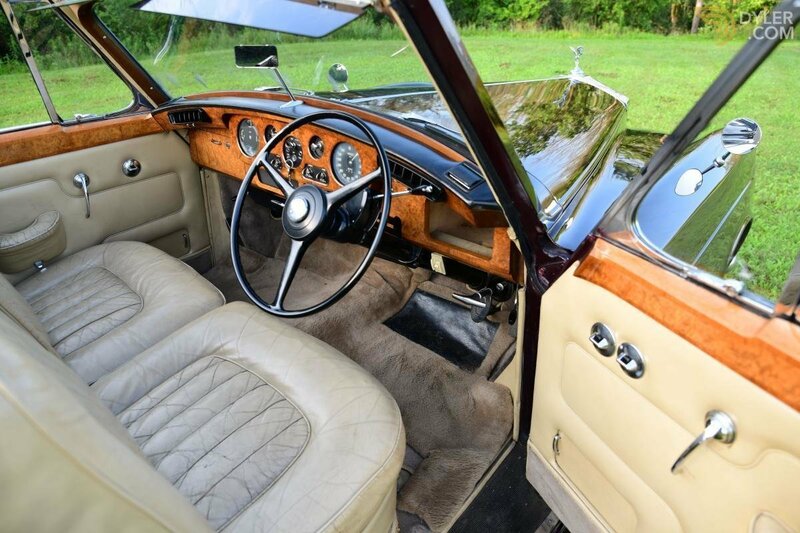 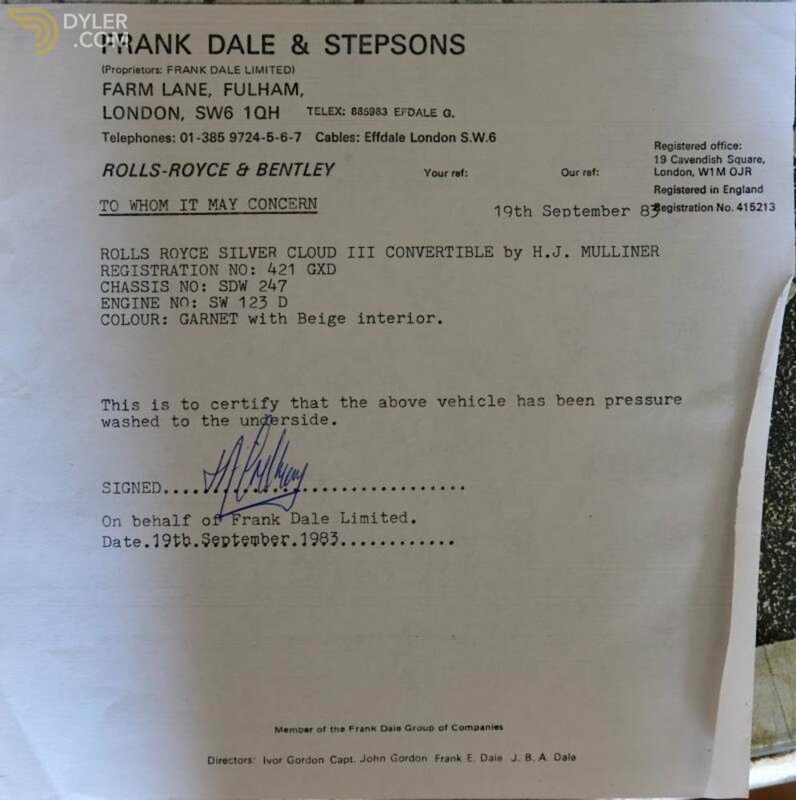 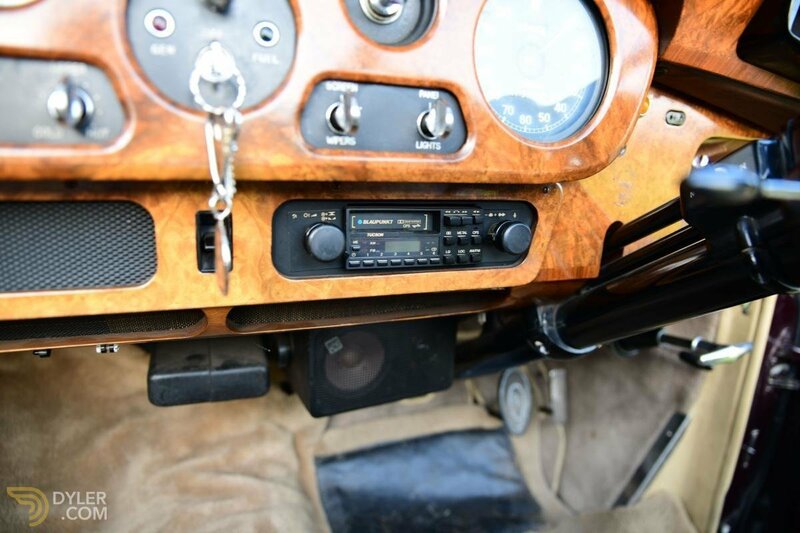 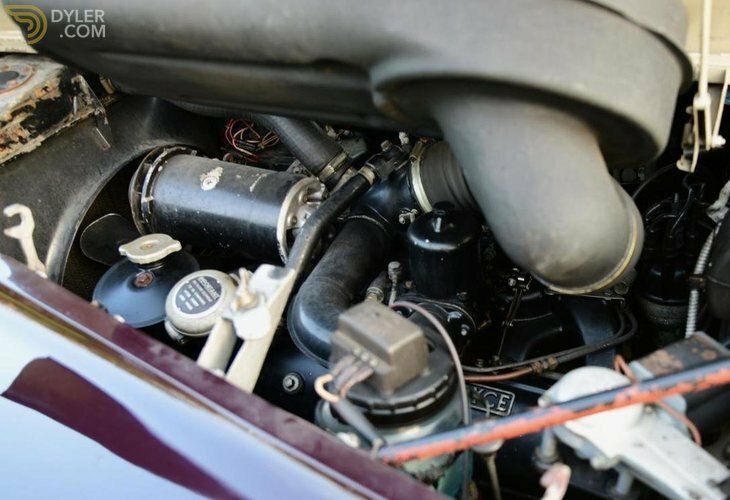 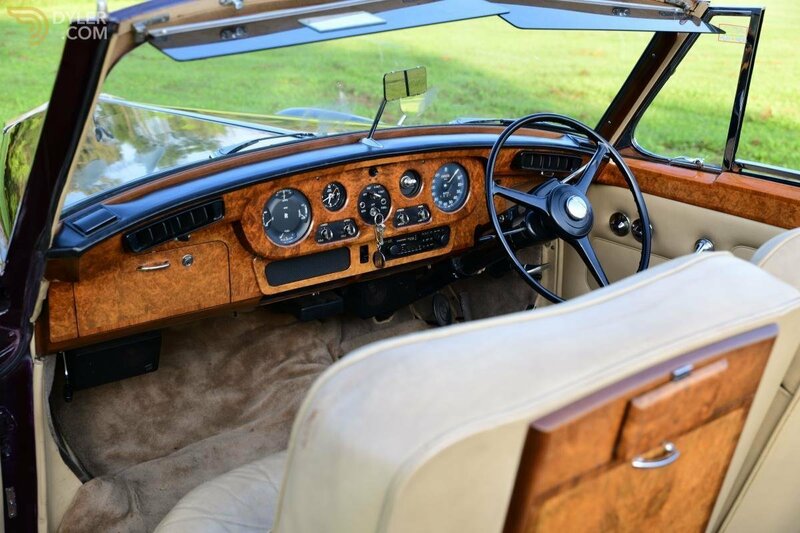 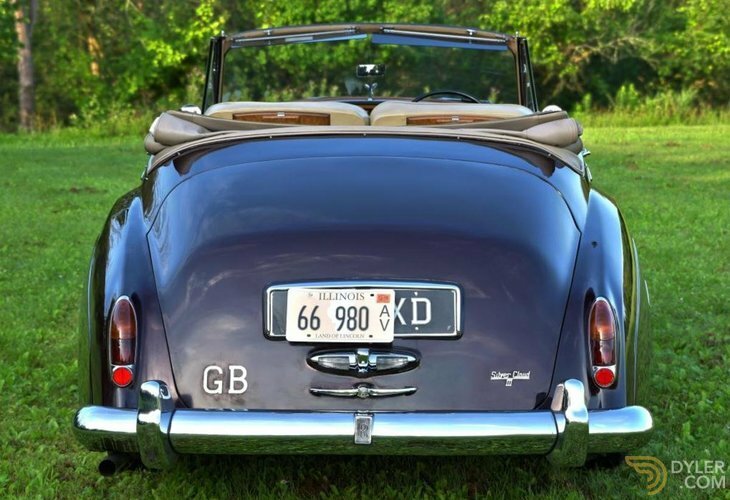 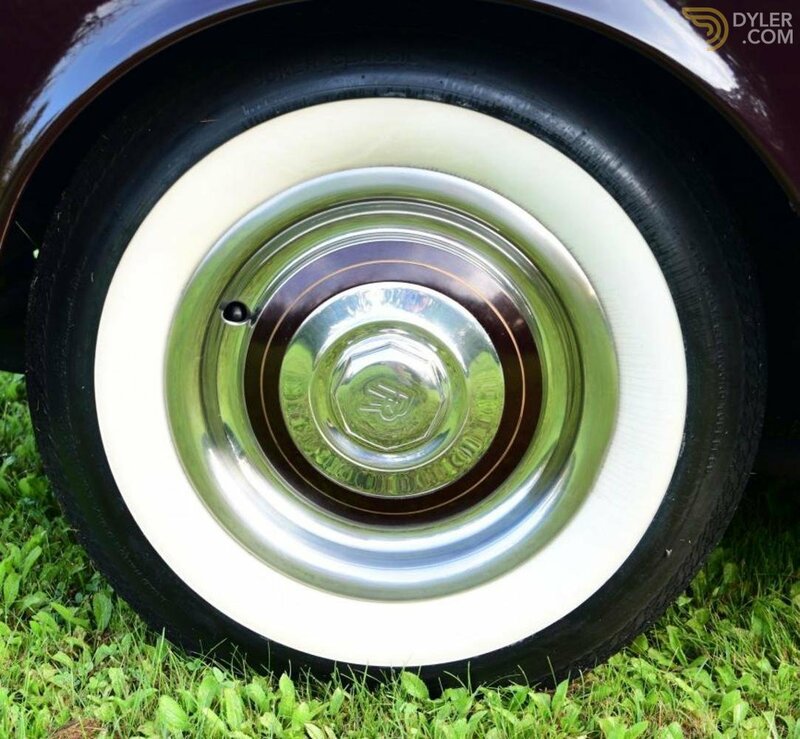 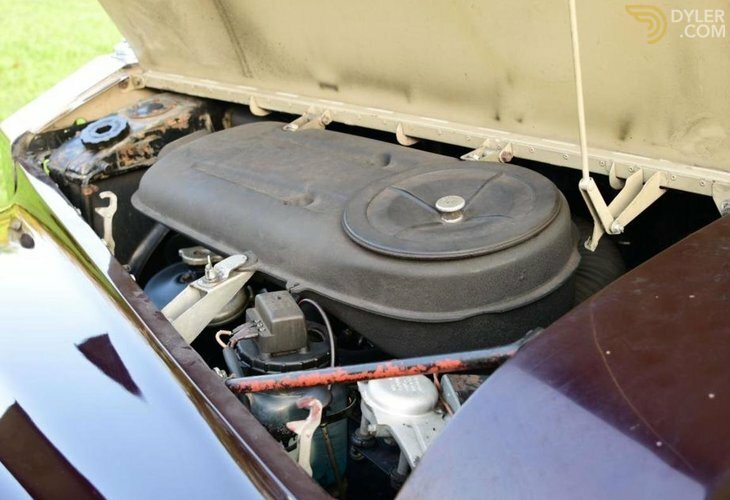 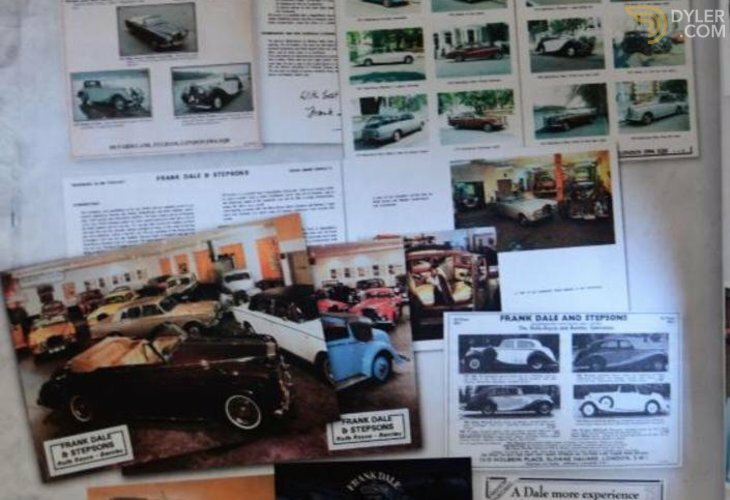 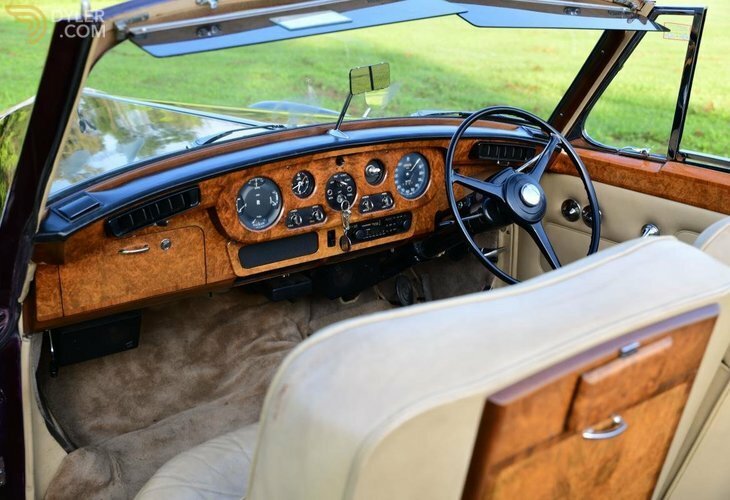 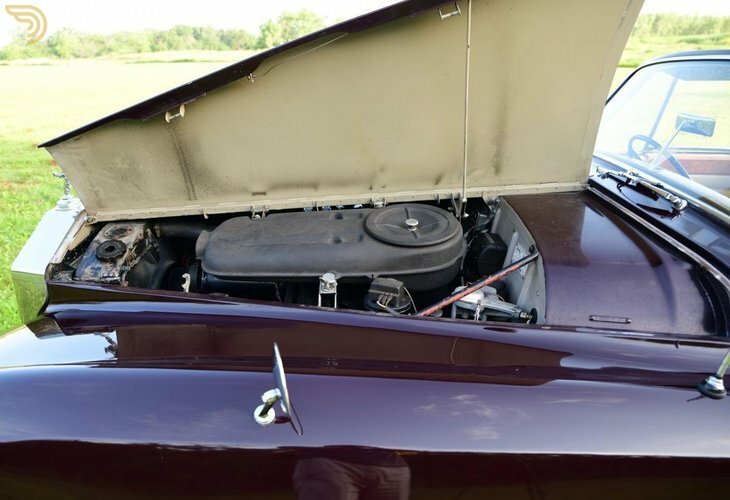 This stunning and original car is being offered for sale for the first time since 1983 when the current owner purchased 421 GXD from the renowned experts Frank Dale & Stepsons. 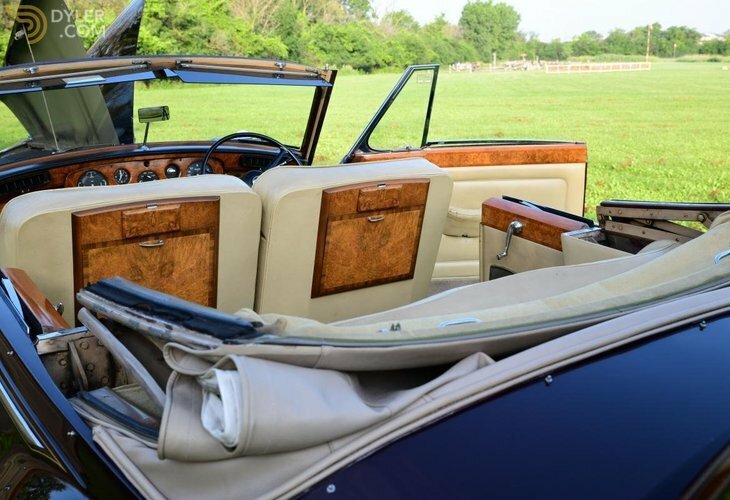 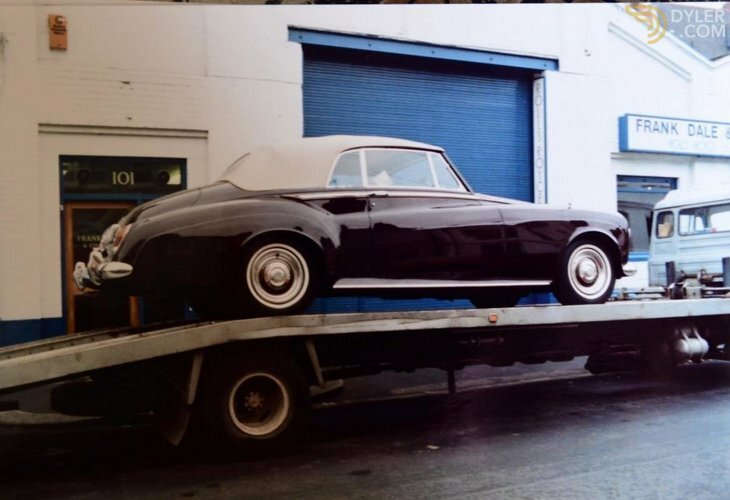 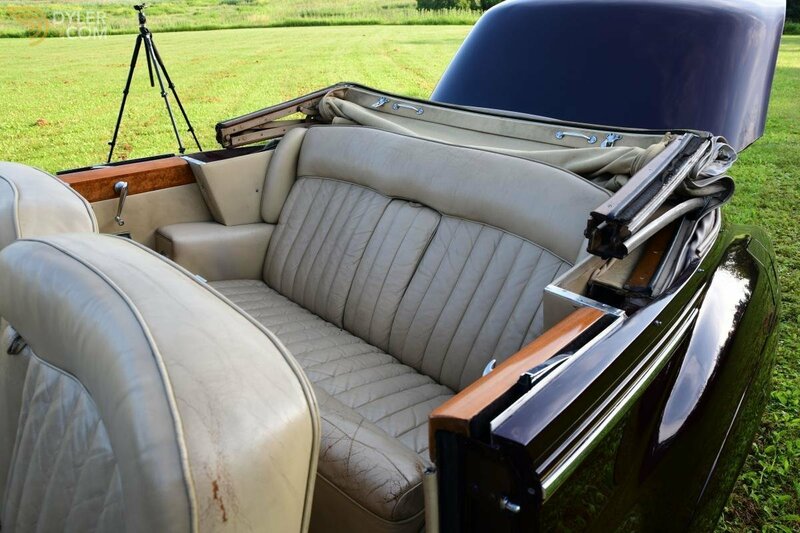 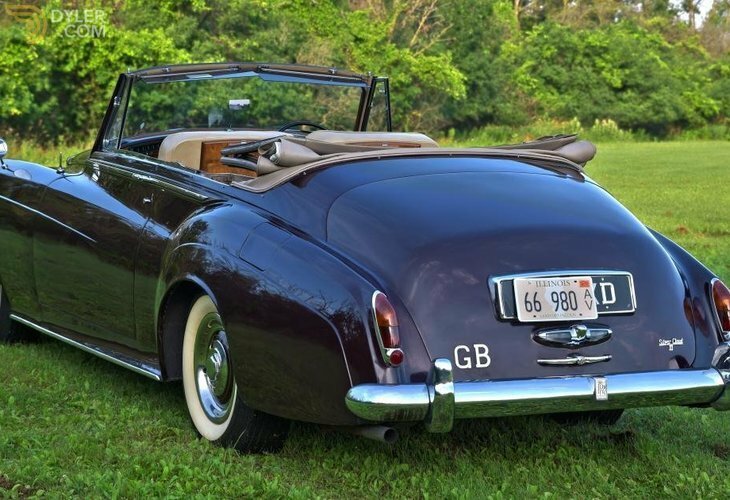 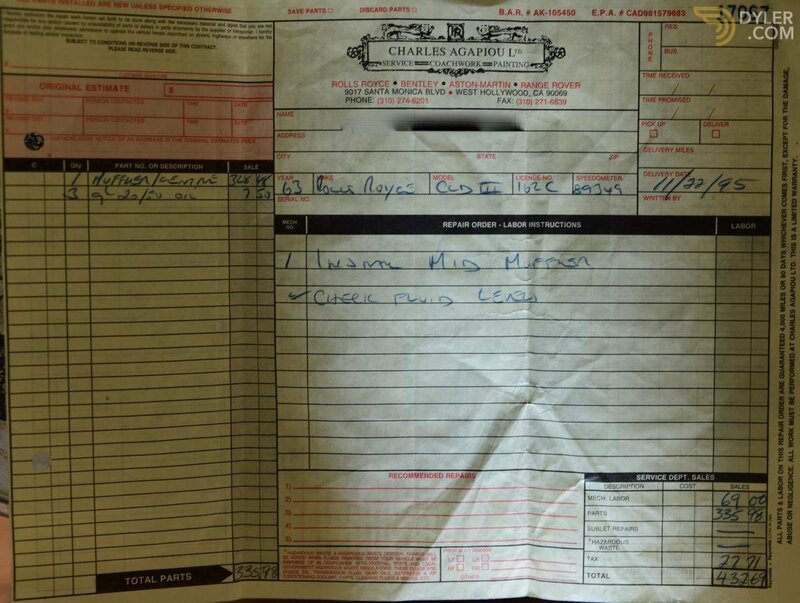 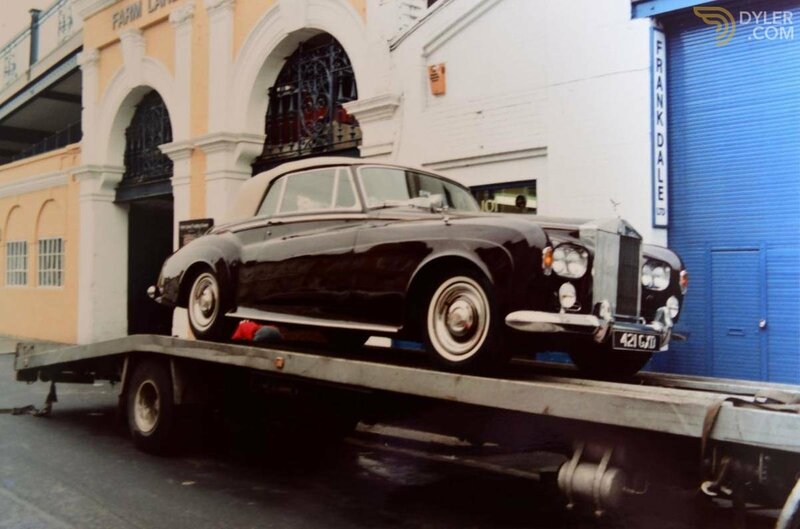 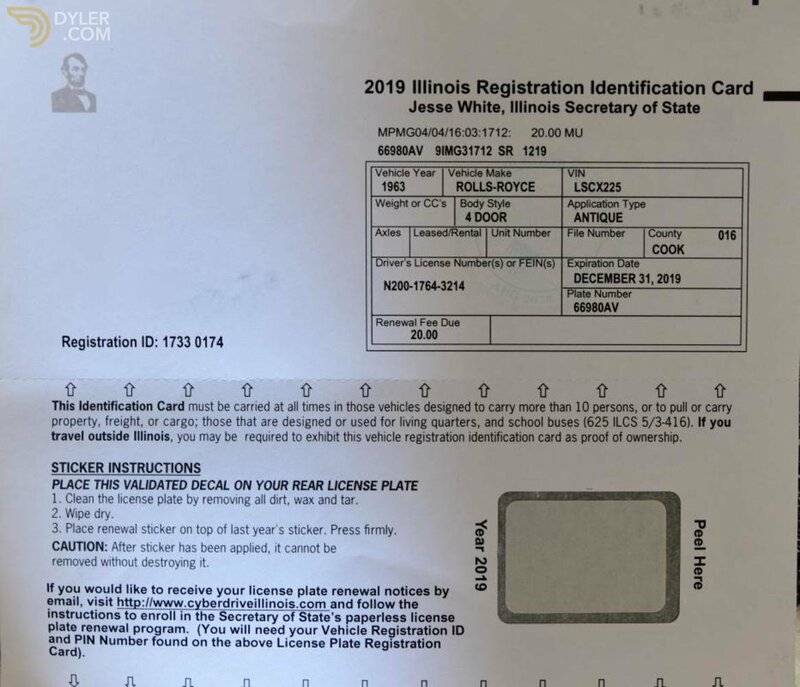 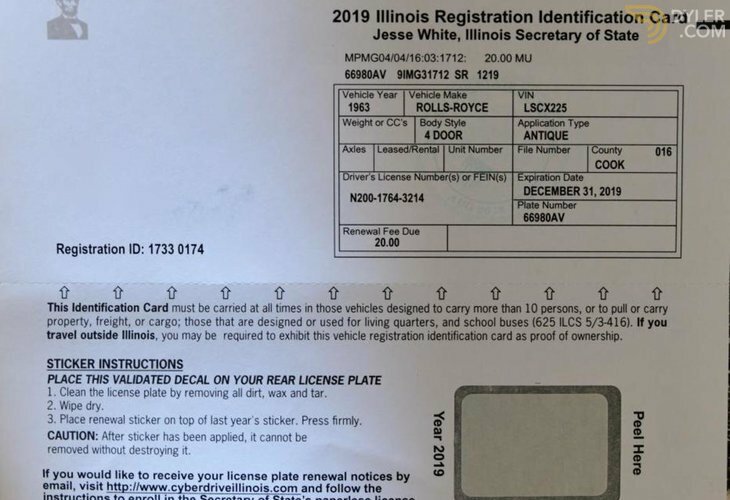 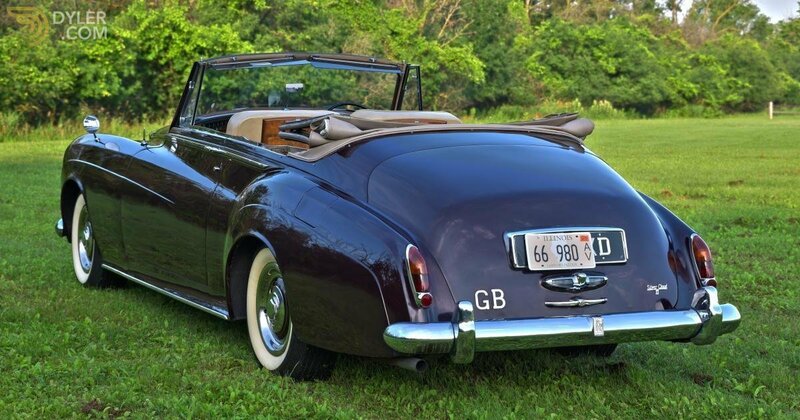 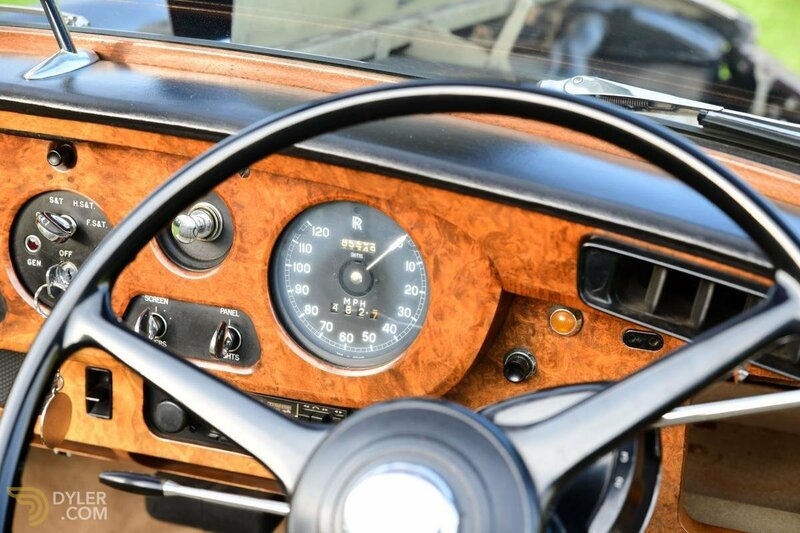 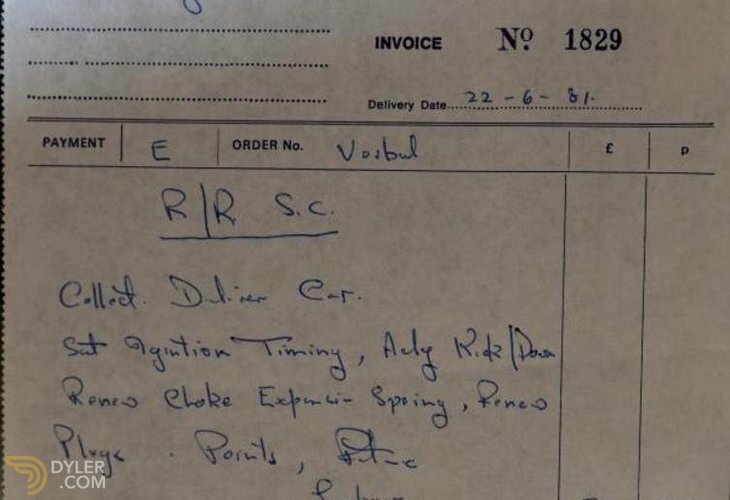 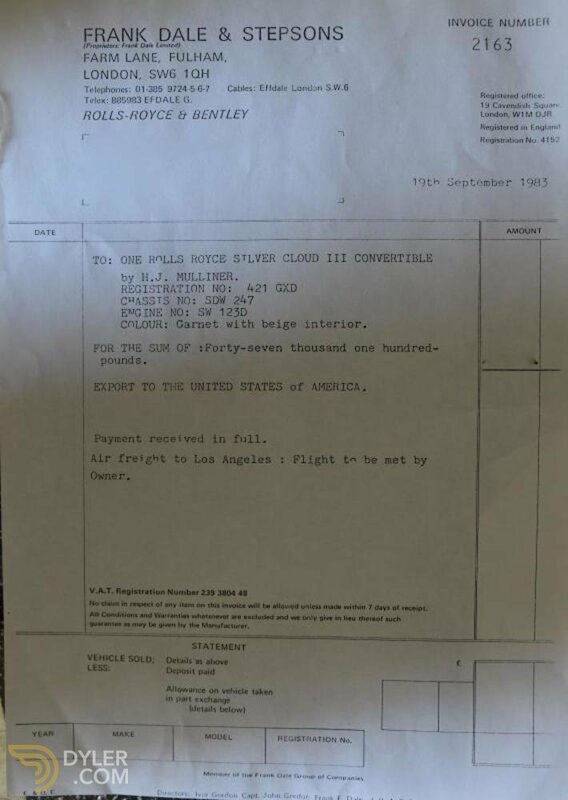 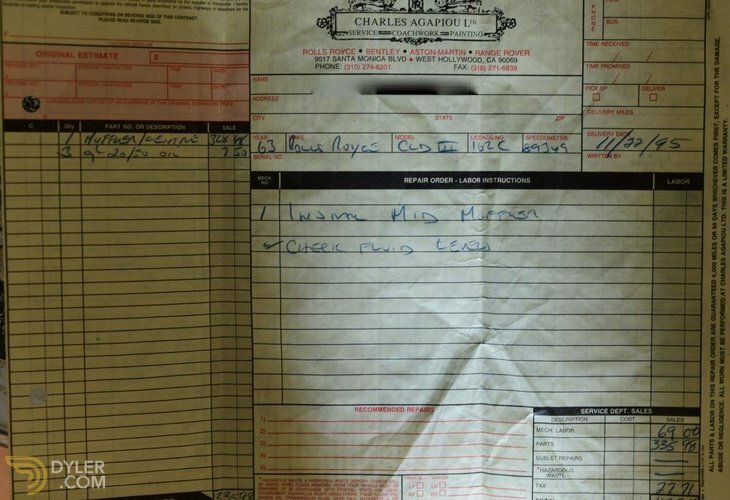 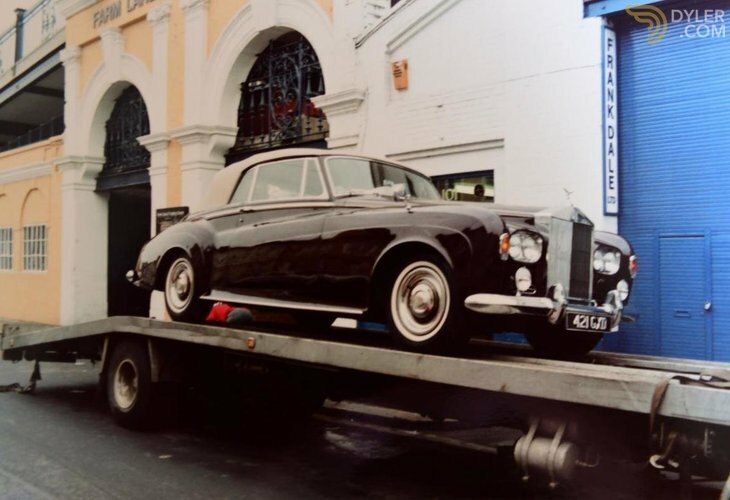 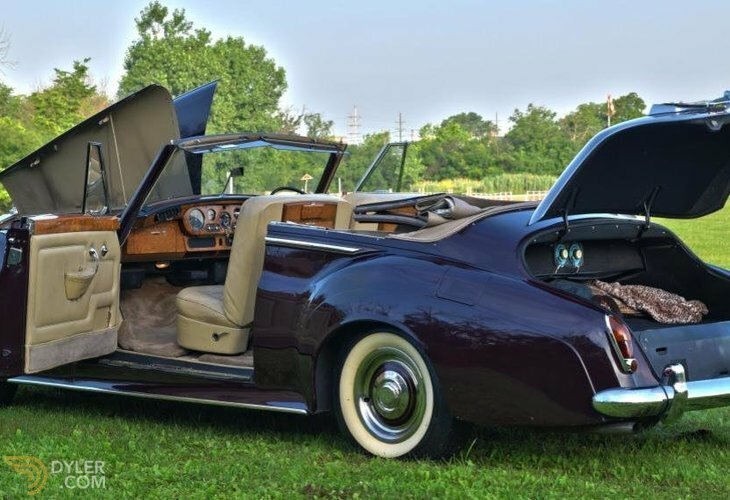 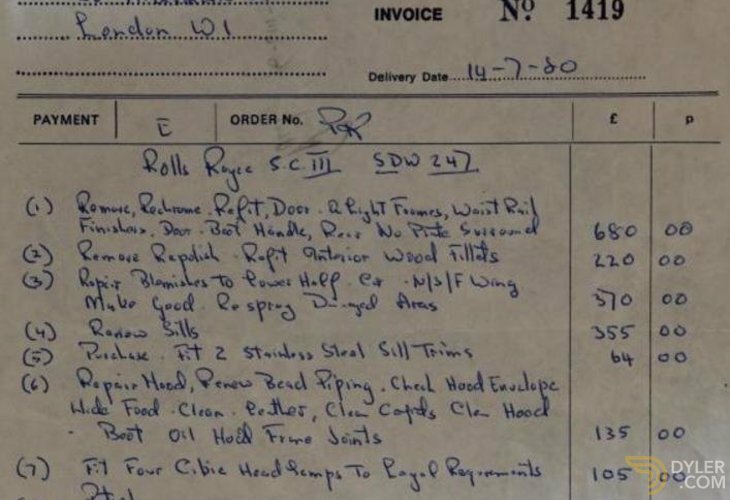 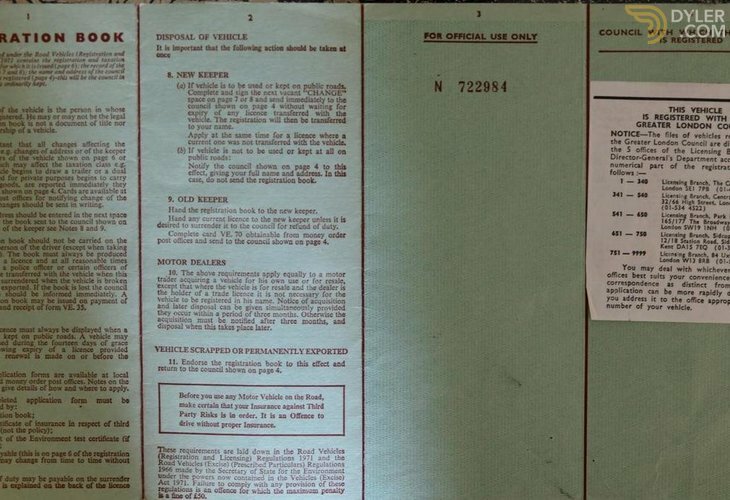 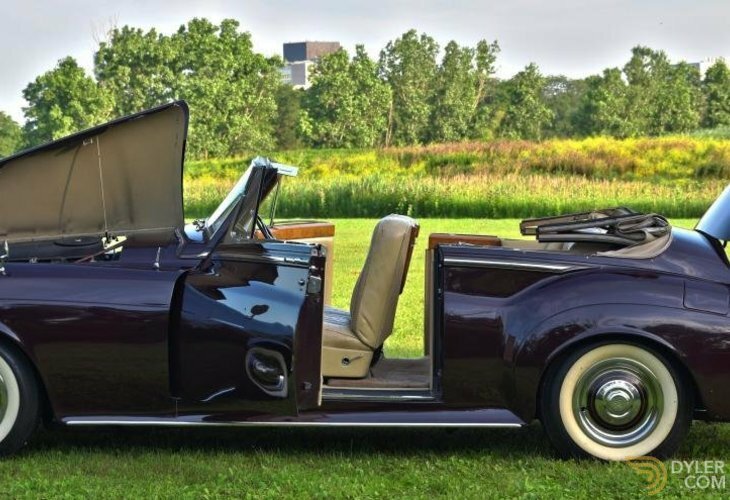 The DHC was immediately shipped to America and currently resides at the owners house in Chicago along with a further collection of Rolls-Royce and Bentley’s. 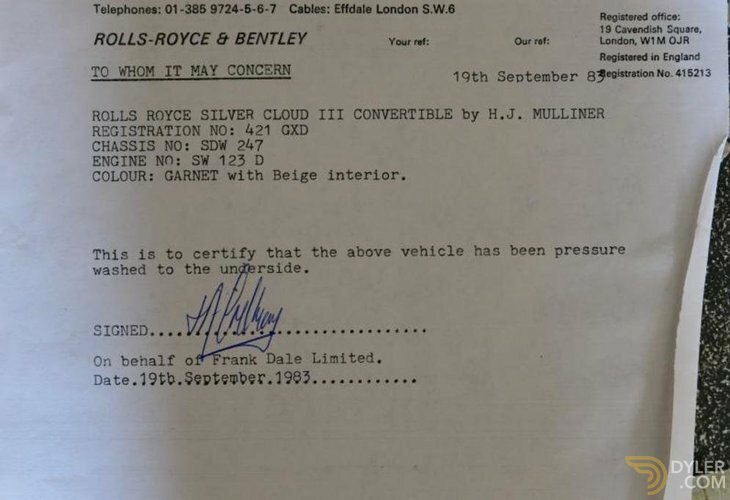 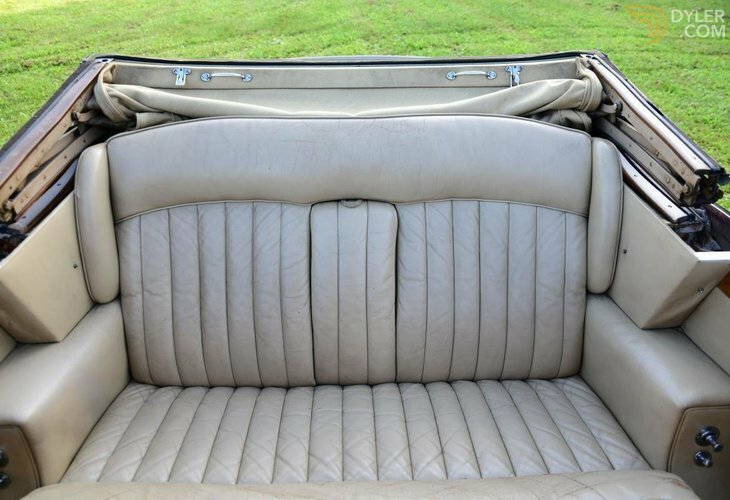 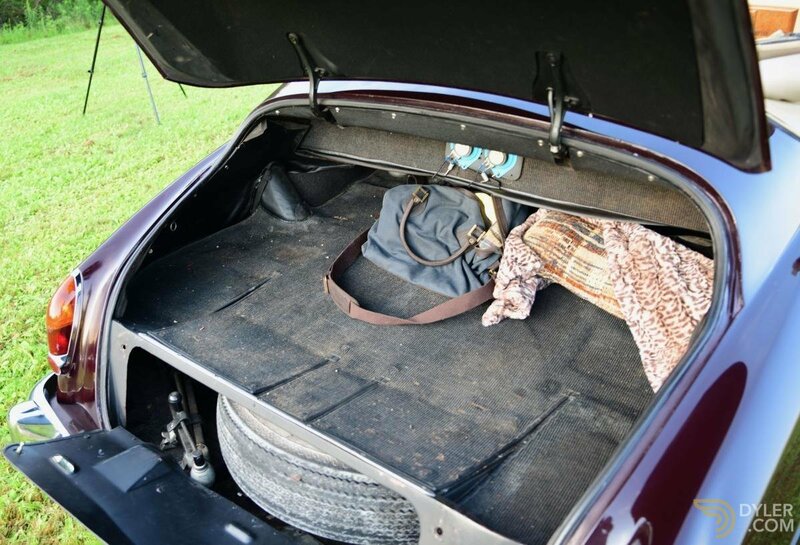 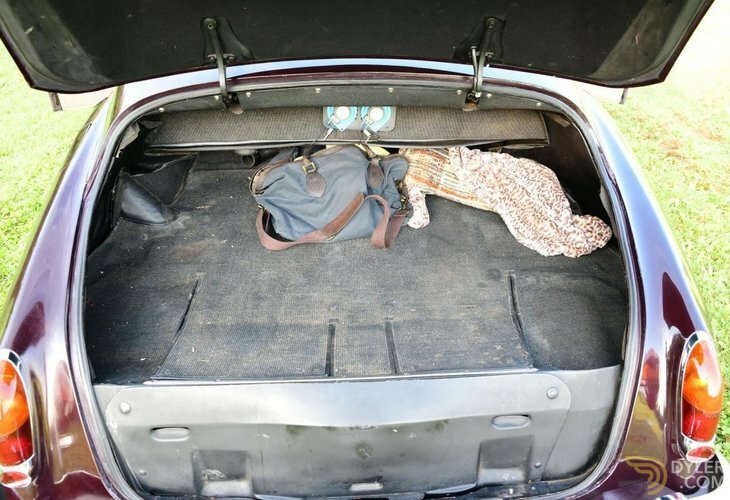 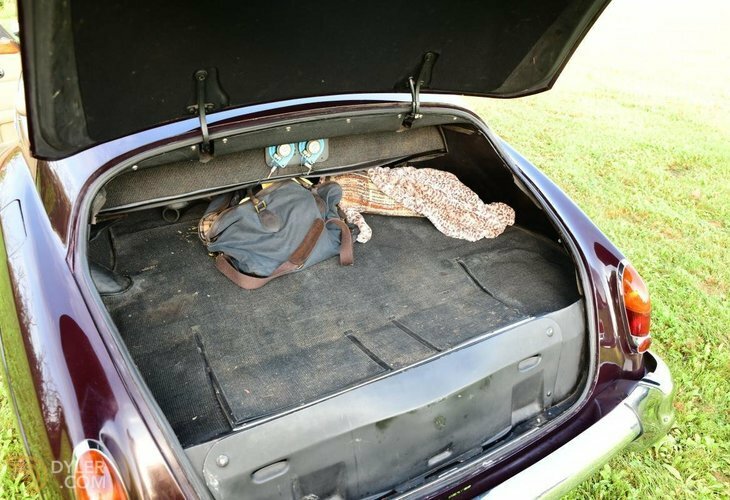 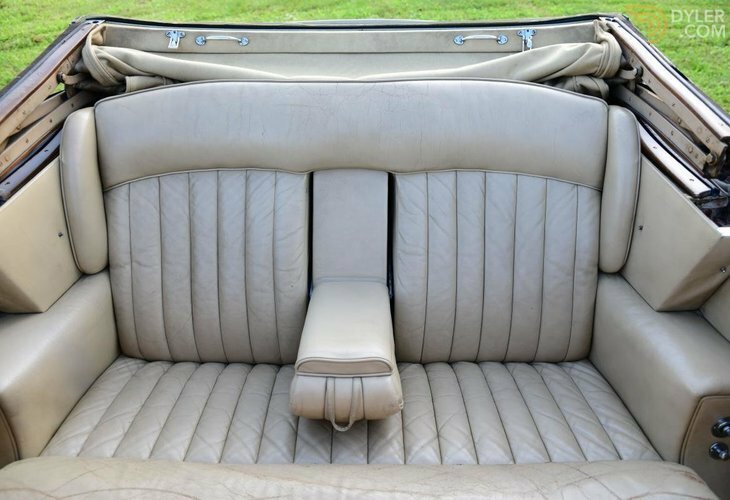 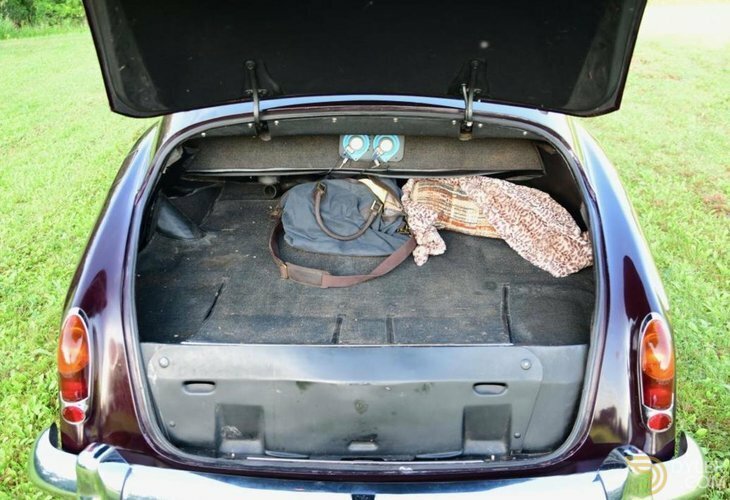 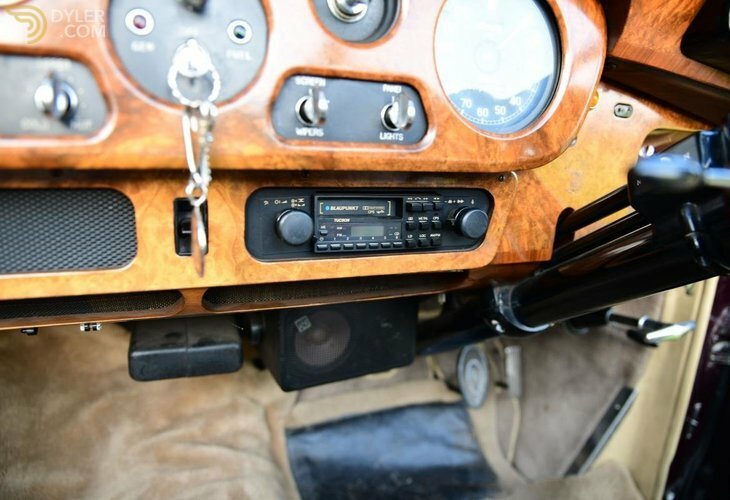 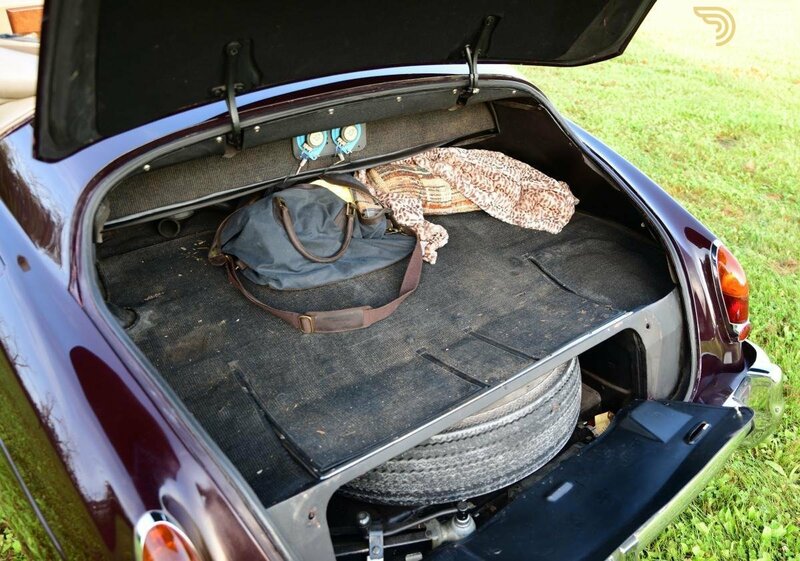 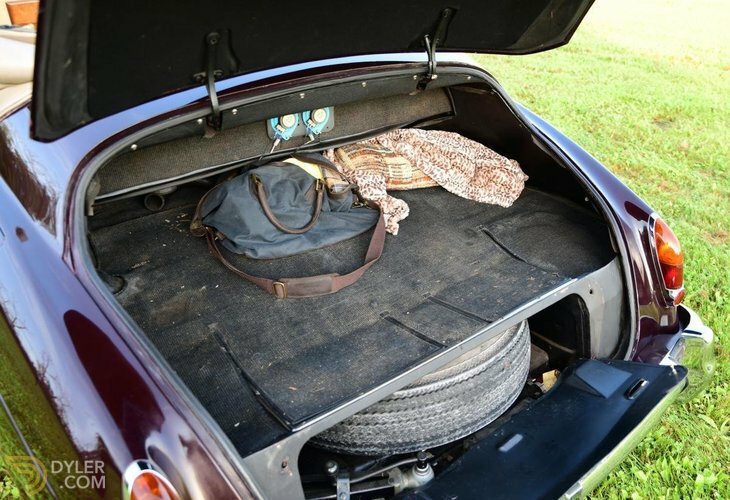 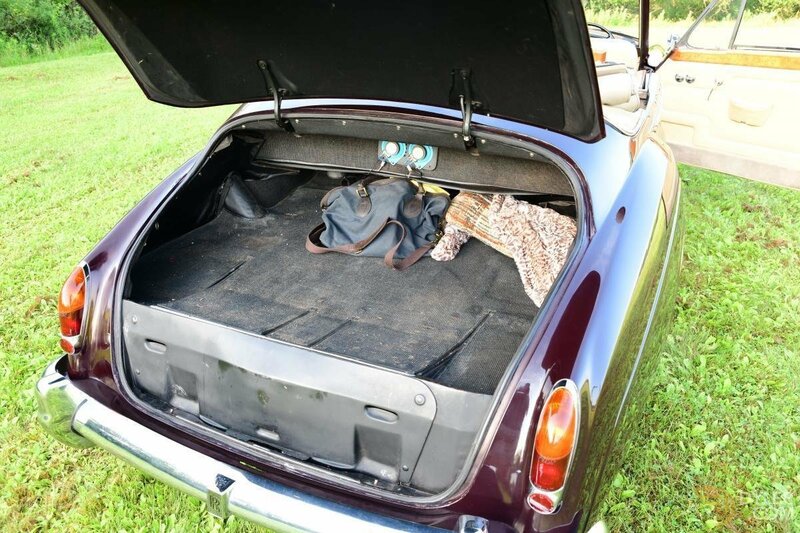 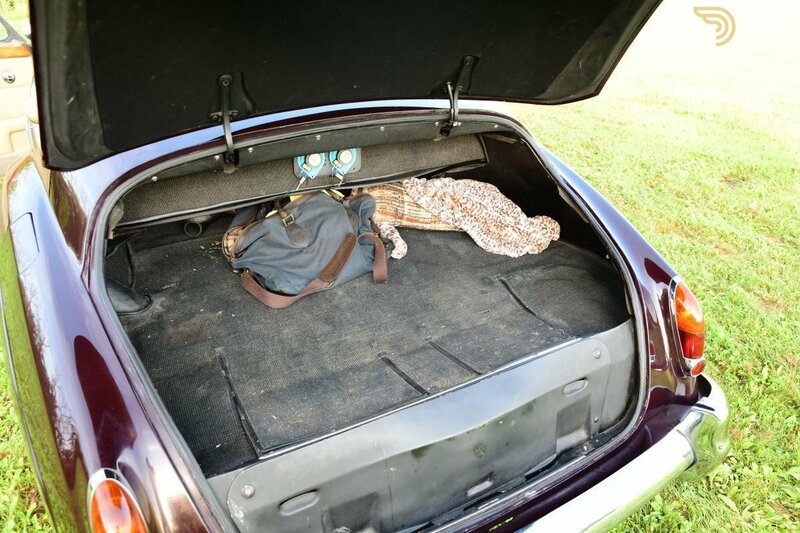 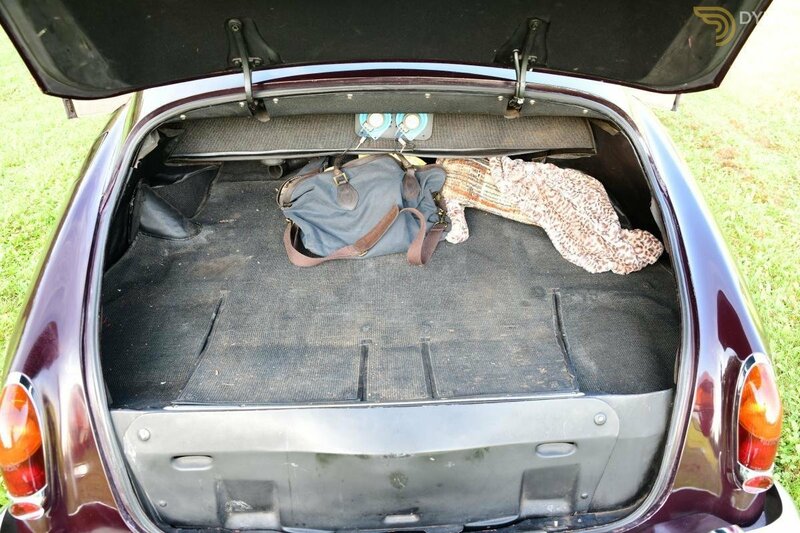 The condition of this Cloud III is not the sort that can simply be bought, all the leather interior is original and has never been replaced. 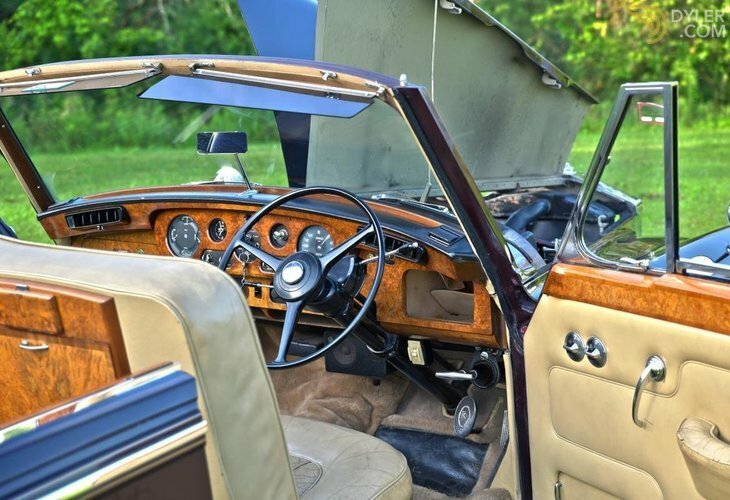 The striking combination of the Beige interior and Garnet exterior is one of the most desirable to have. 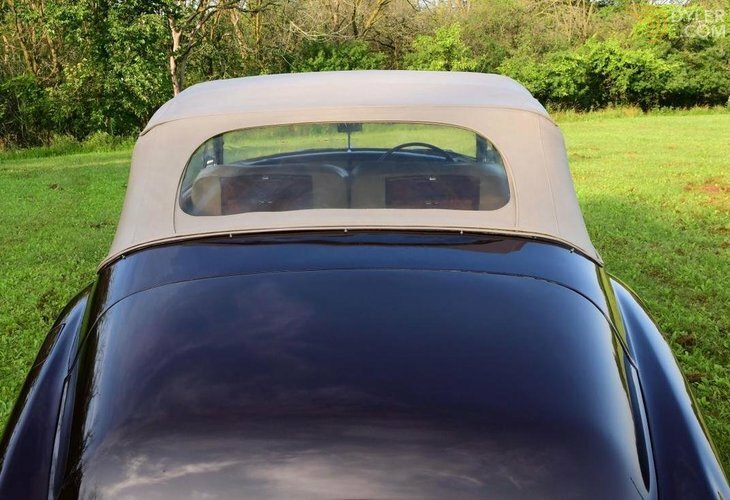 The exterior paintwork is finished beautifully, the majority is original and there is no signs of crazing or wear around. 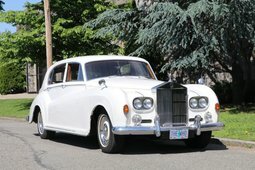 To the road she handles perfectly (as a Silver Cloud should) and had benefitted by regular maintenance by the meticulous owner. 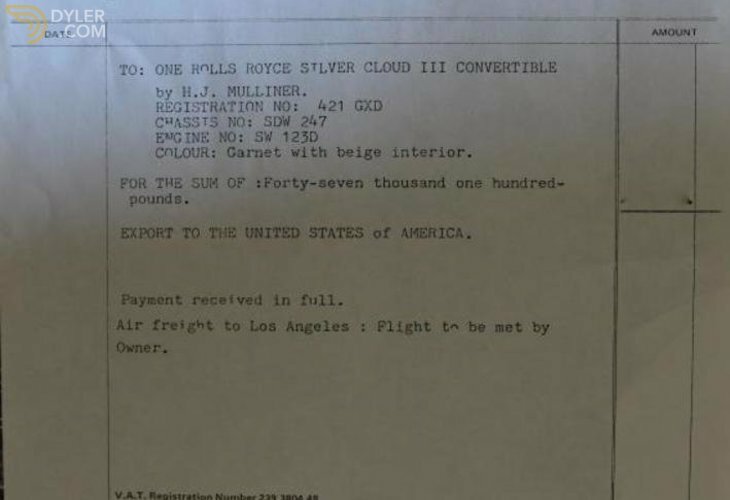 This Cloud III currently resides in Chicago and is ready and available for viewing.